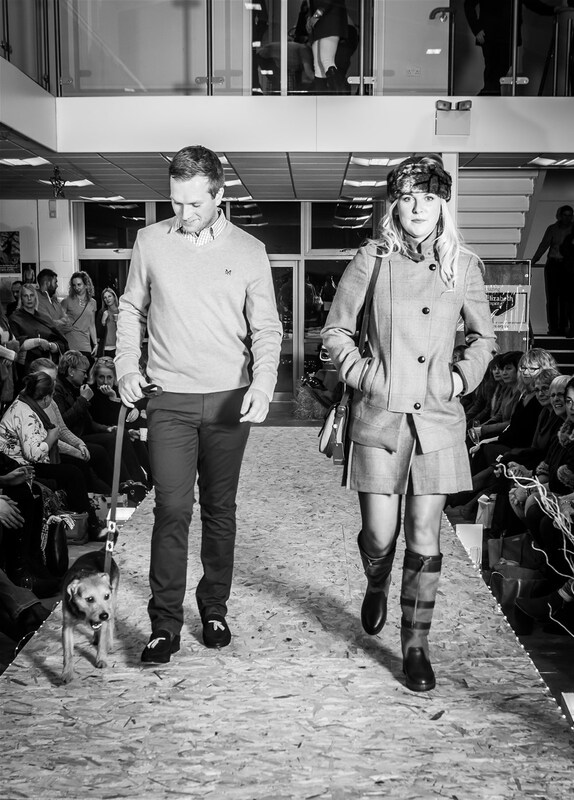 View a range of images from various events, products and photoshoots! 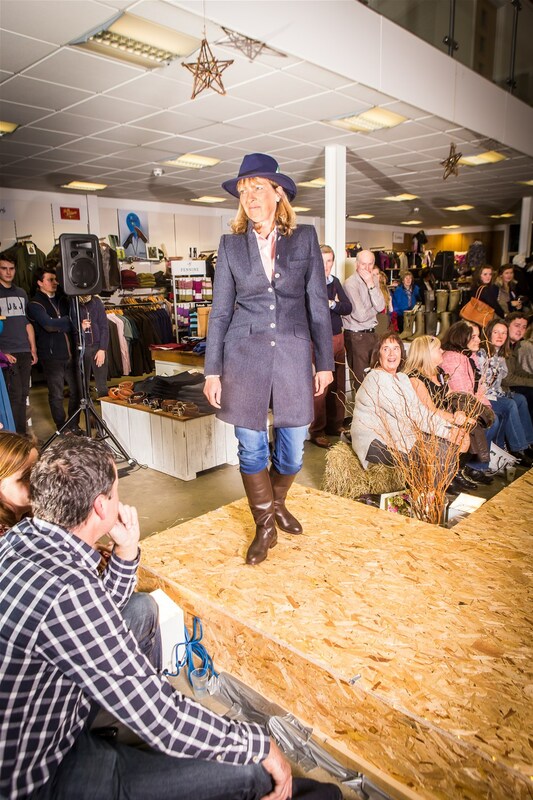 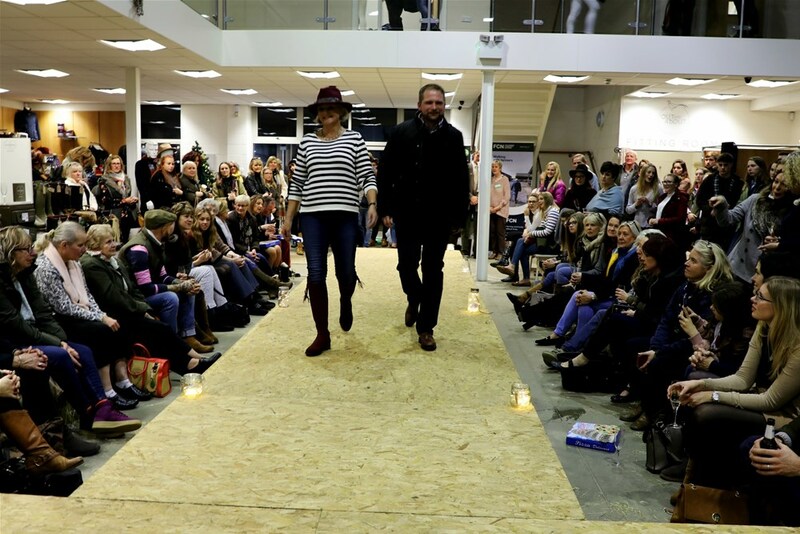 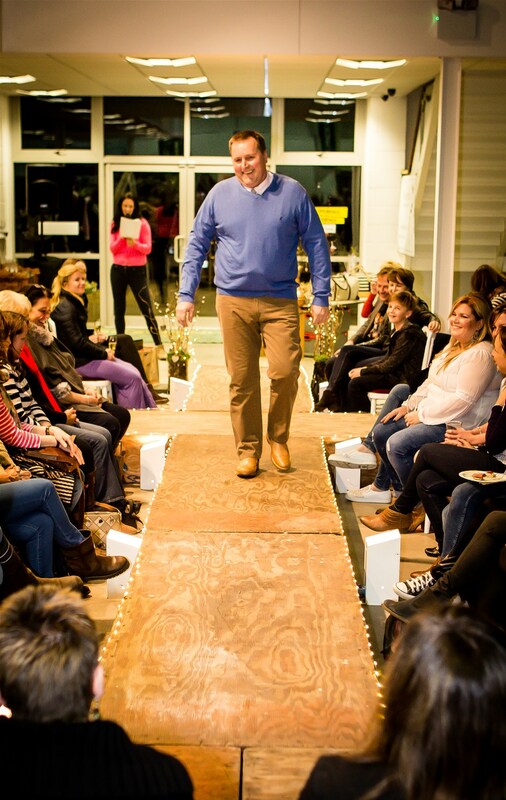 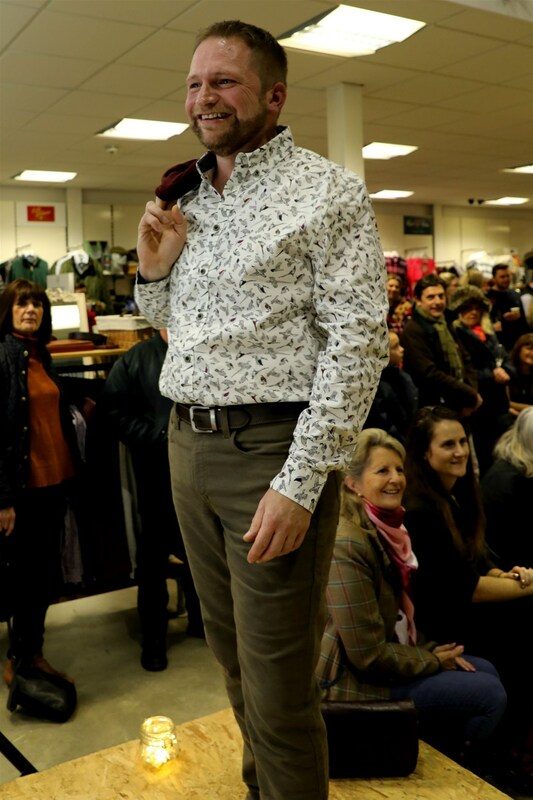 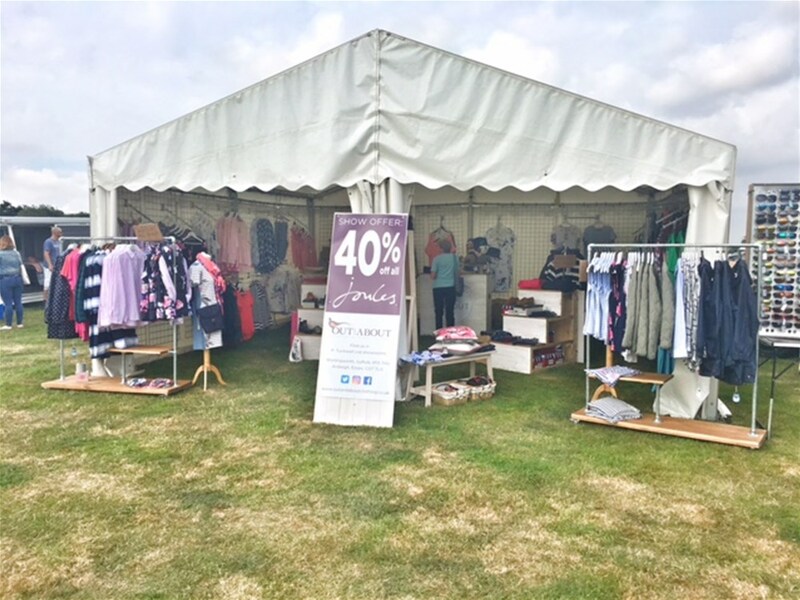 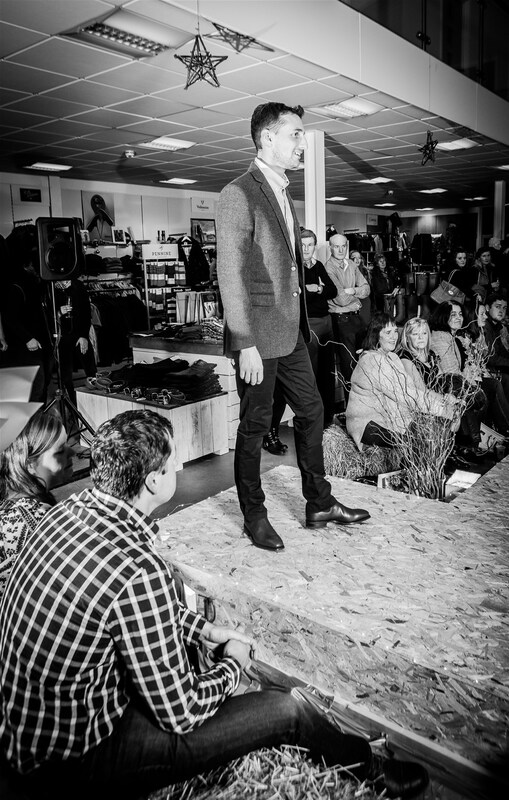 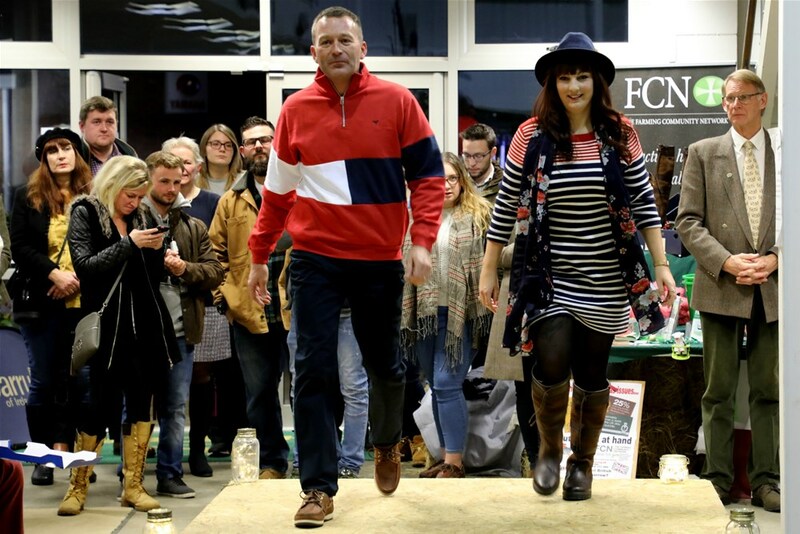 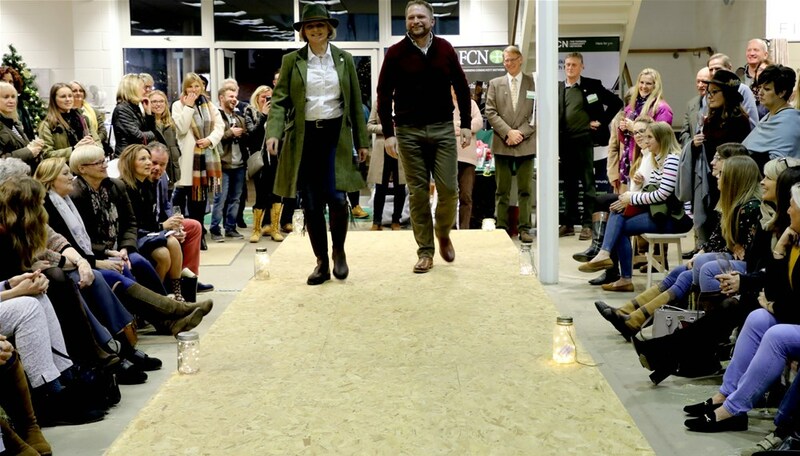 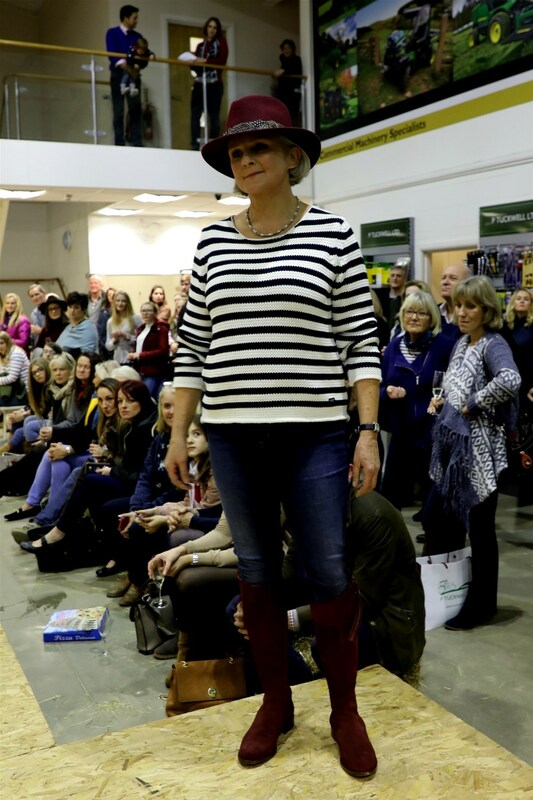 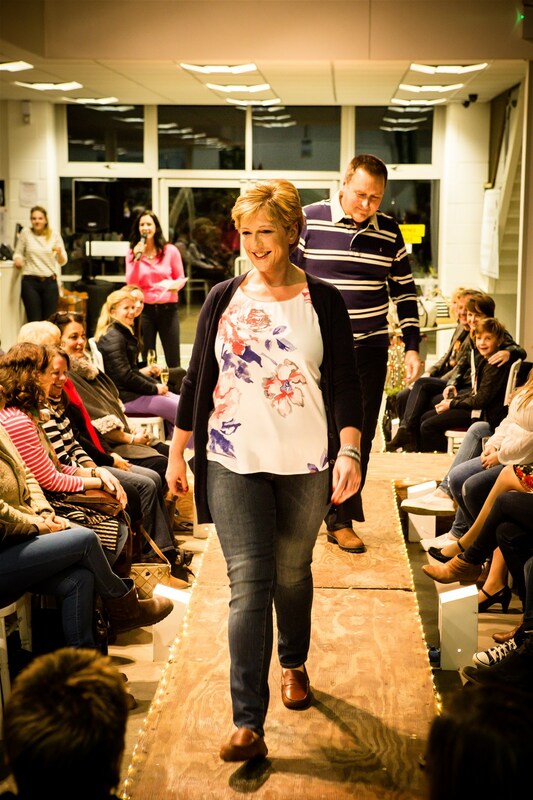 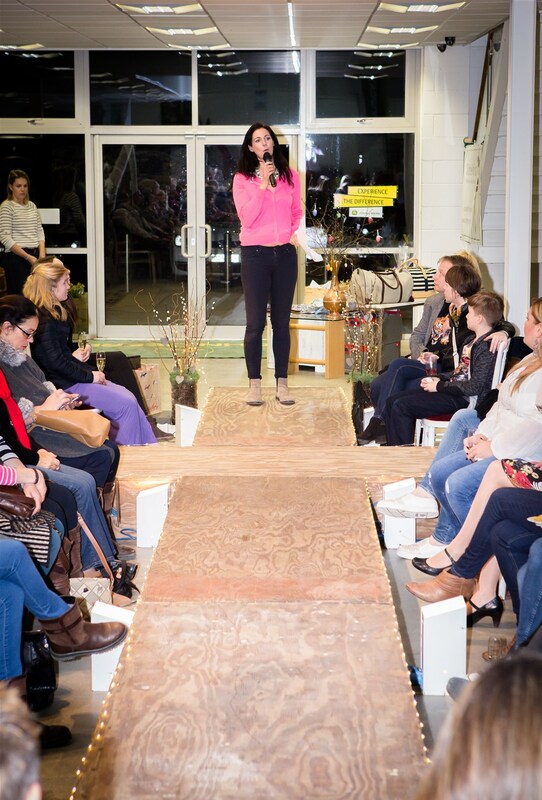 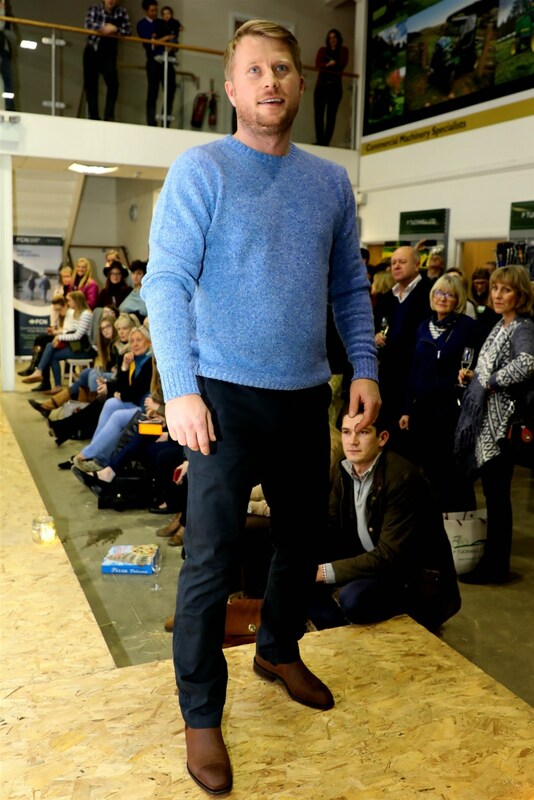 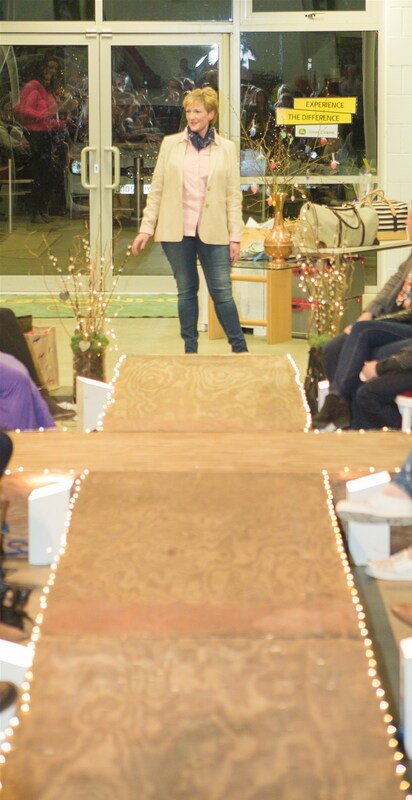 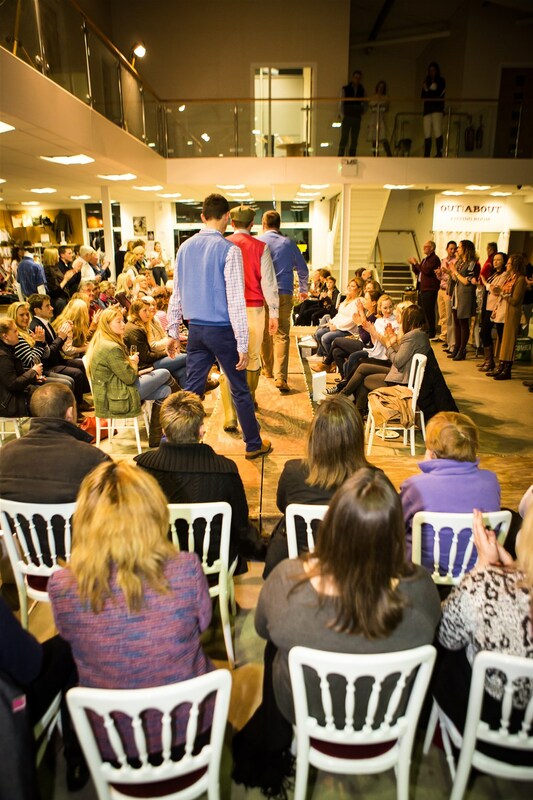 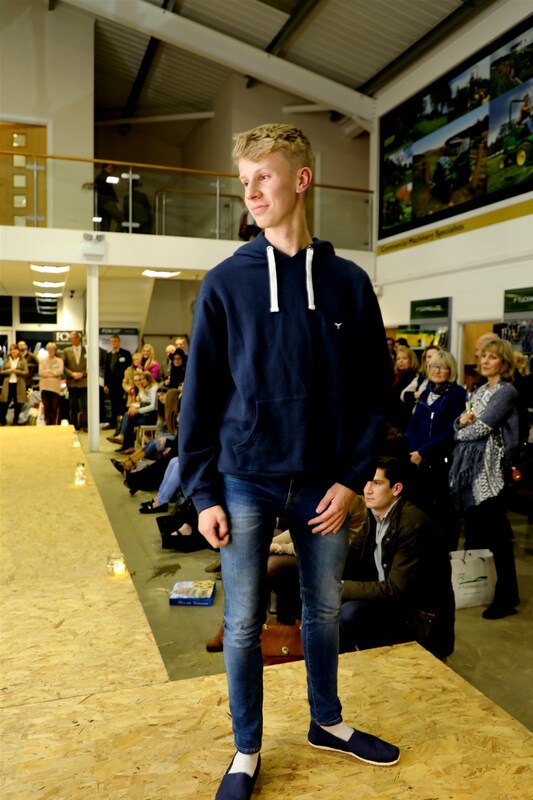 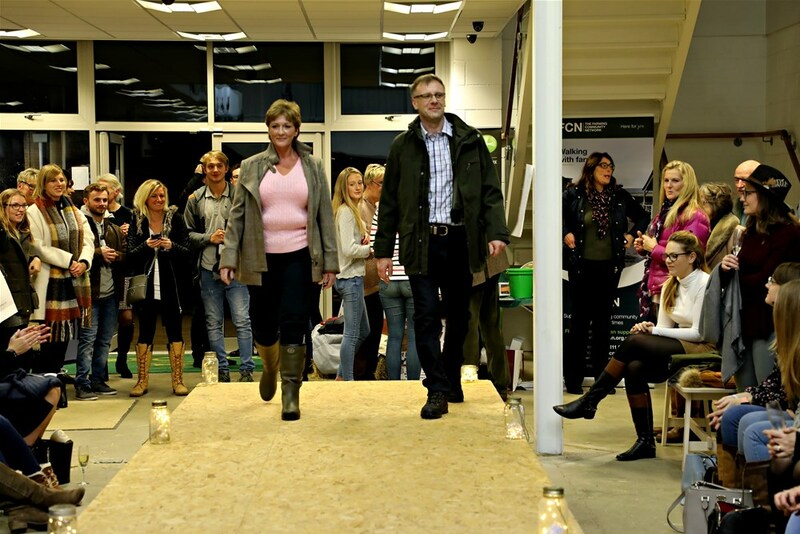 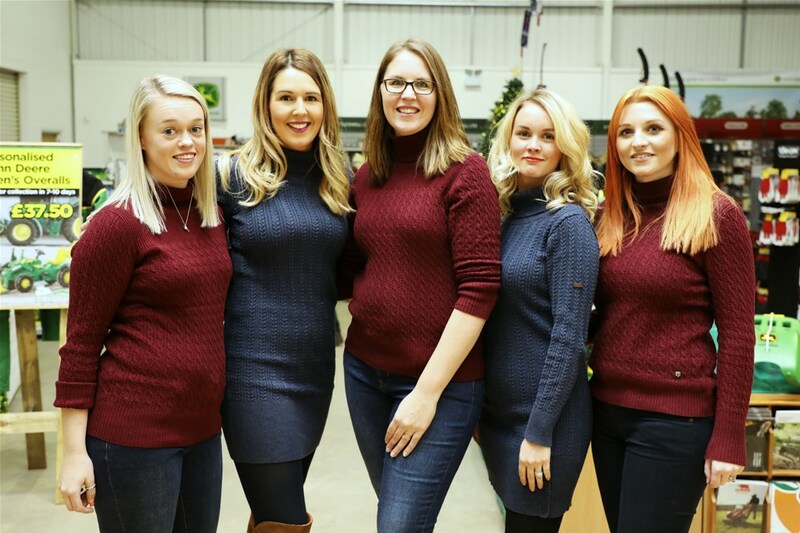 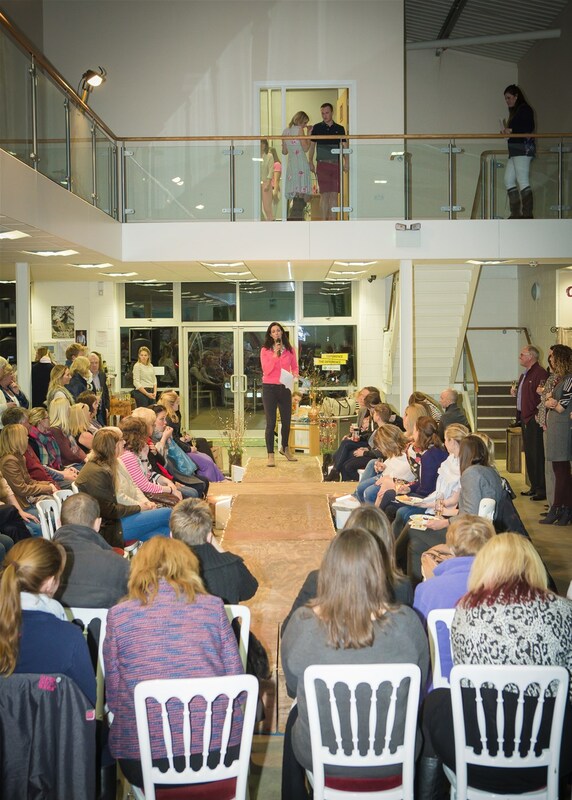 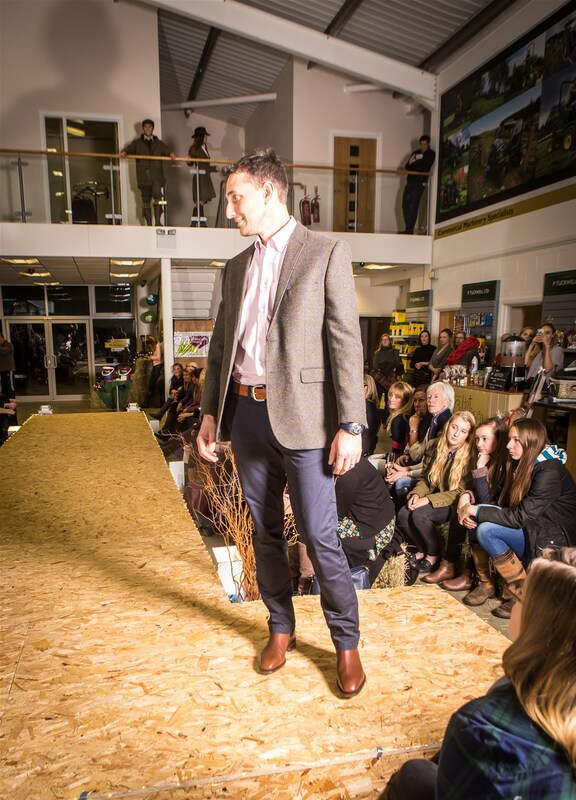 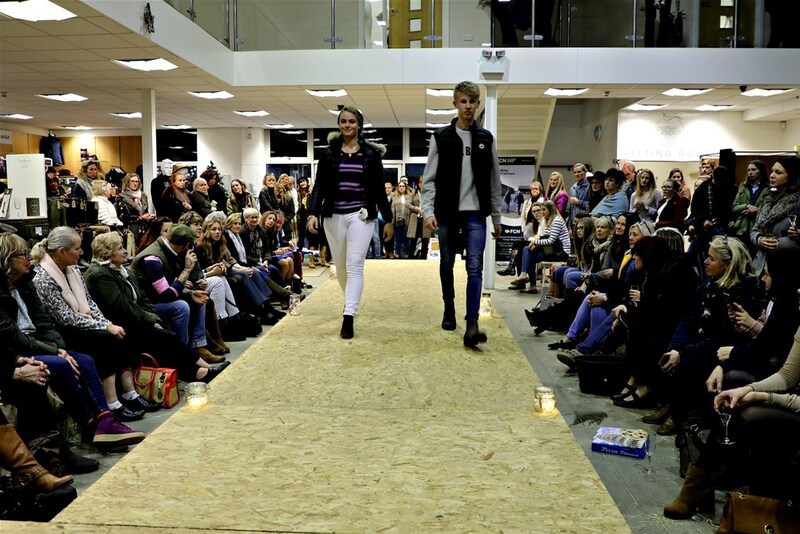 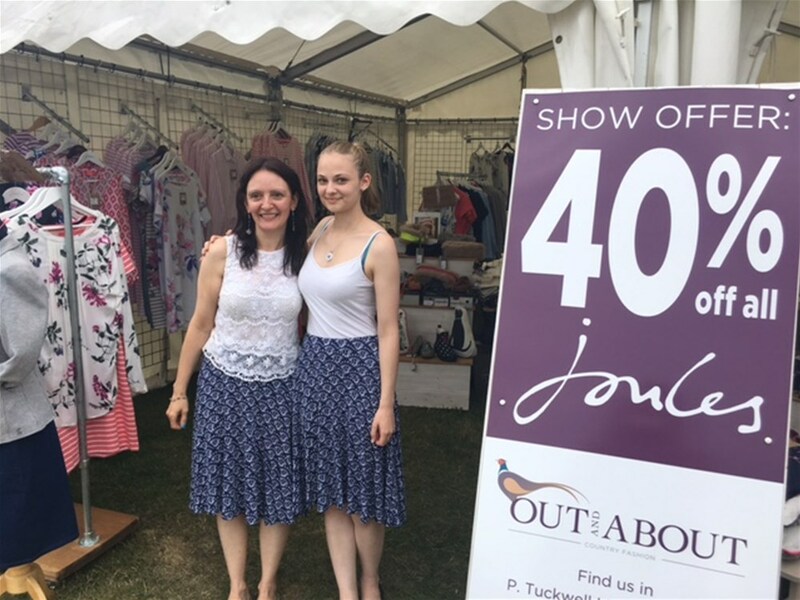 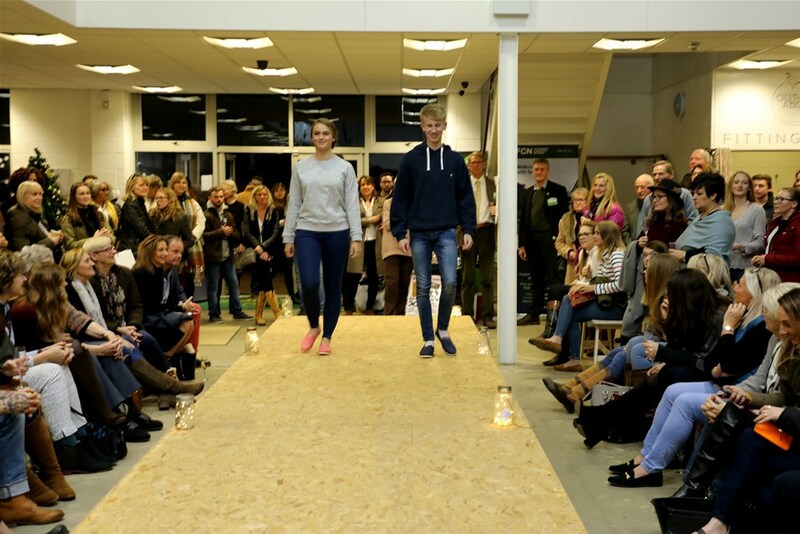 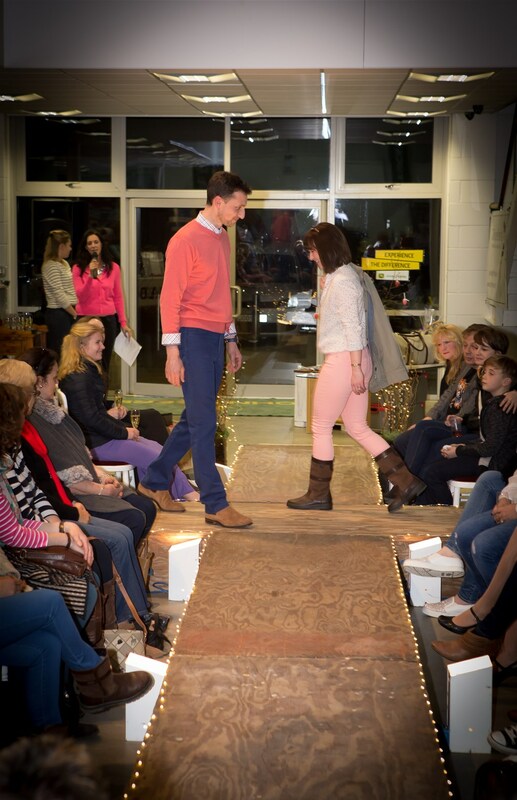 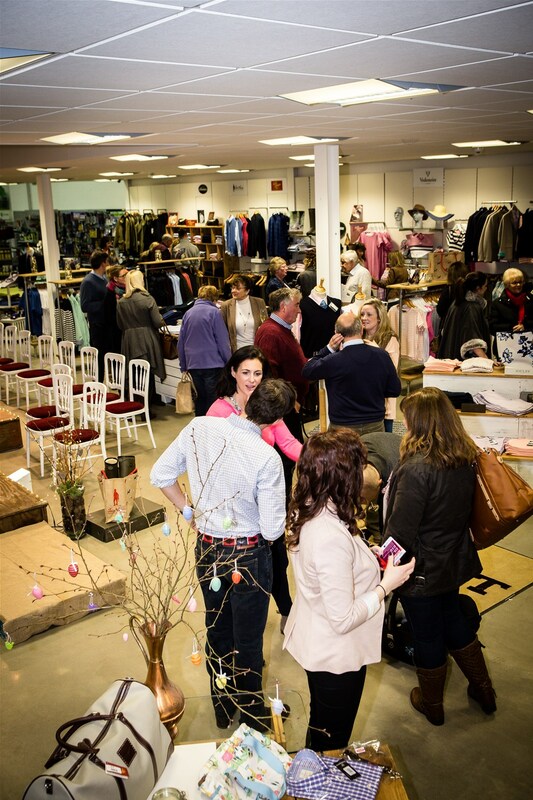 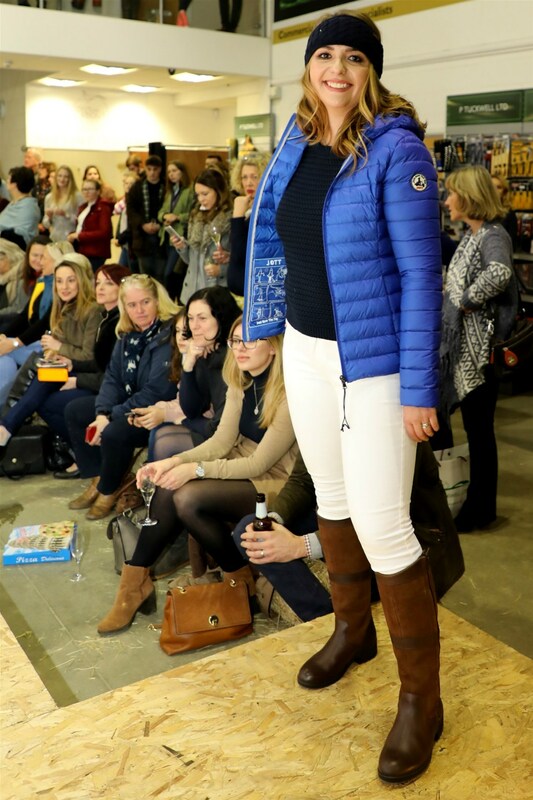 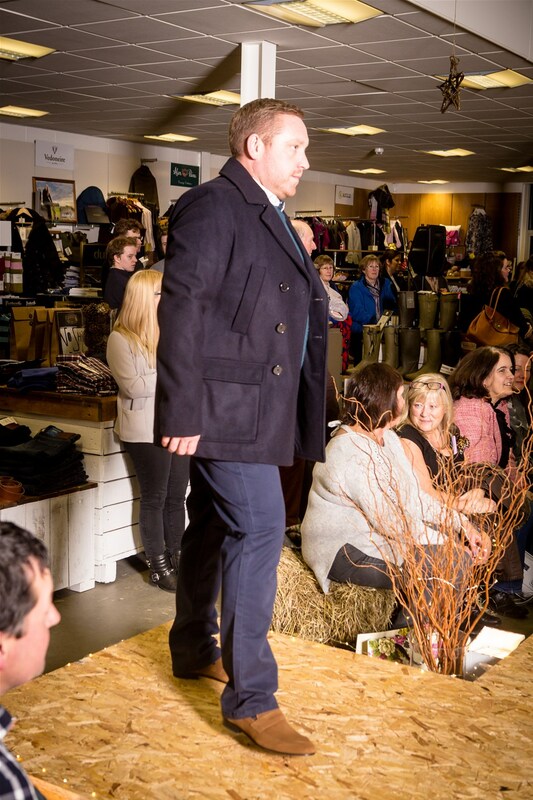 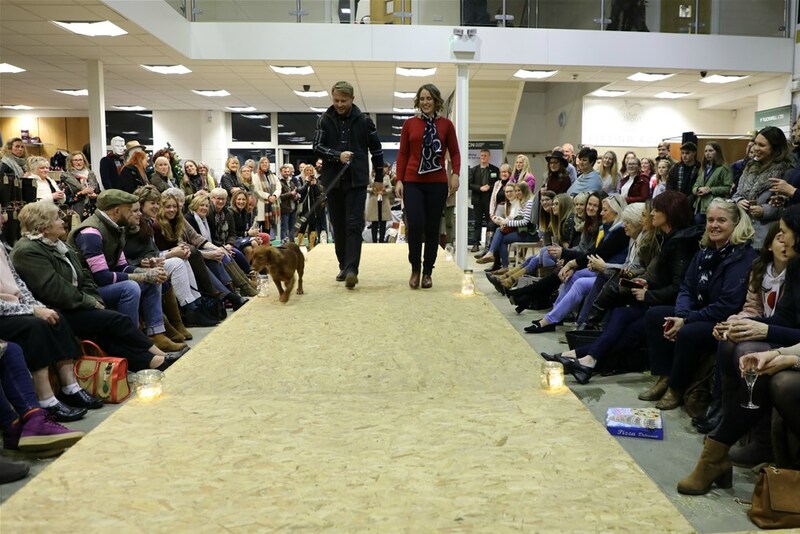 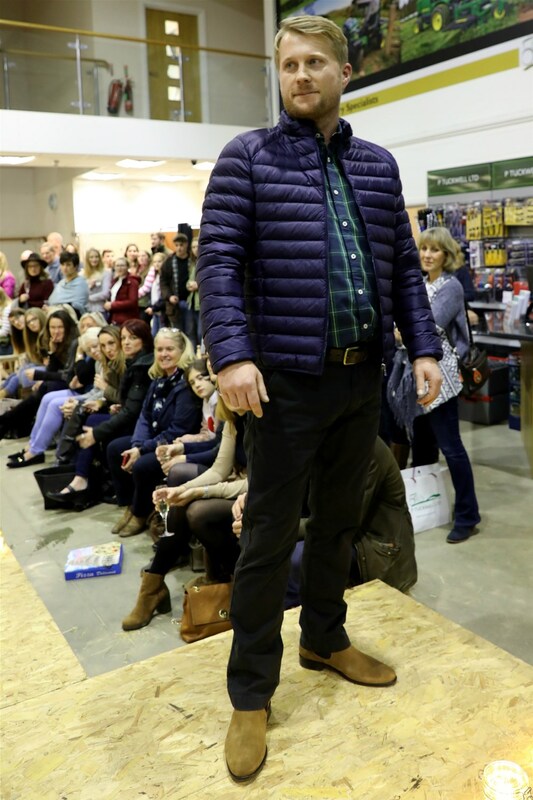 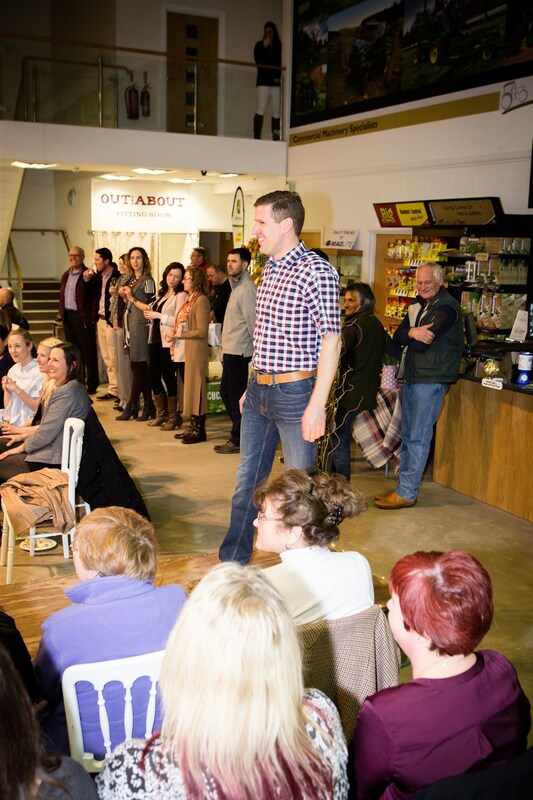 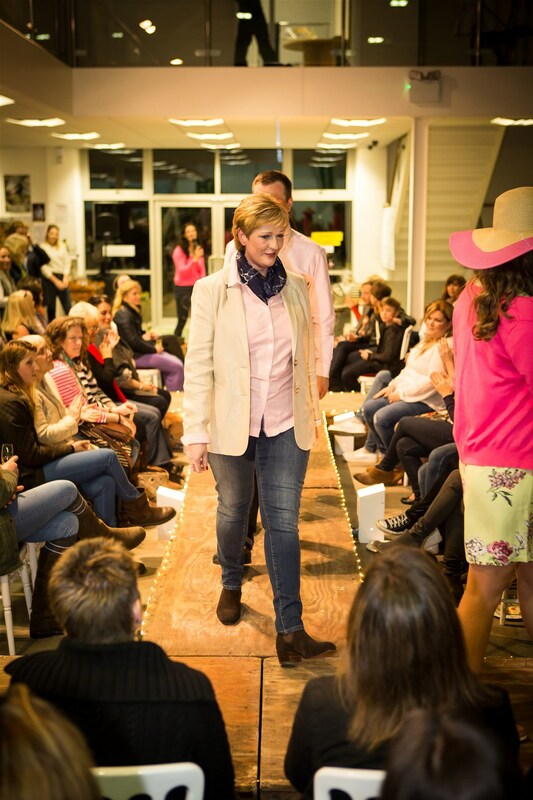 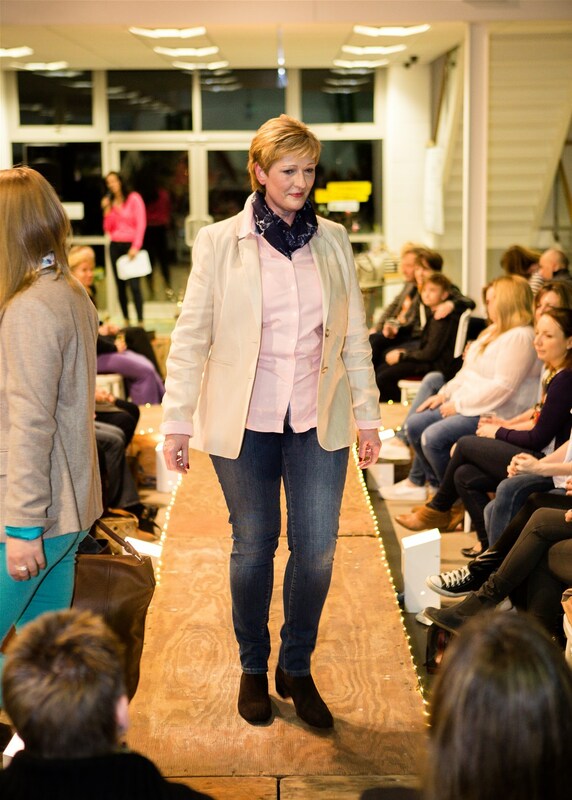 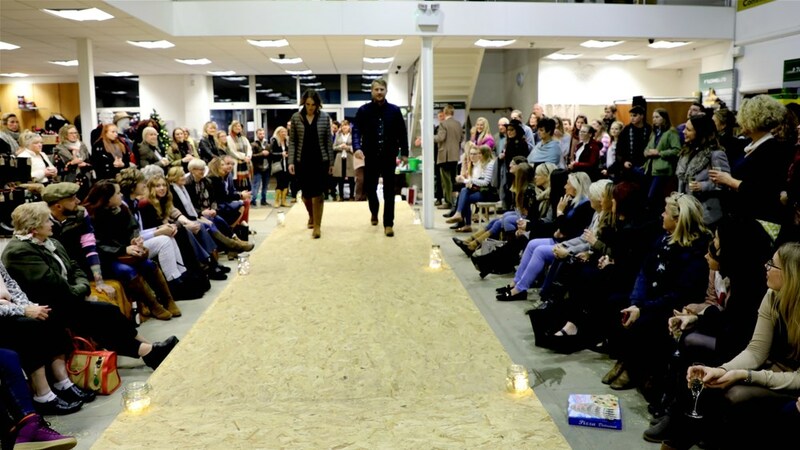 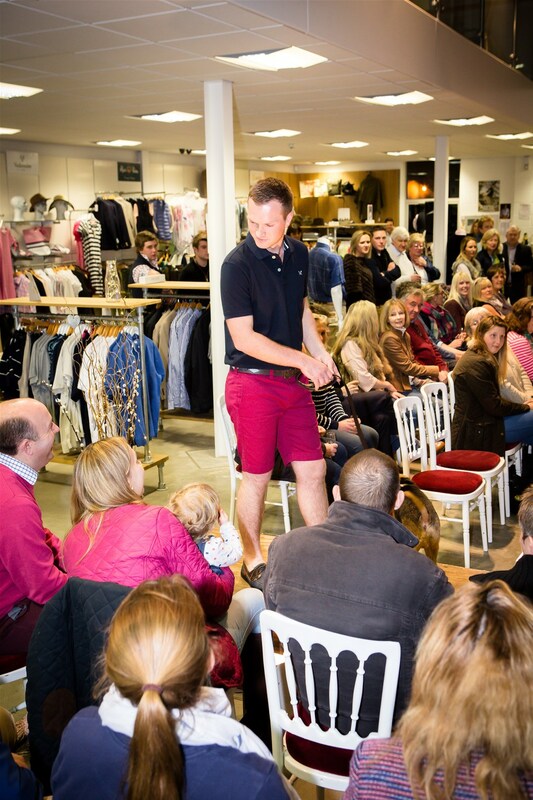 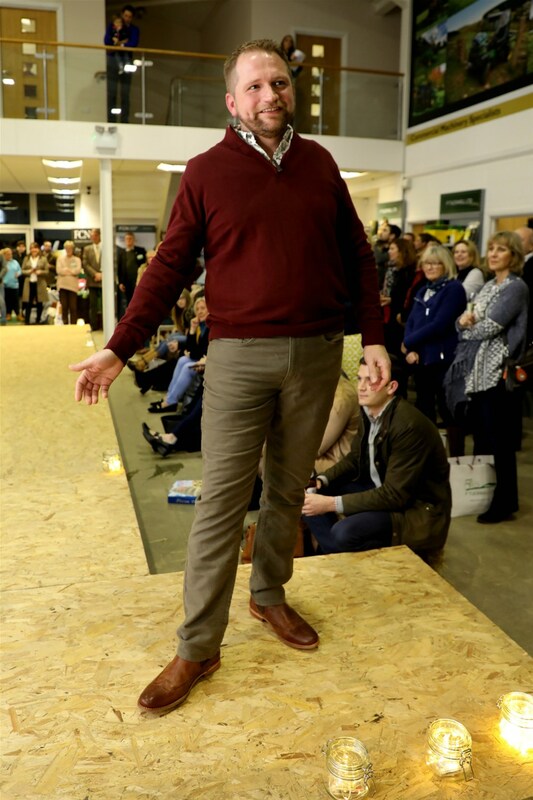 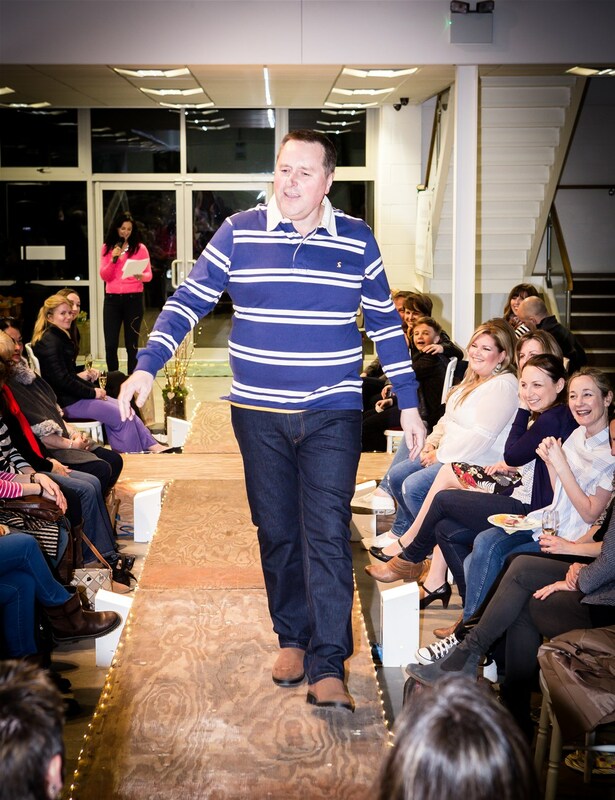 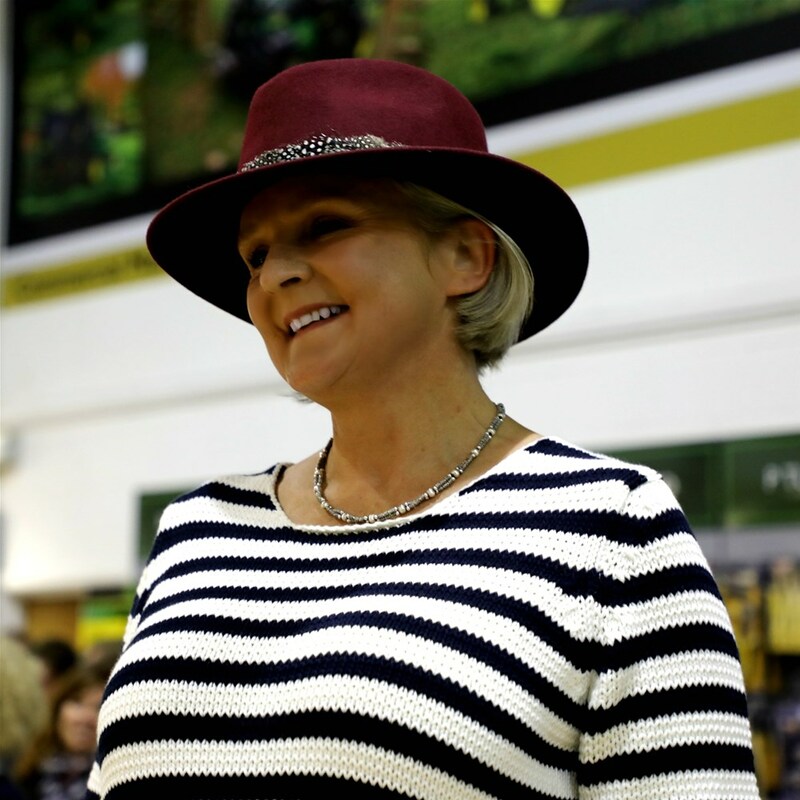 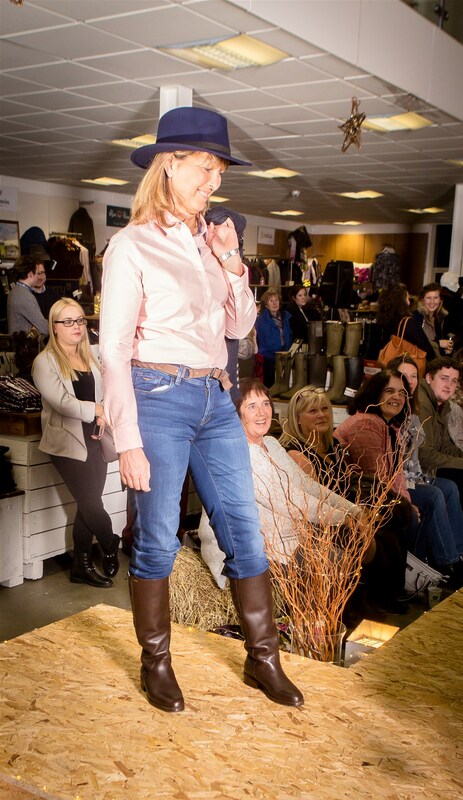 Thank you all very much for attending our recent fashion show in Ardleigh. 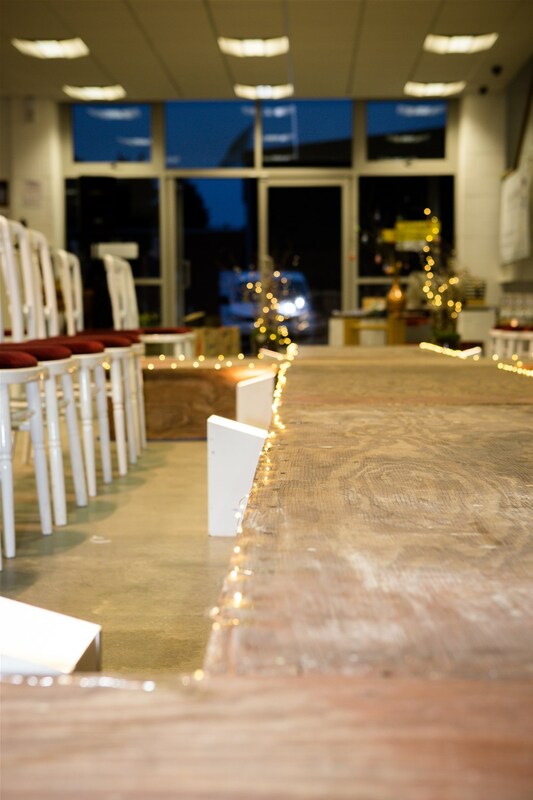 We hope you enjoyed the evening as much as we did. 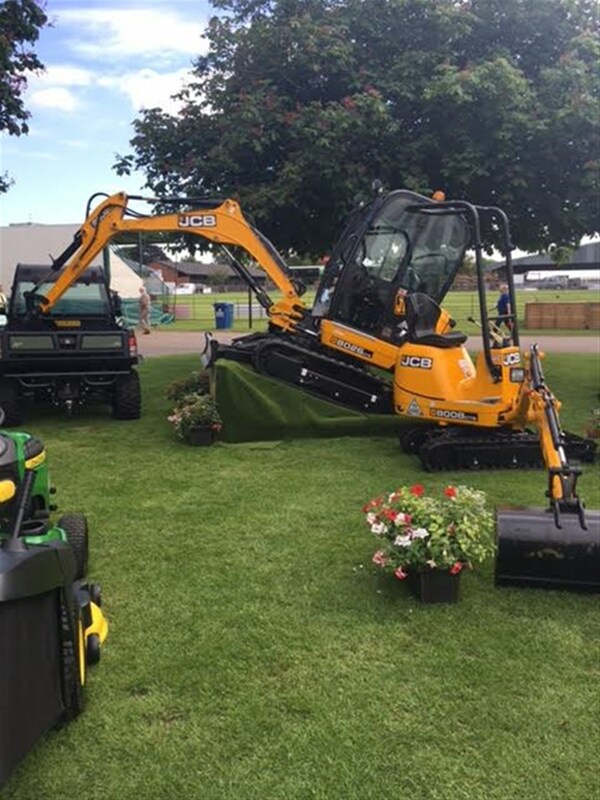 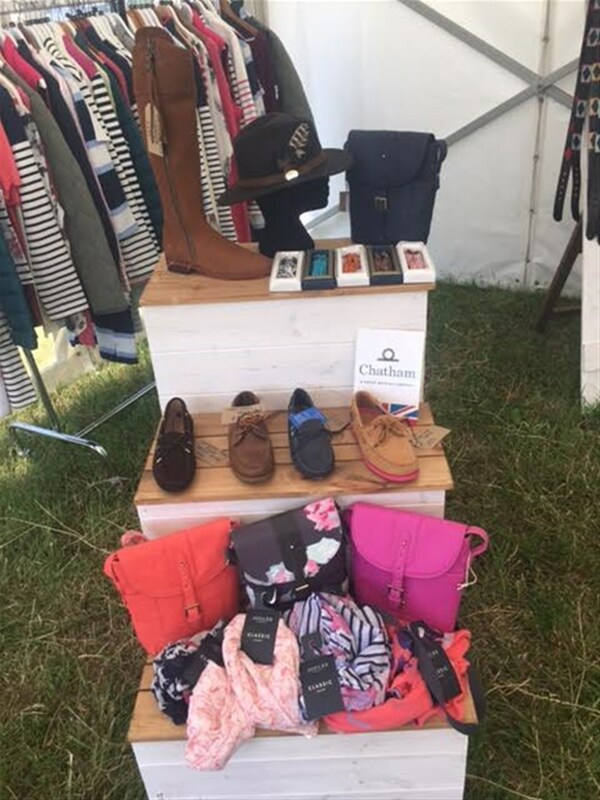 Our brands were so generous in donating fantastic prizes for our charity raffle, so we would like to say a huge thank you to them. 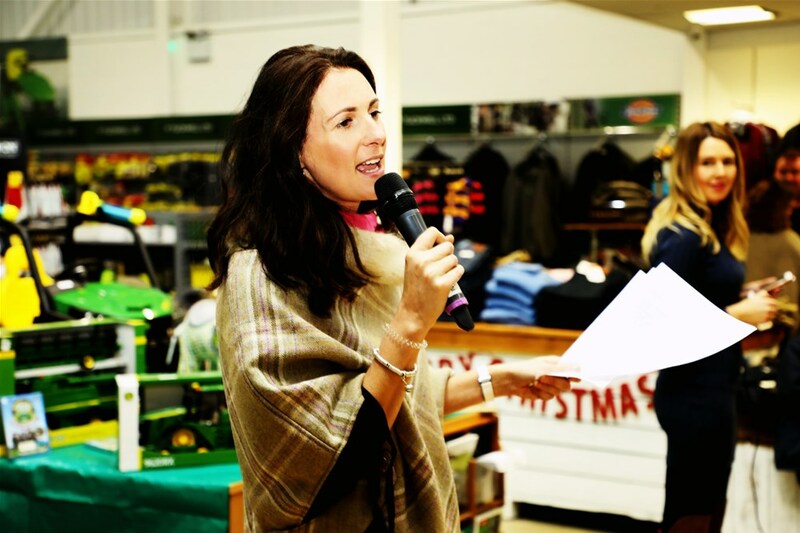 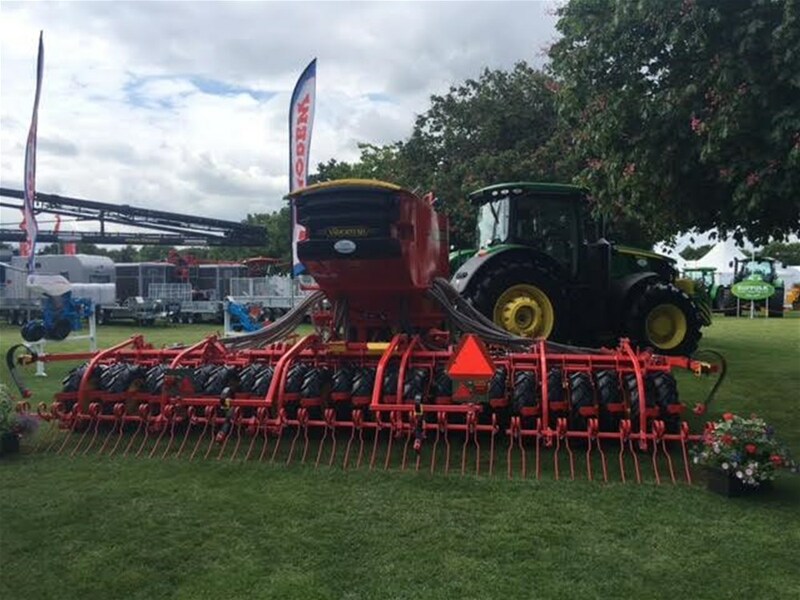 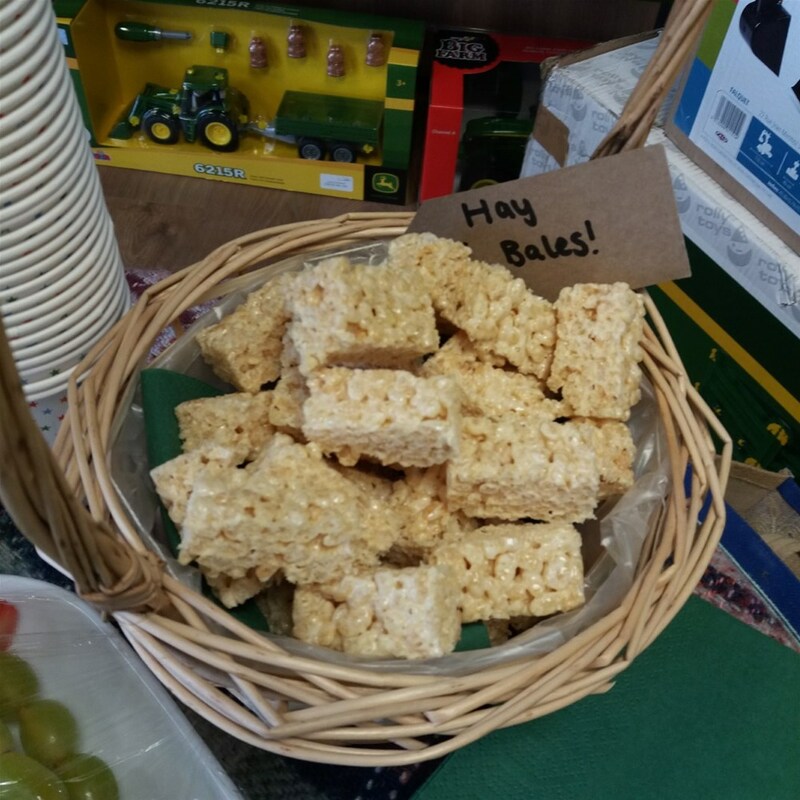 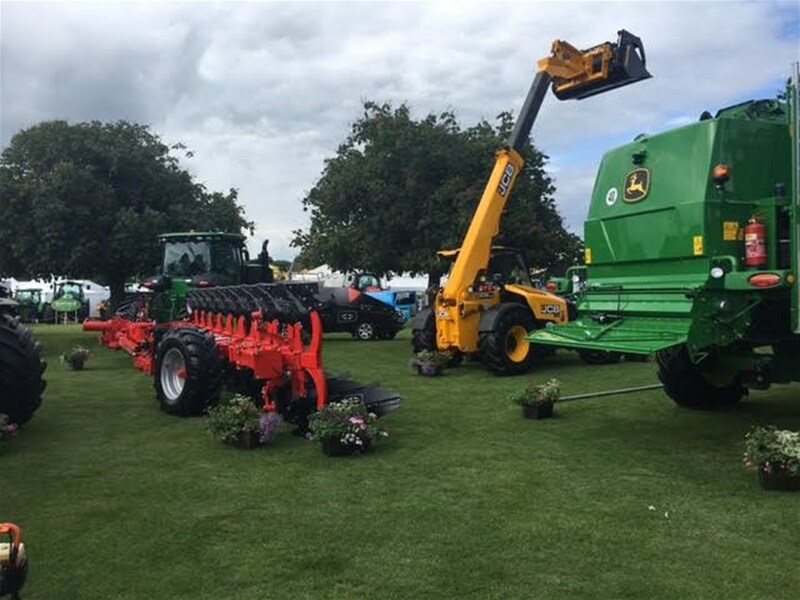 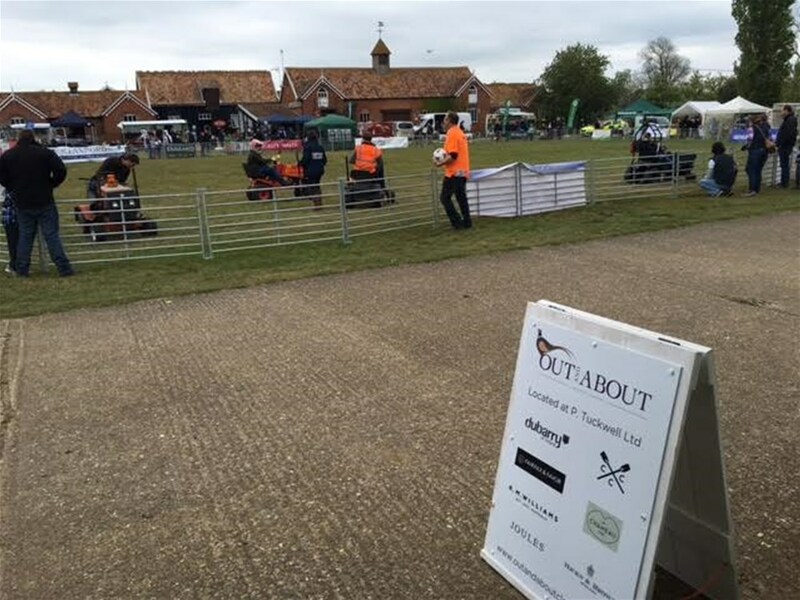 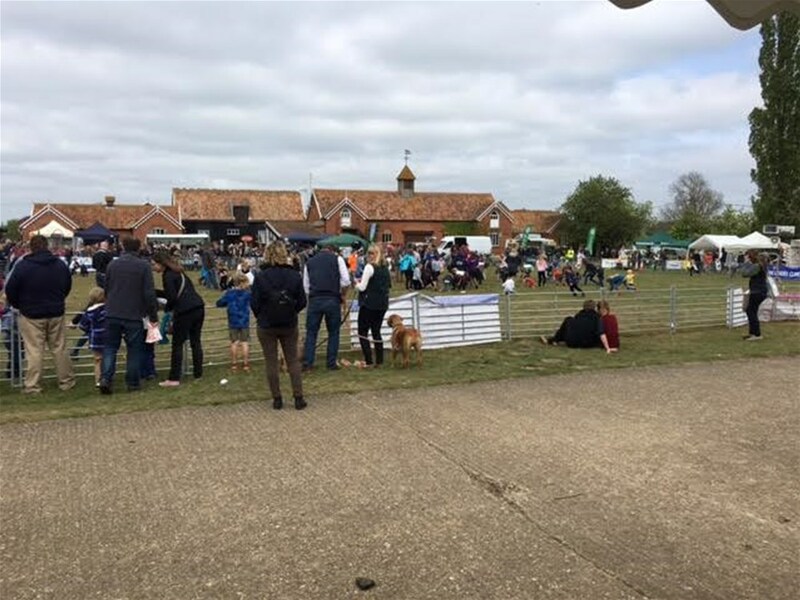 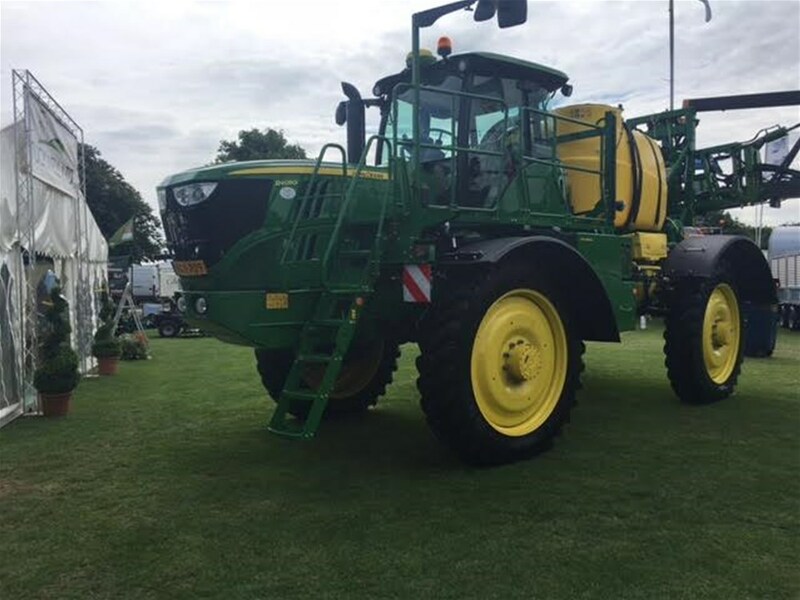 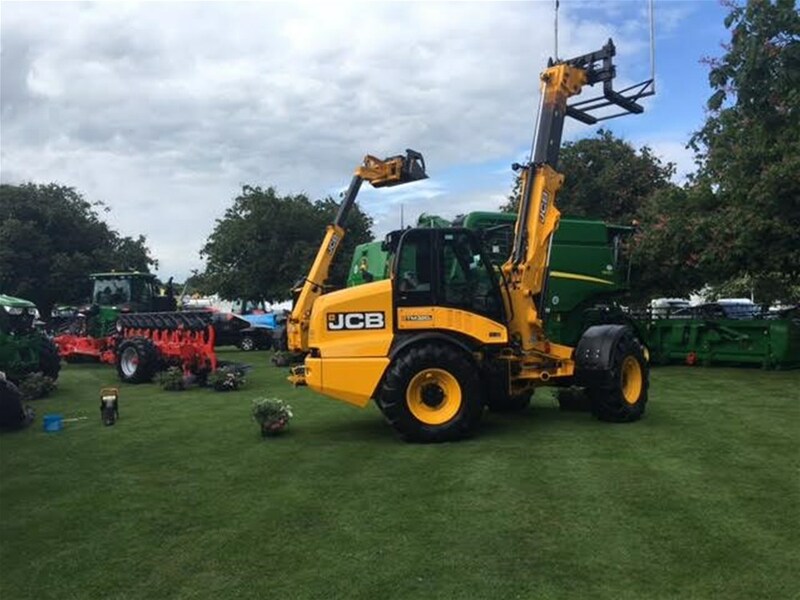 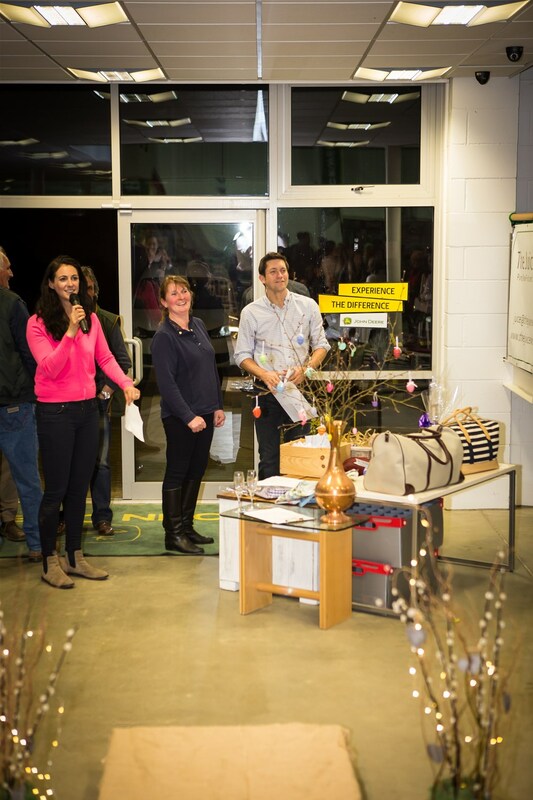 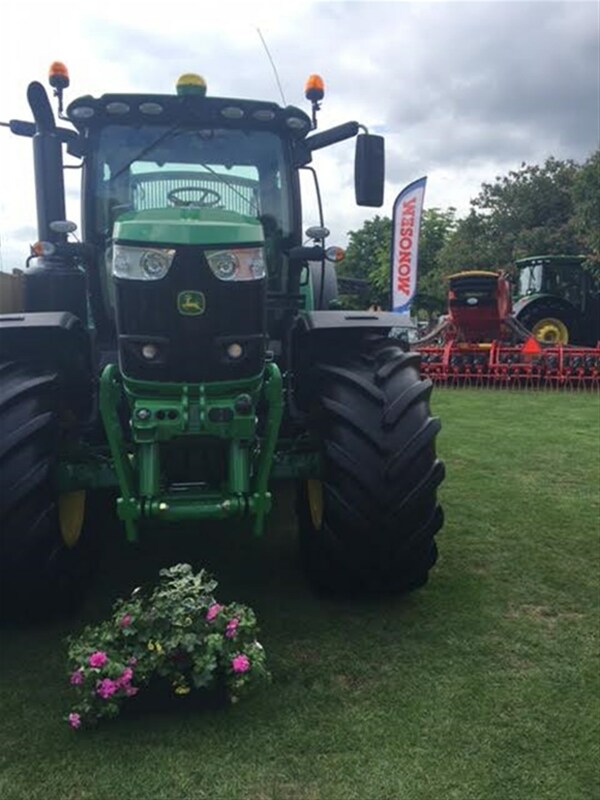 Our raffle was in aid of the FCN, Farming Community Network, and your ticket purchases raised a total of £1038! 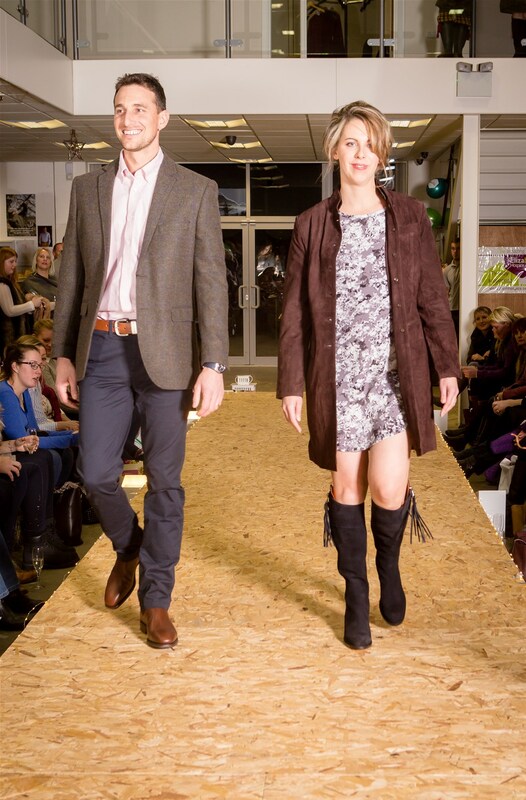 Here are just a few snaps of the evening, and our models (Tuckwell's finest employees!). 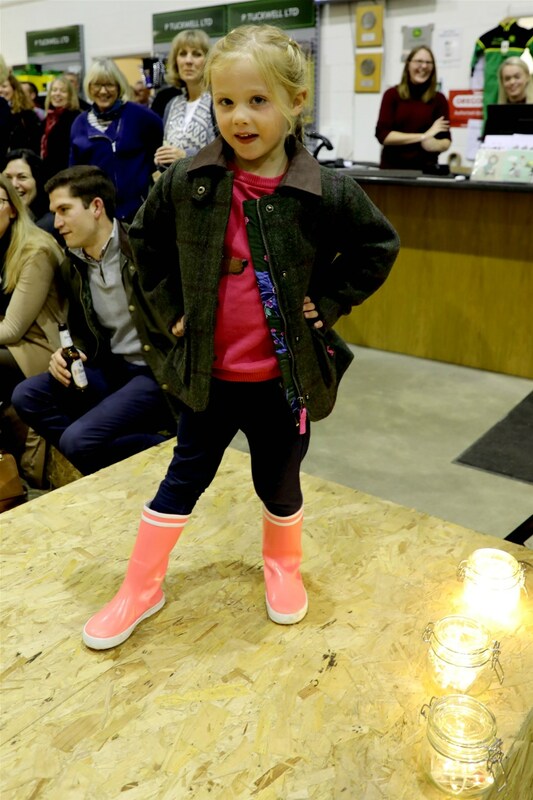 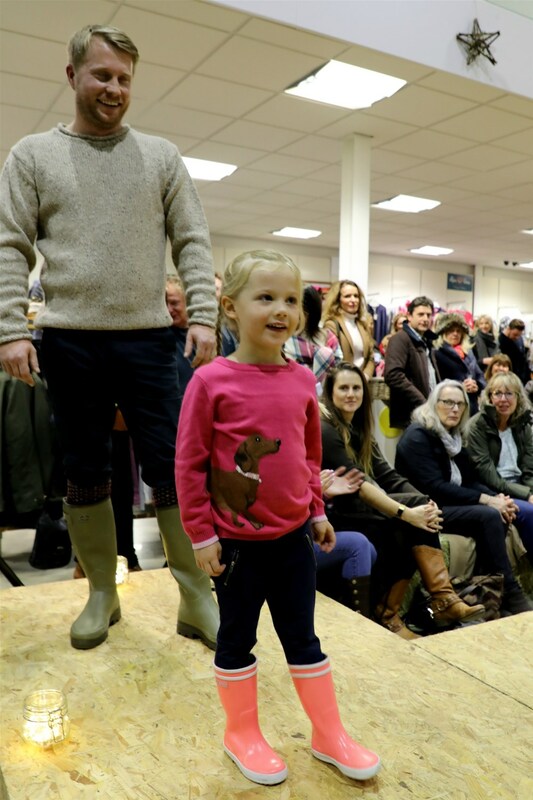 On the 23rd and 30th of September we launched our children's collection, which was a great success! 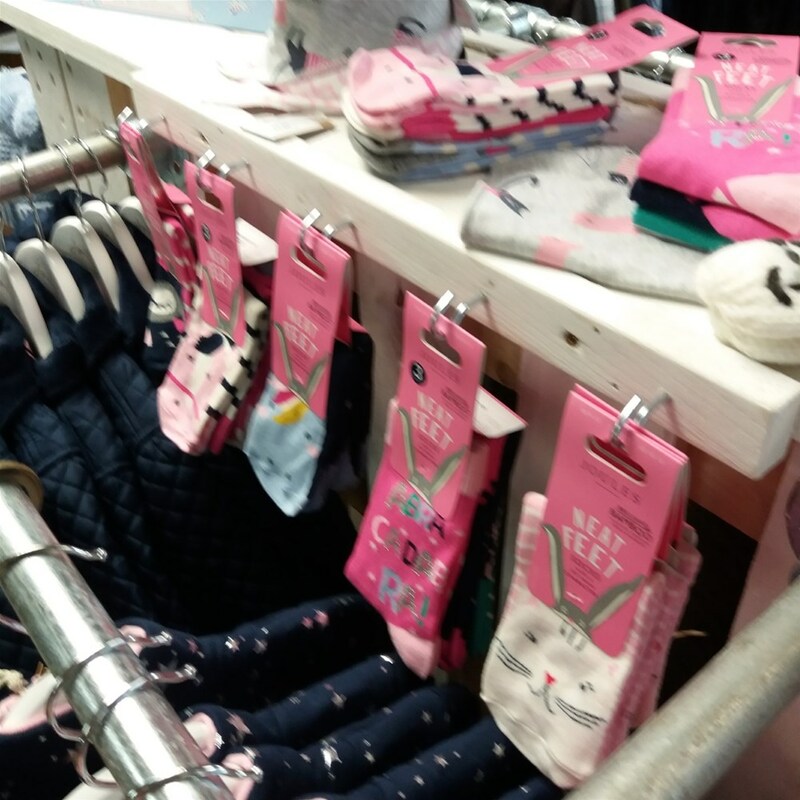 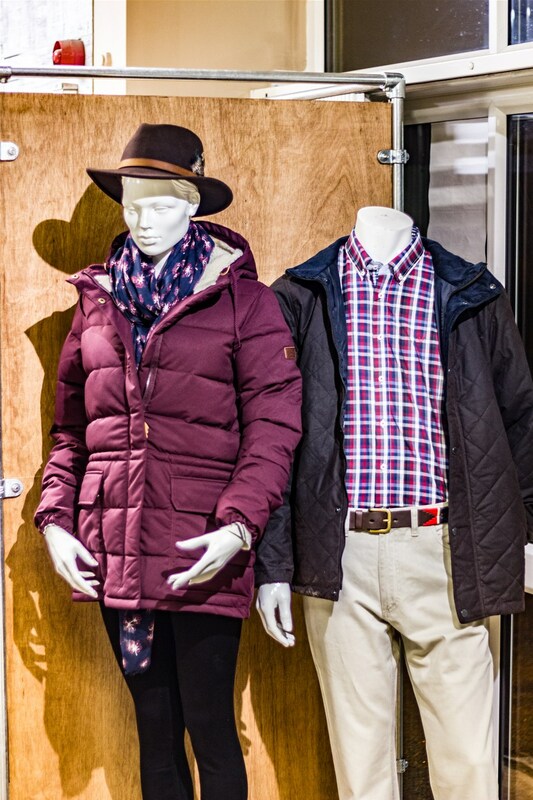 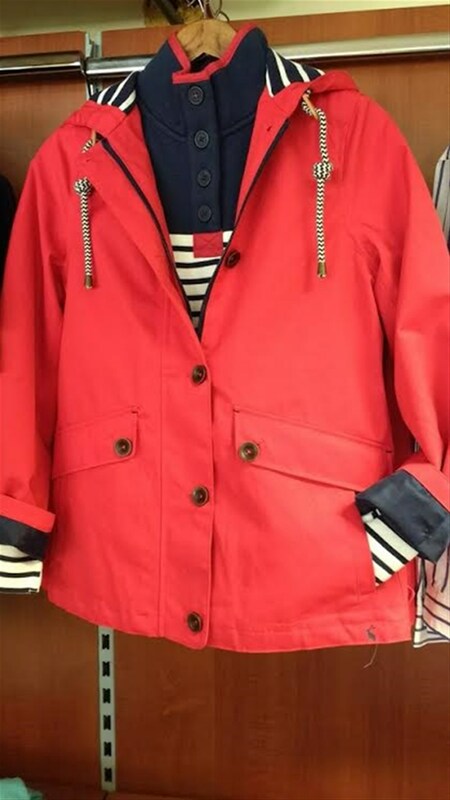 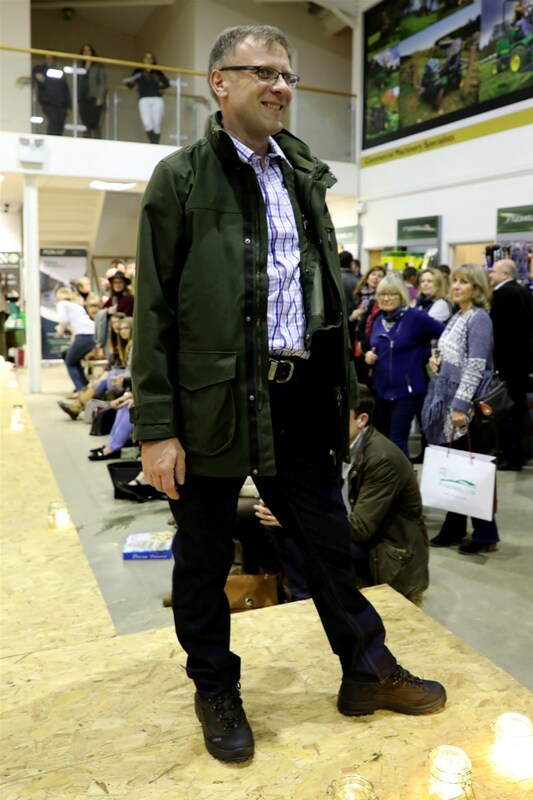 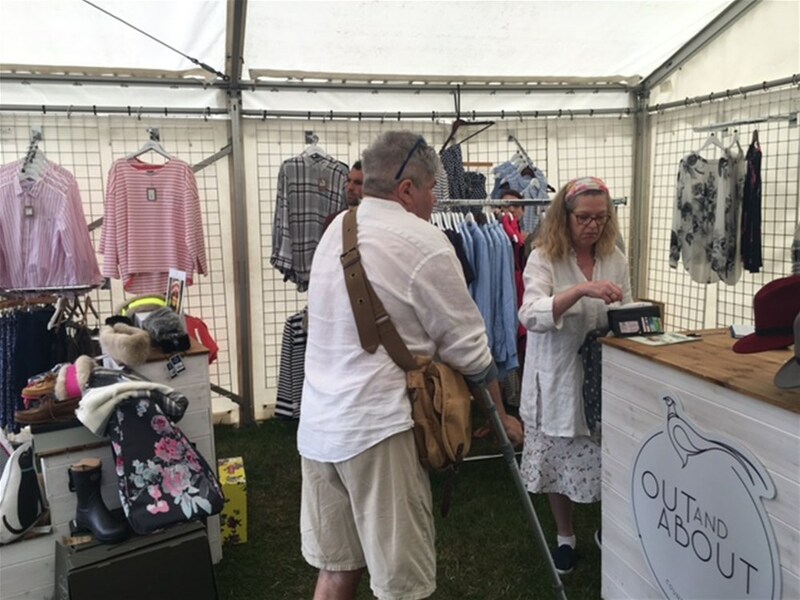 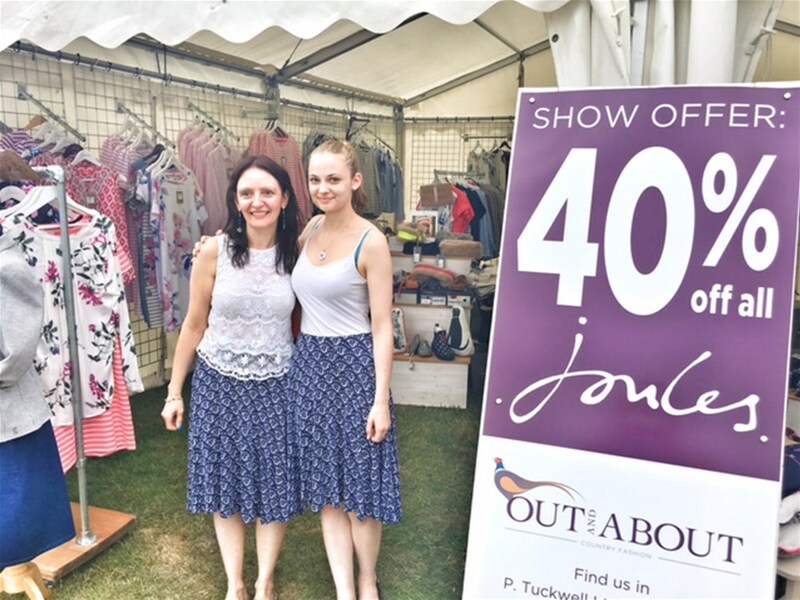 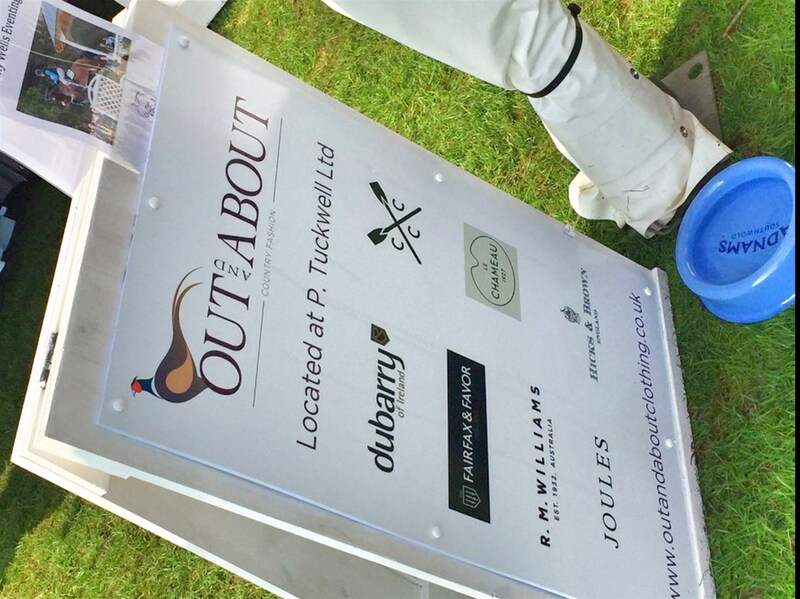 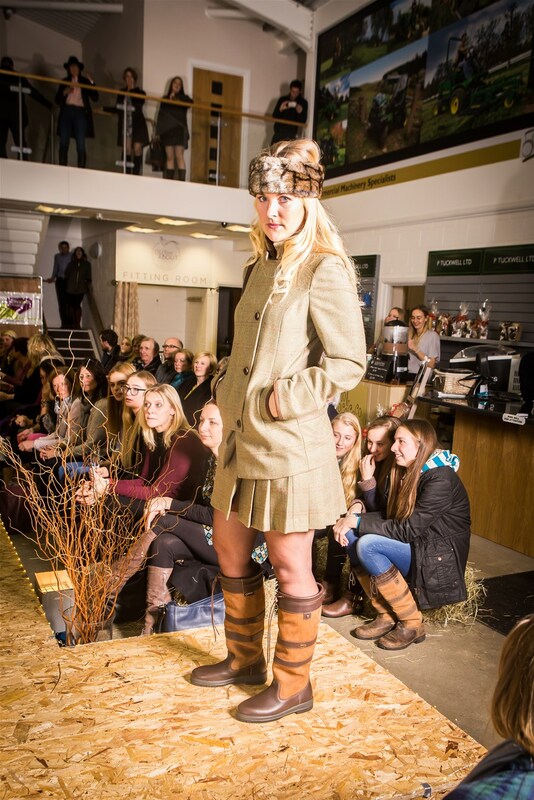 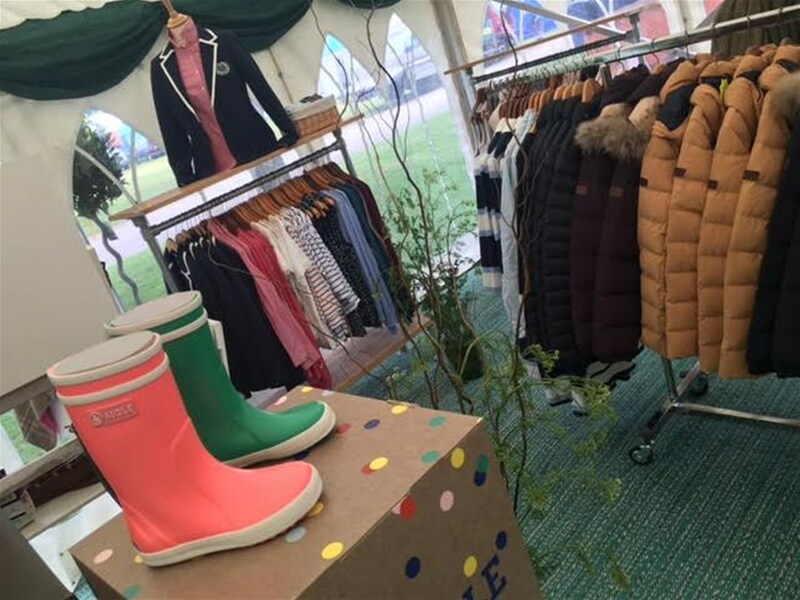 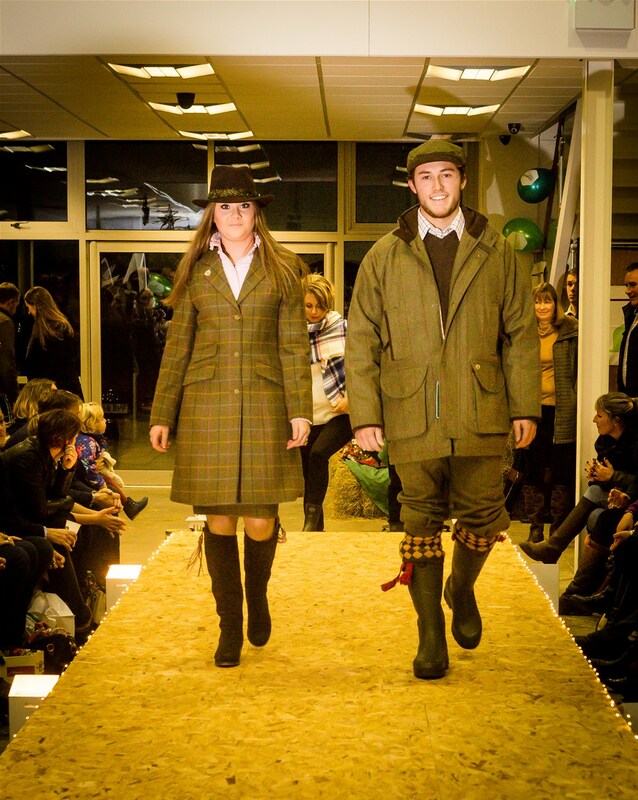 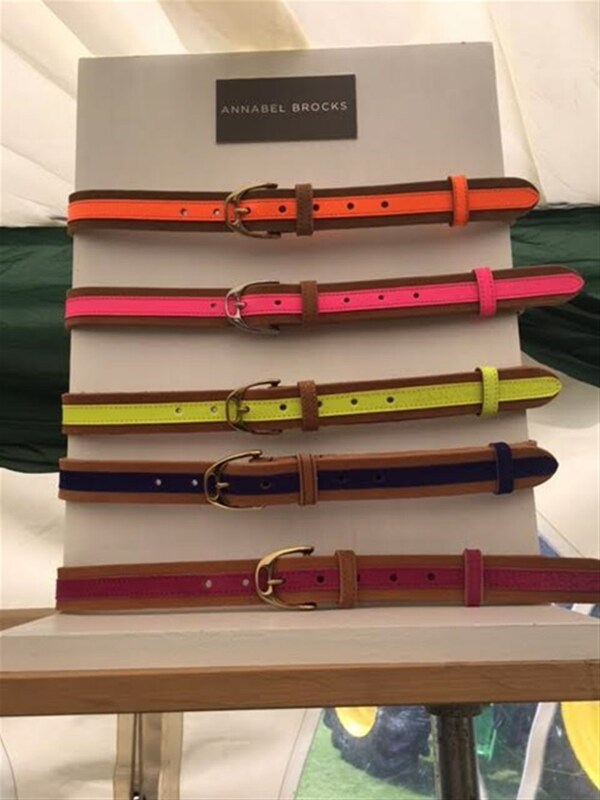 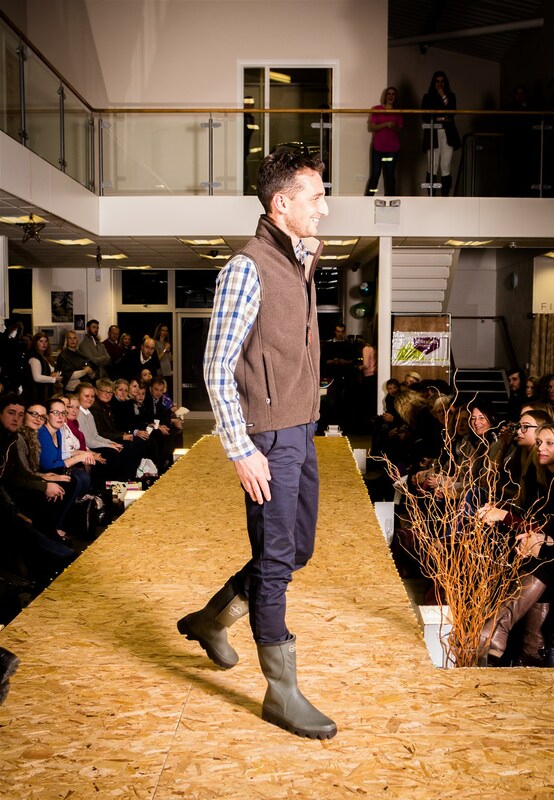 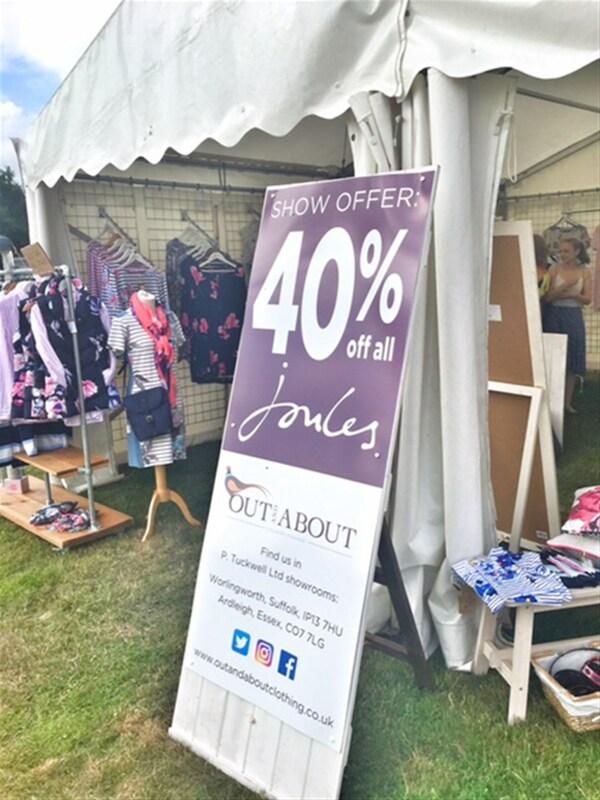 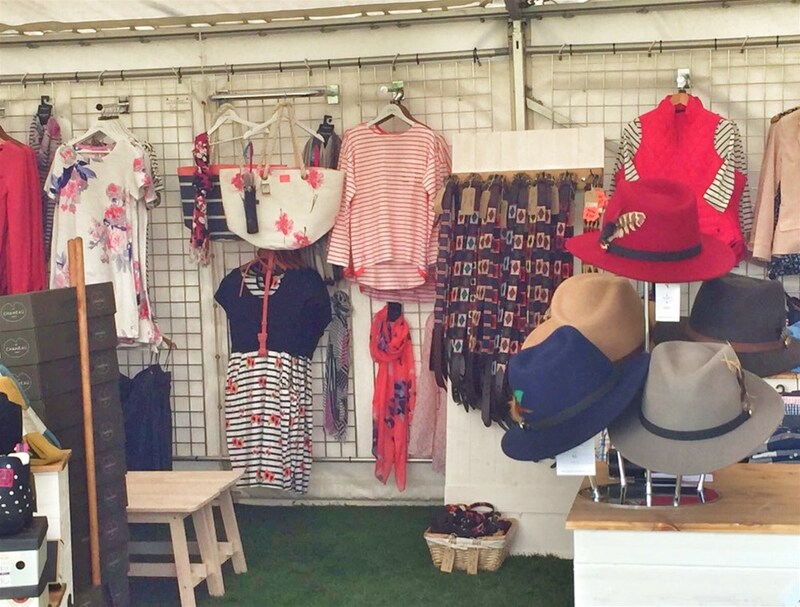 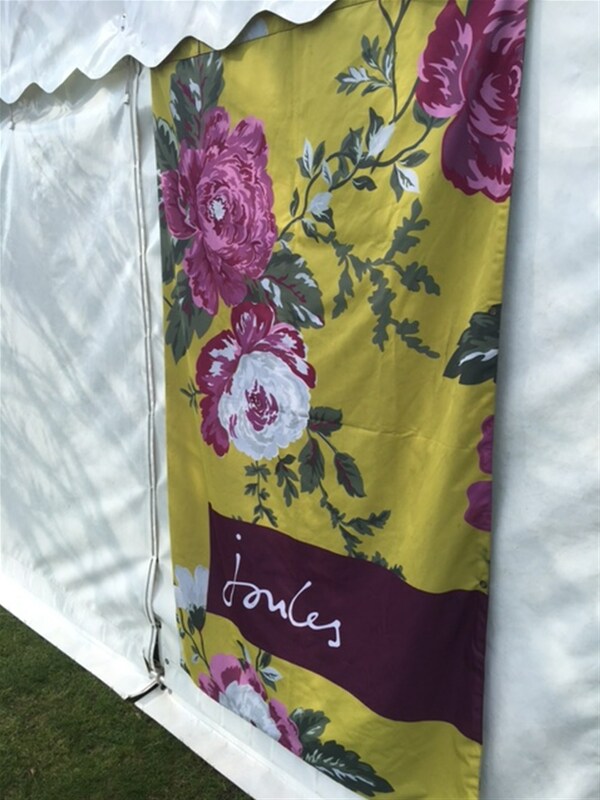 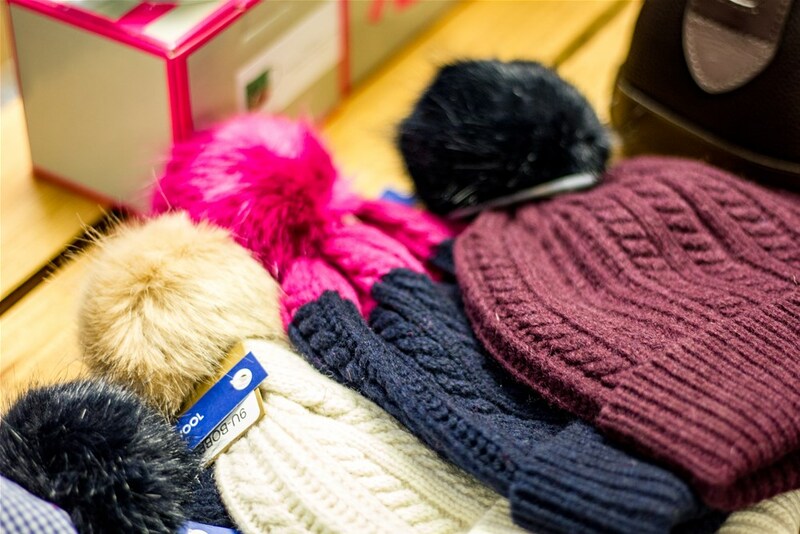 Brands included Joules, Alan Paine and Aigle. 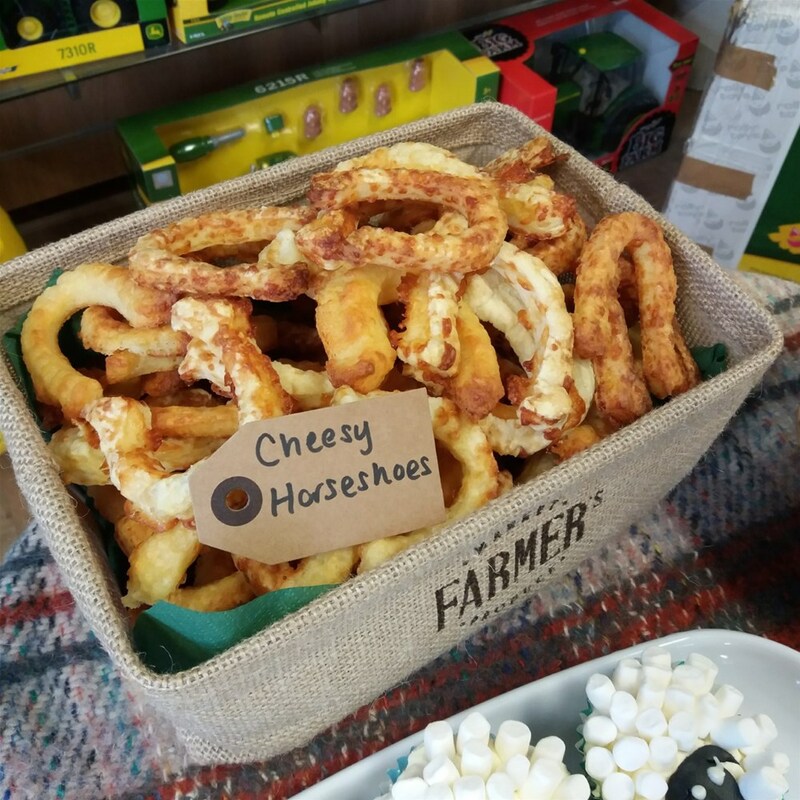 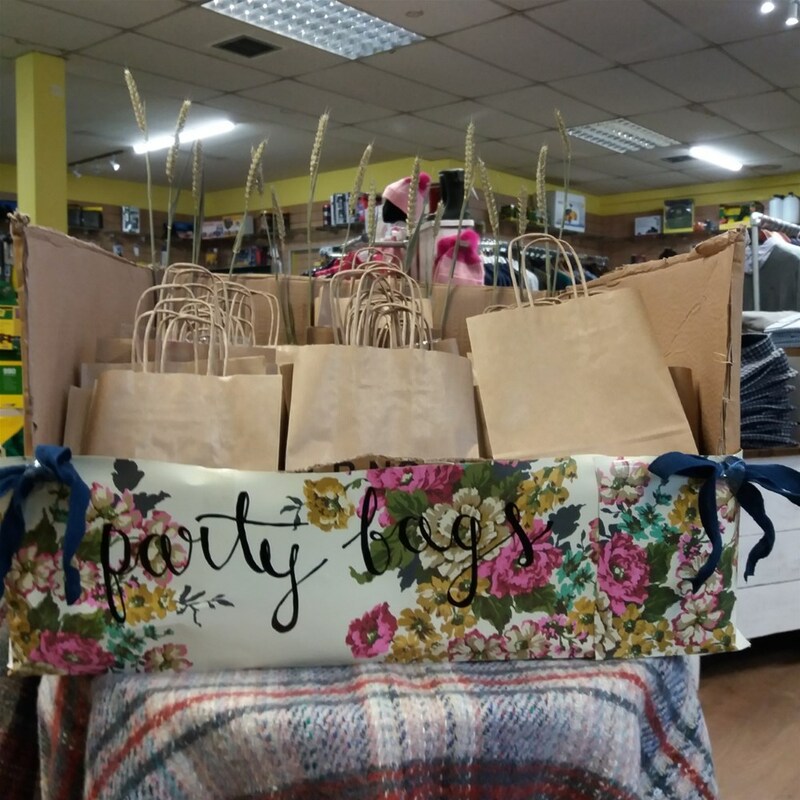 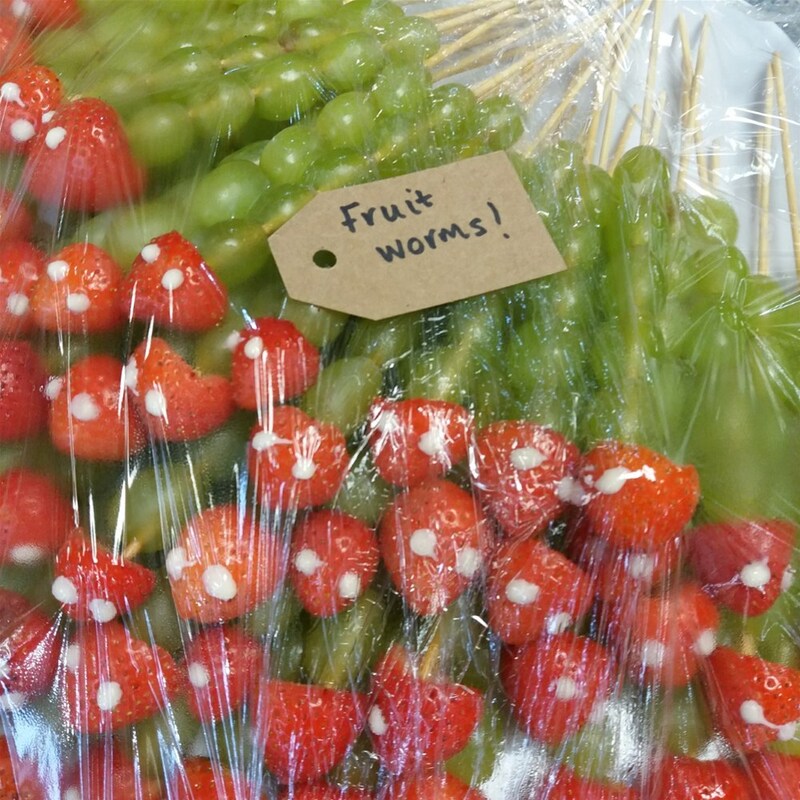 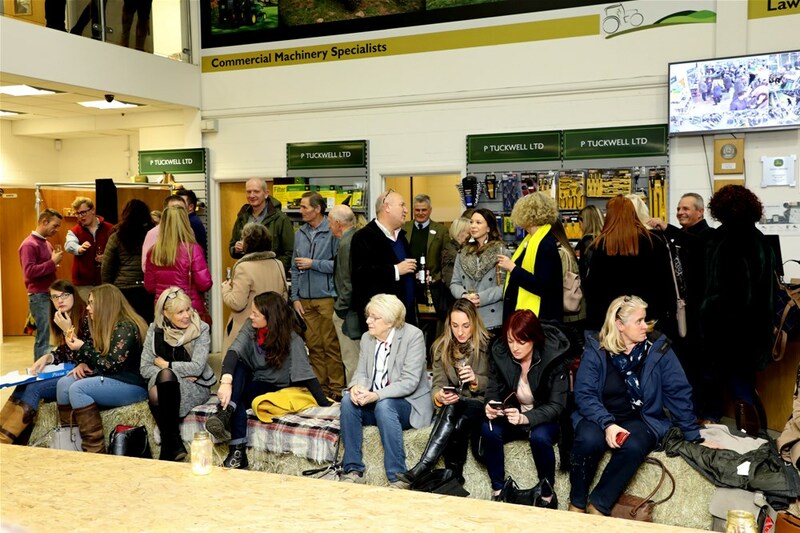 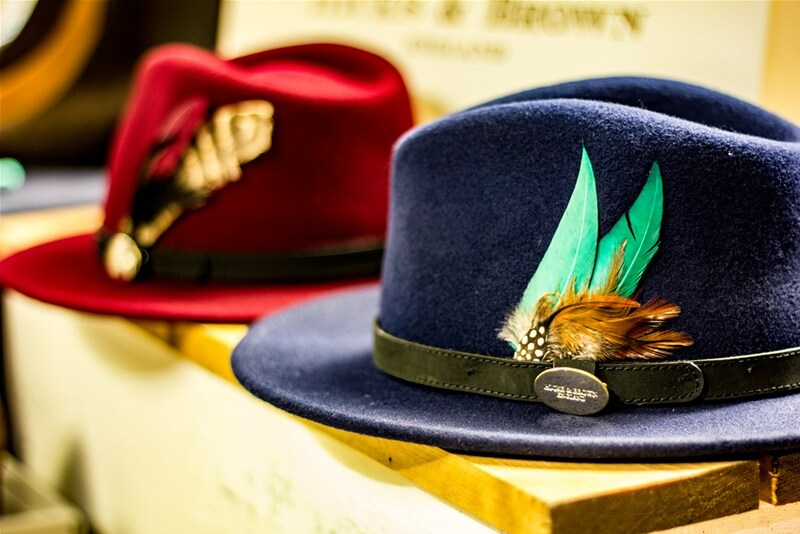 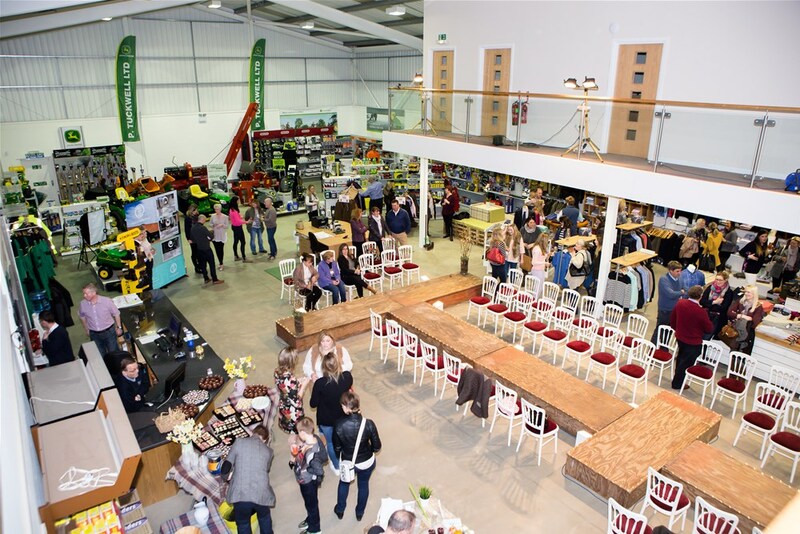 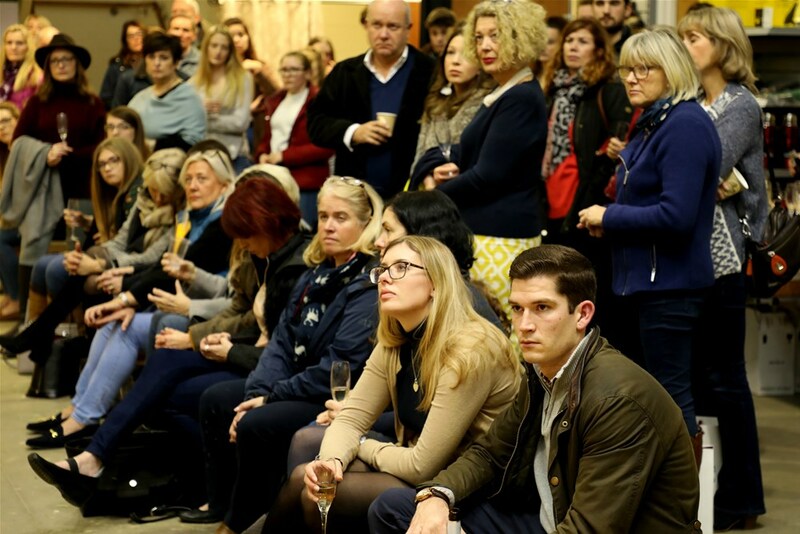 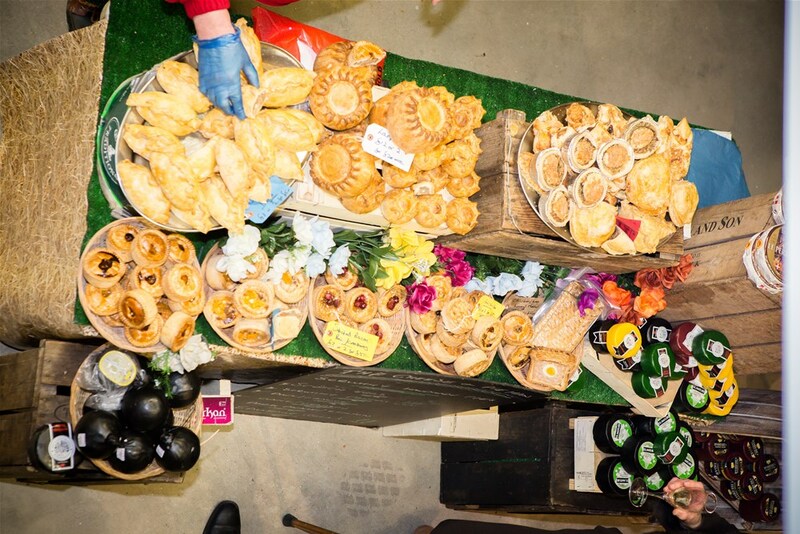 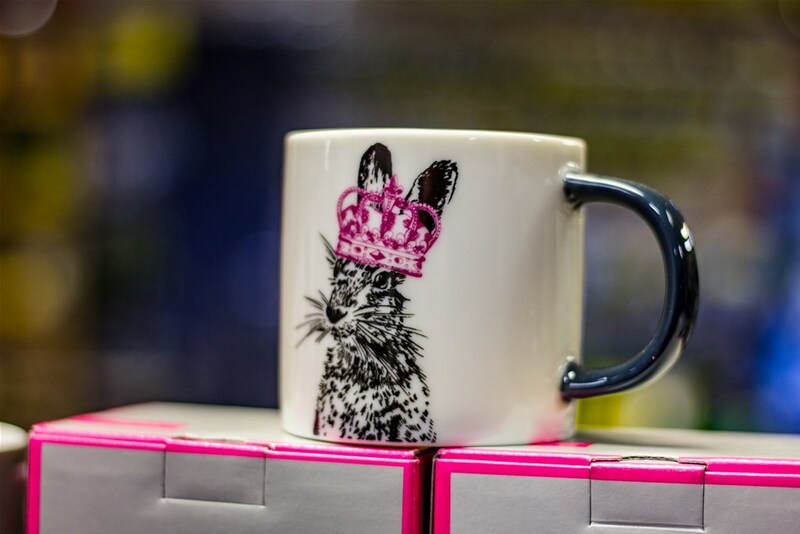 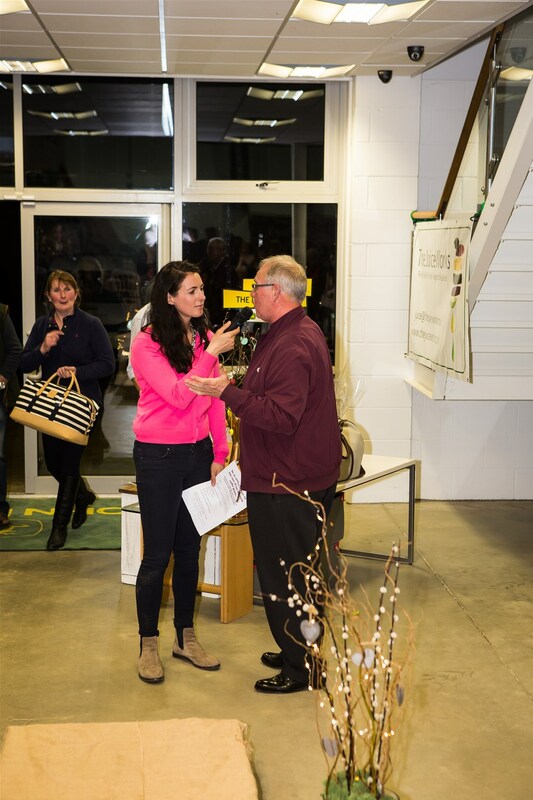 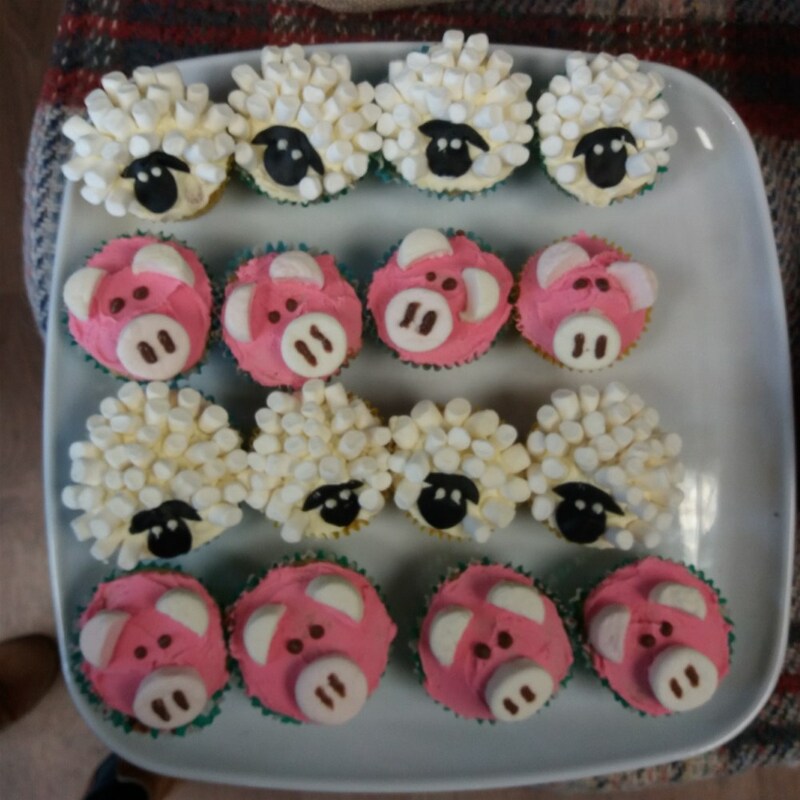 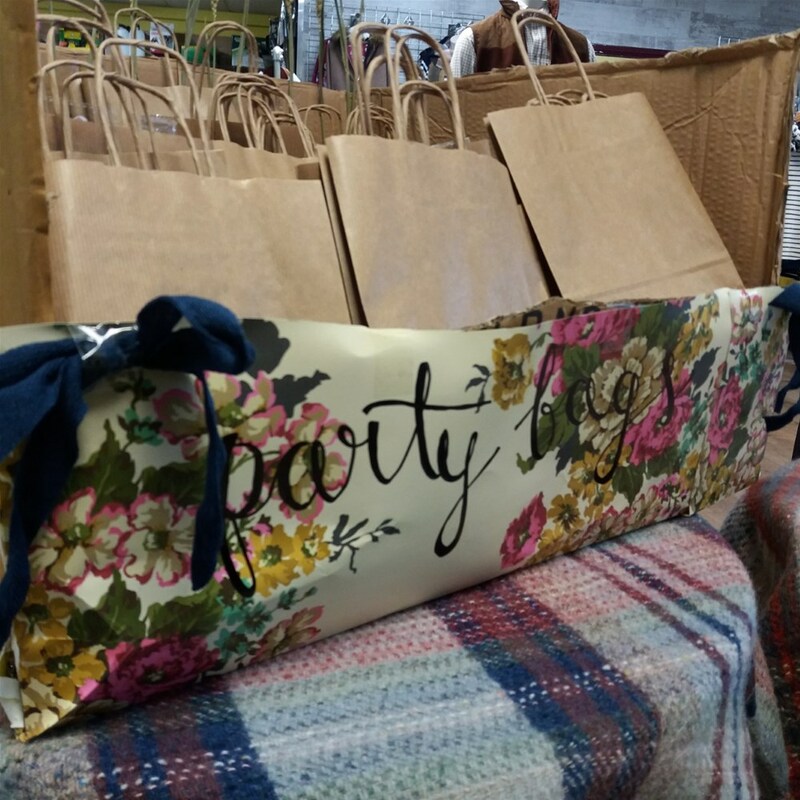 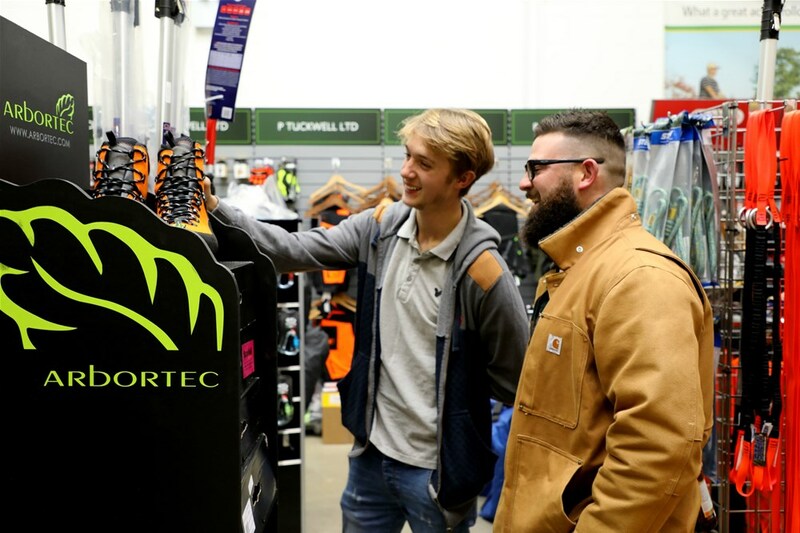 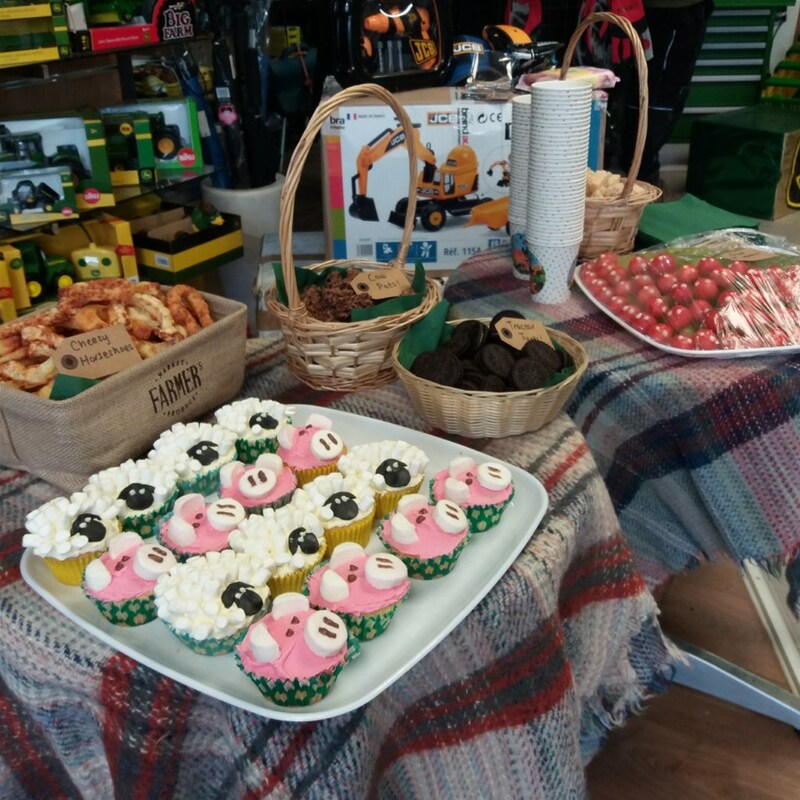 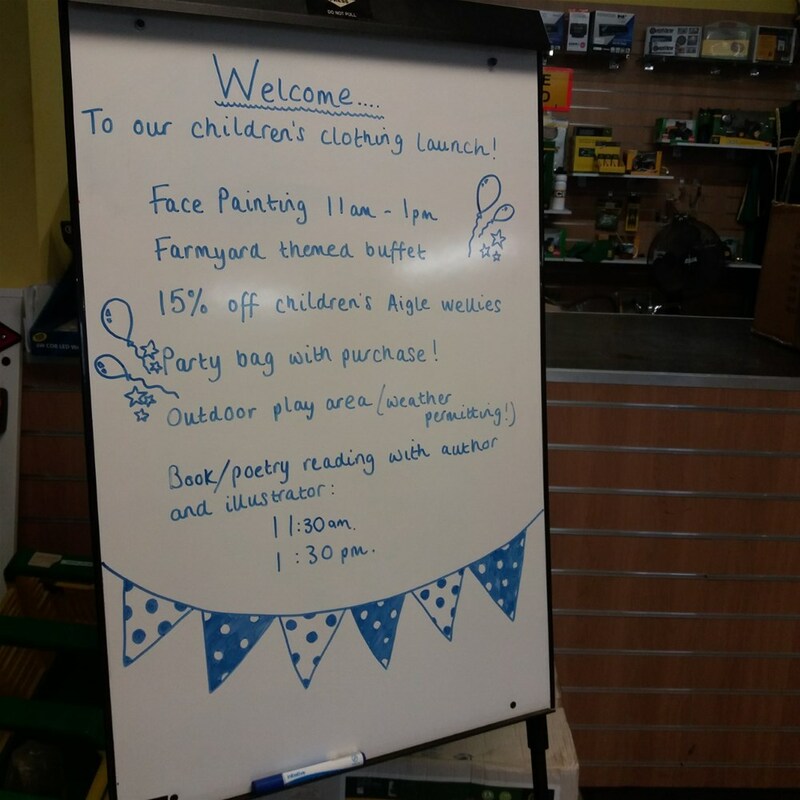 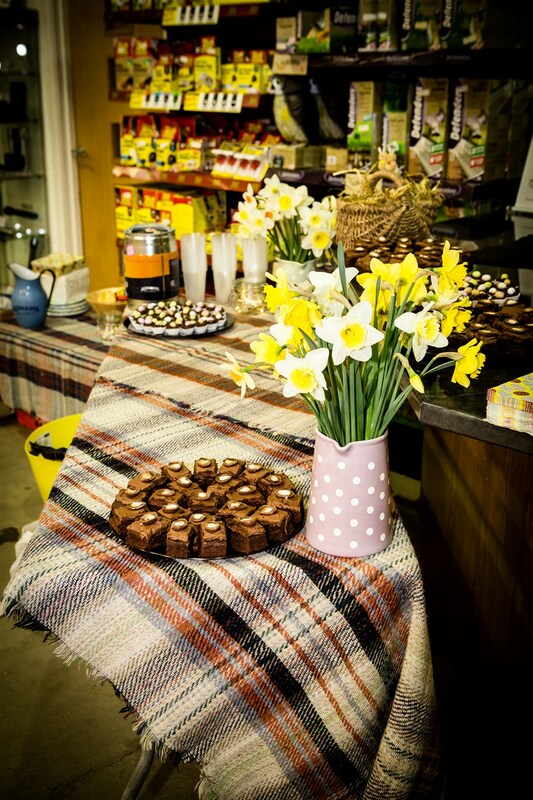 A selection of images from our open event at Worlingworth to celebrate the launch of the new shop. 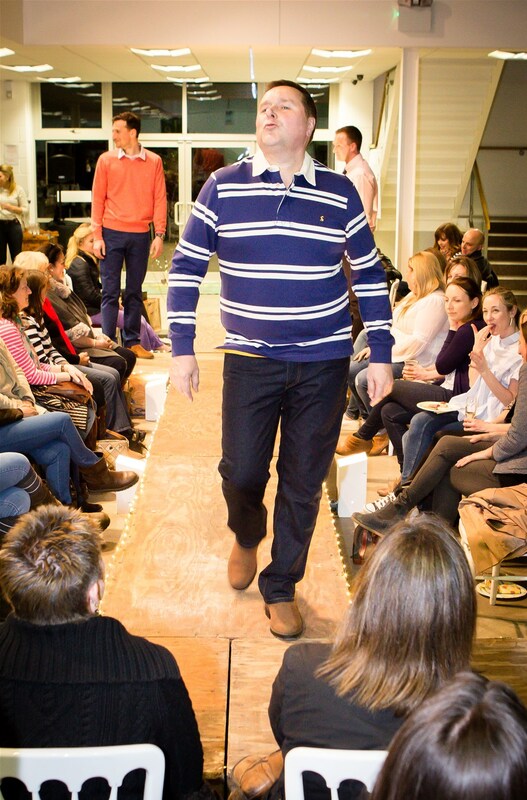 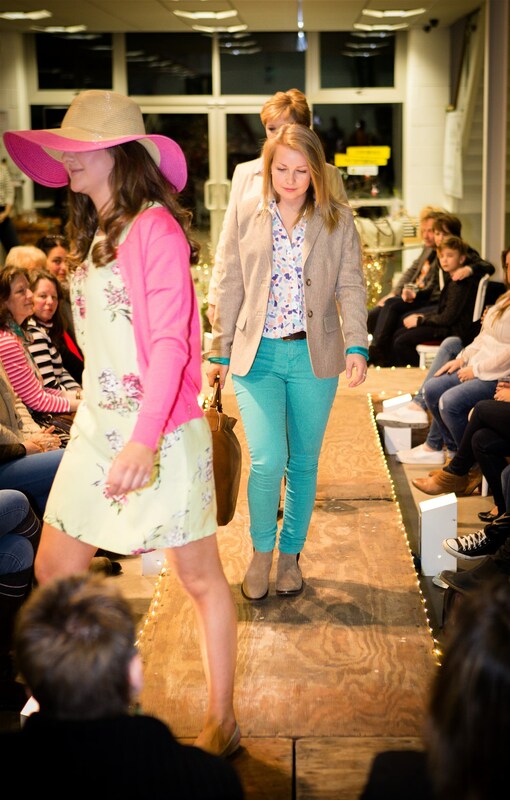 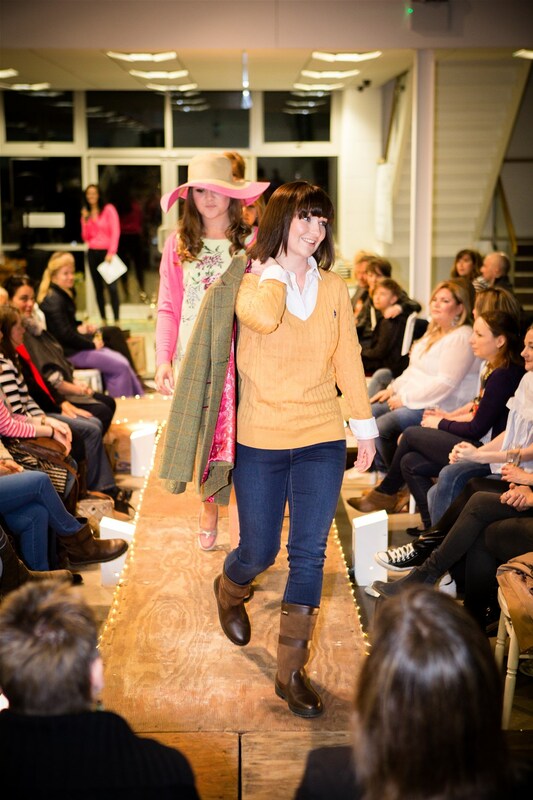 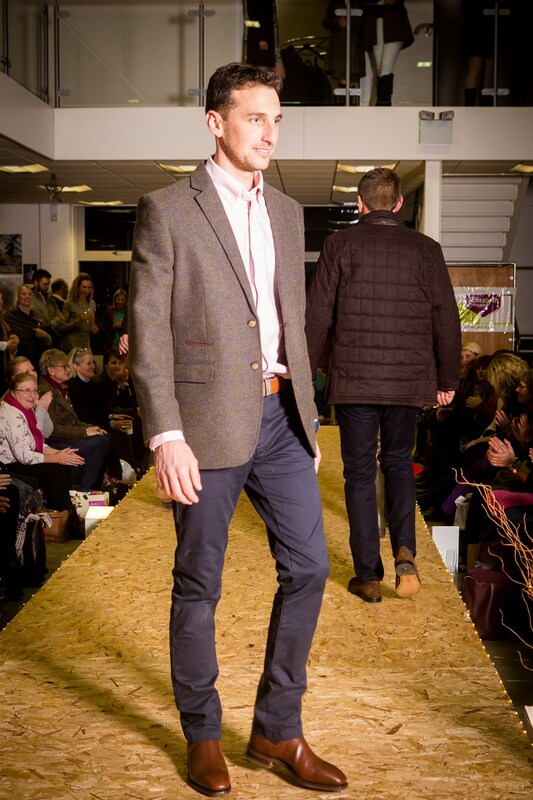 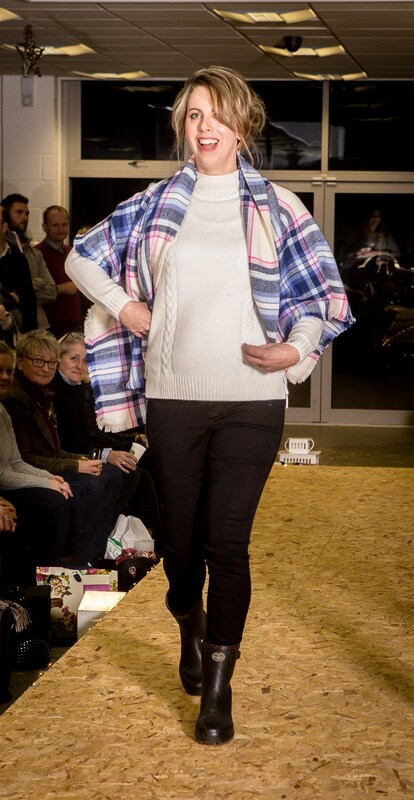 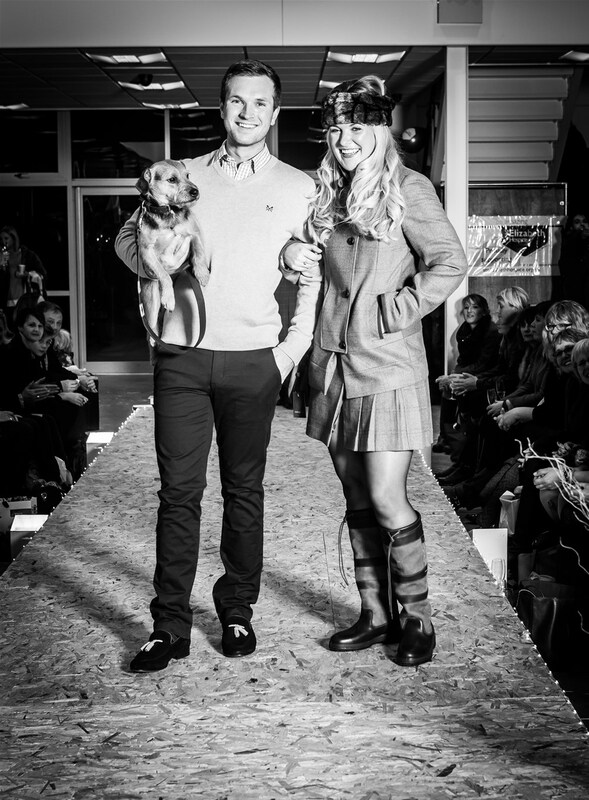 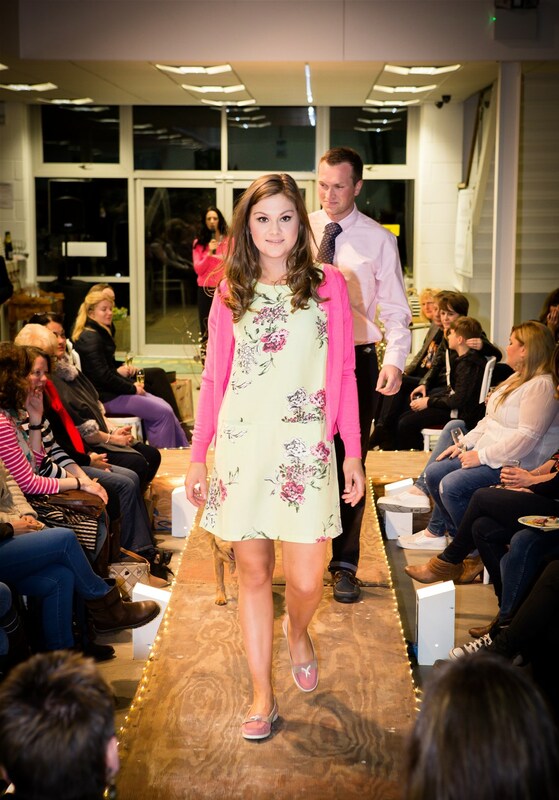 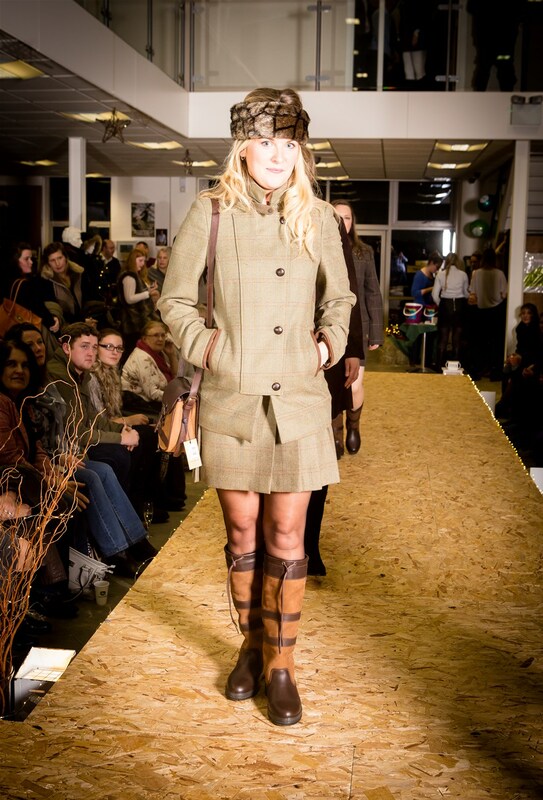 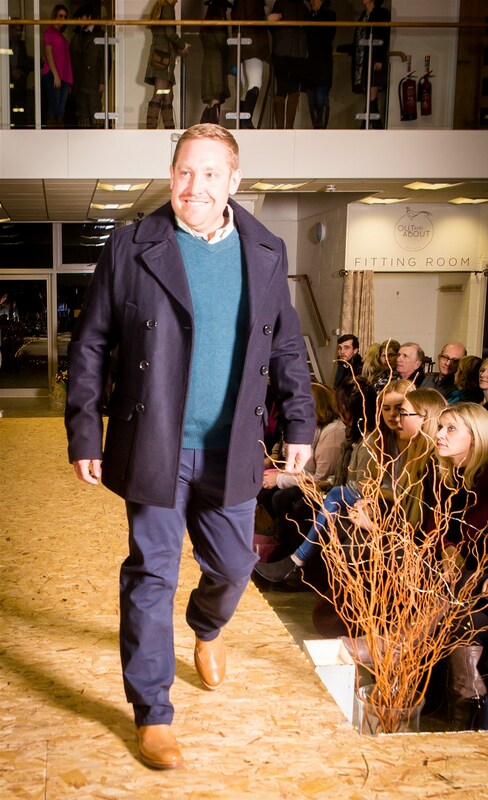 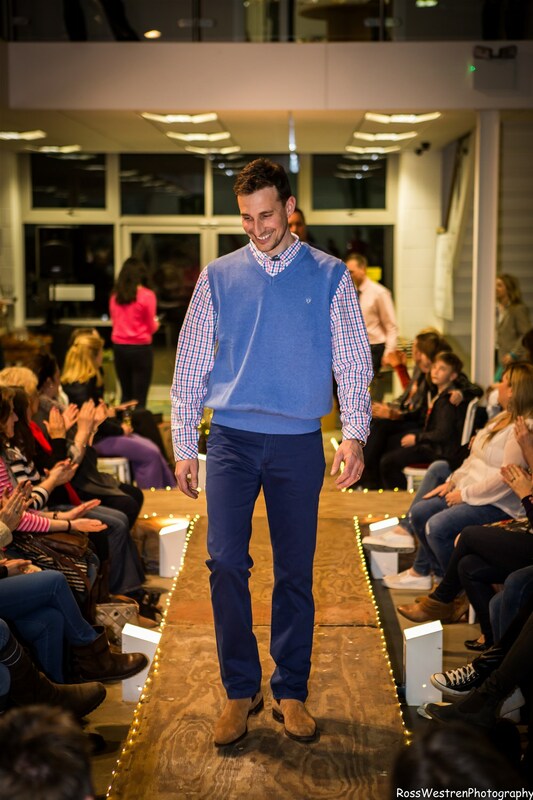 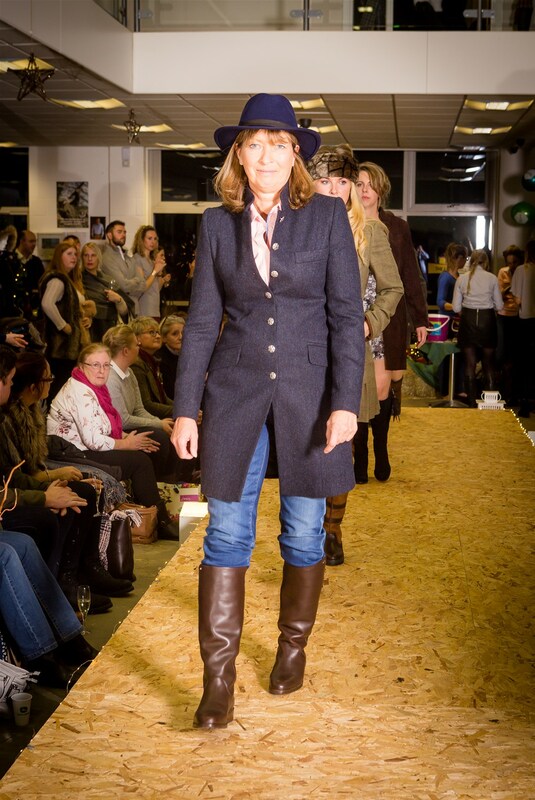 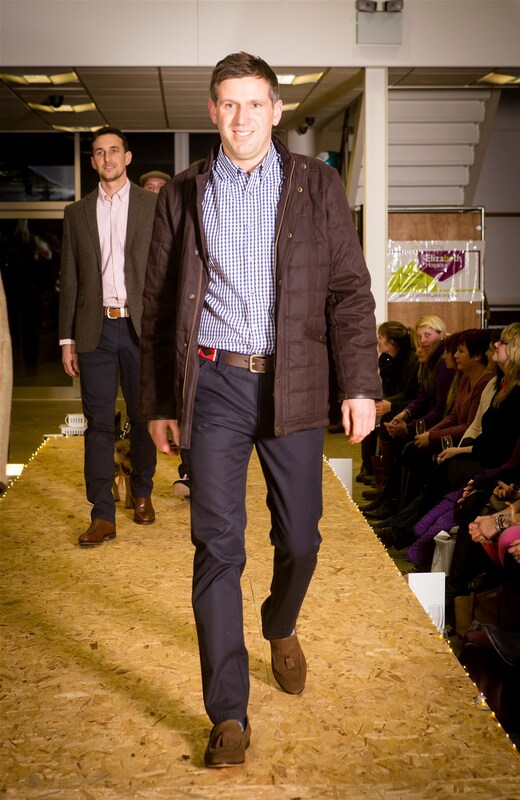 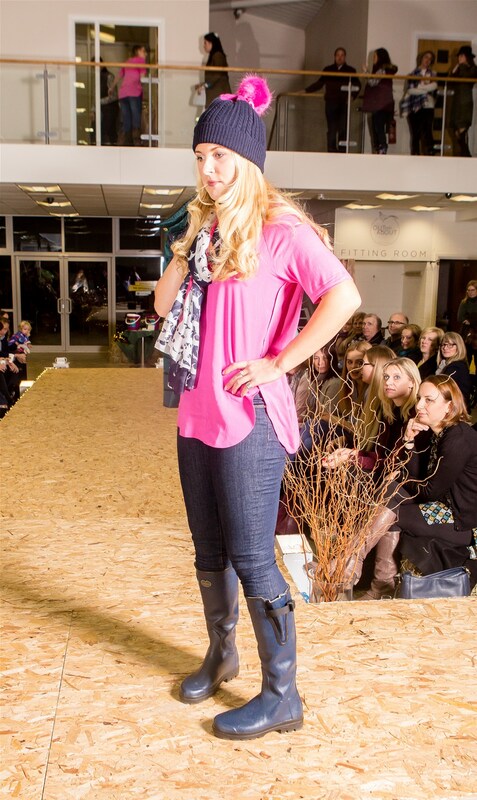 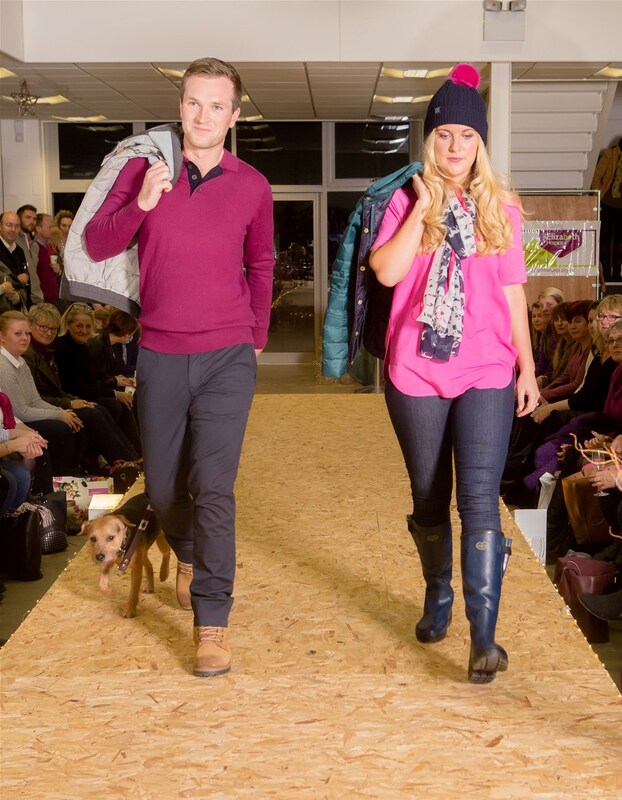 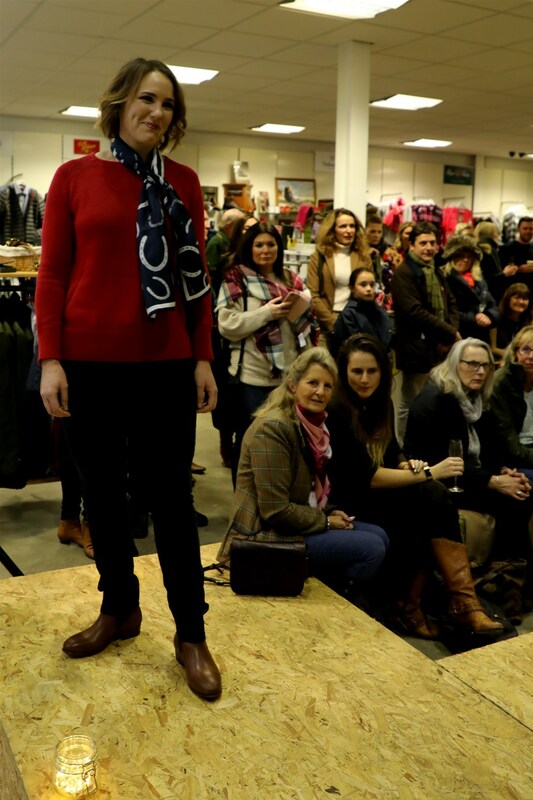 Here are the fabulous pictures captured by Ross Westren at our Christmas Fashion show in aid of St Elizabeth Hospice. 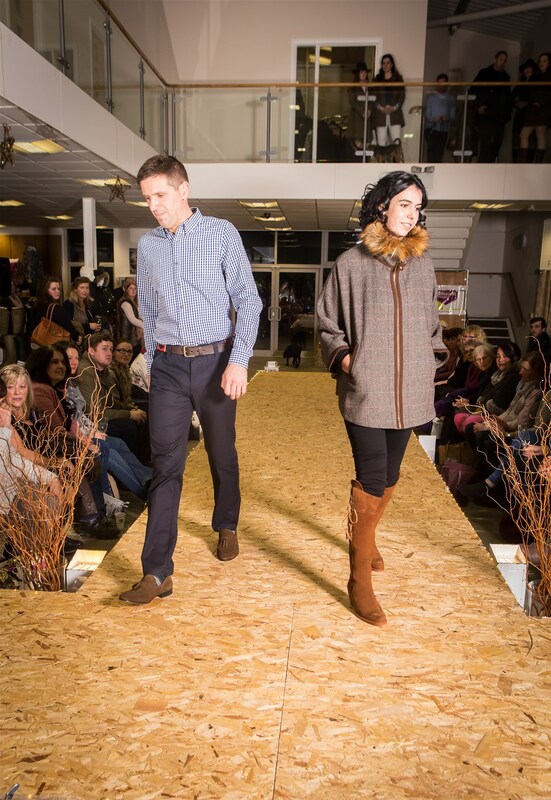 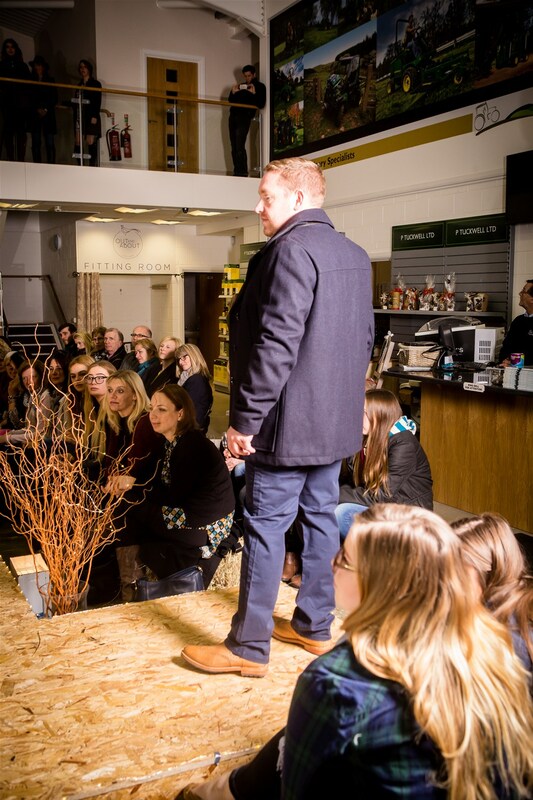 We showcased all of our brands and our Winter collection of clothing and footwear. 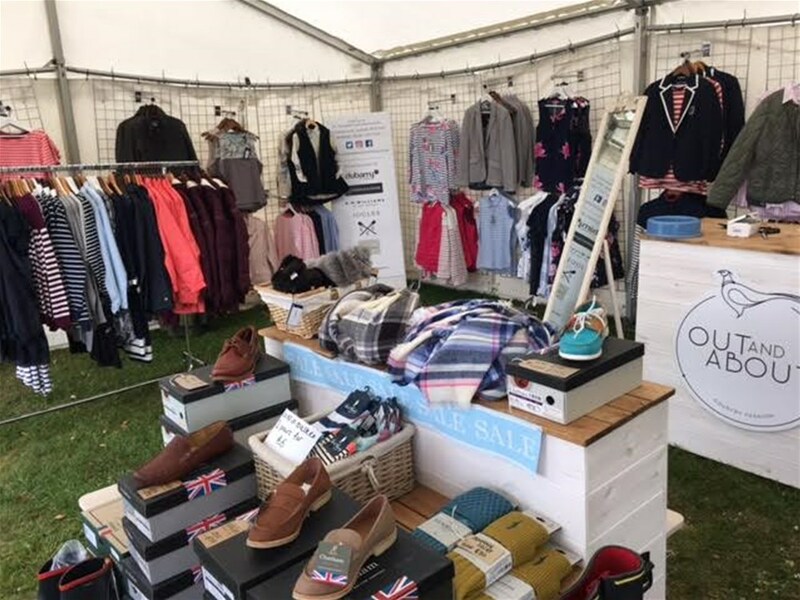 Some of the items in these pictures will be seasonal and may not be available now, but all of our footwear is available to order and some of the clothing lines. 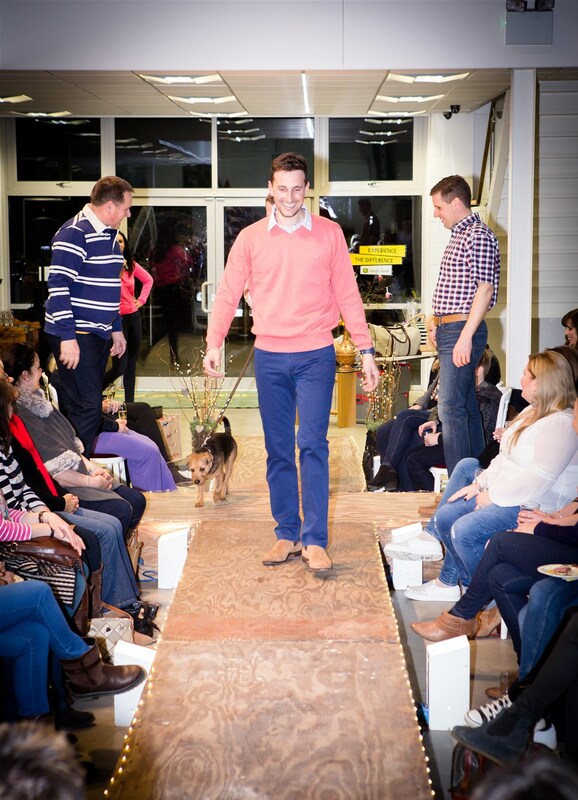 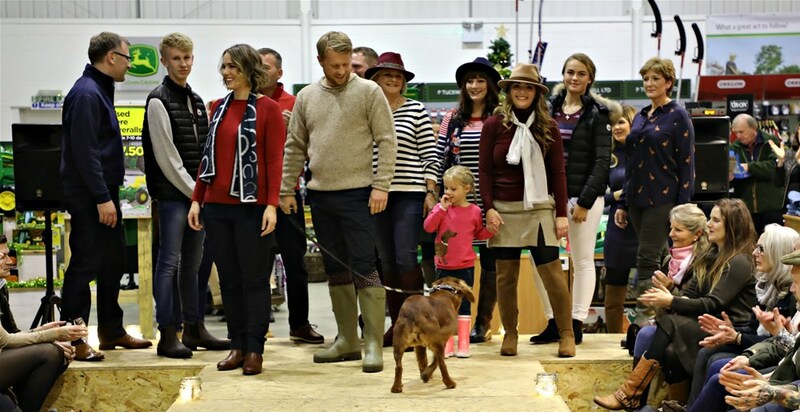 Livvy in the Joules pink t shirt, and Tim wearing the Crew boysenberry jumper, and Woody with his polo collar! 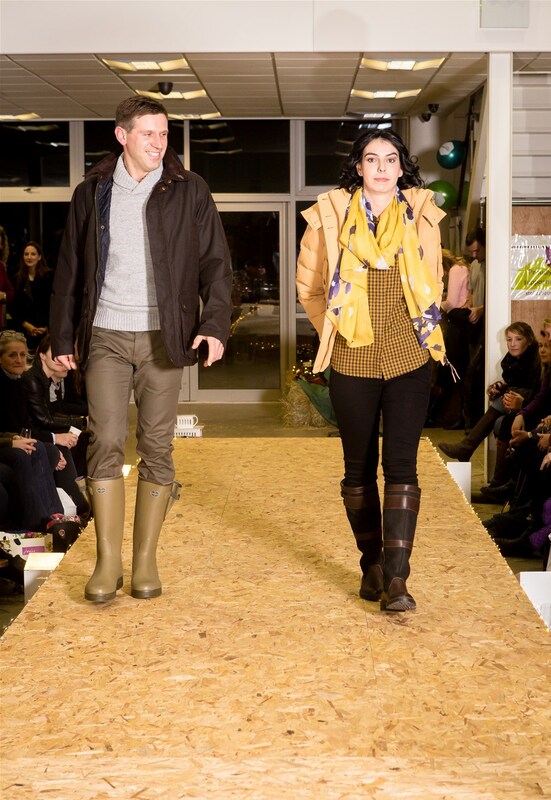 Steve in the Dubarry beckett coat, and Erica in the Aigle mustard puffa! 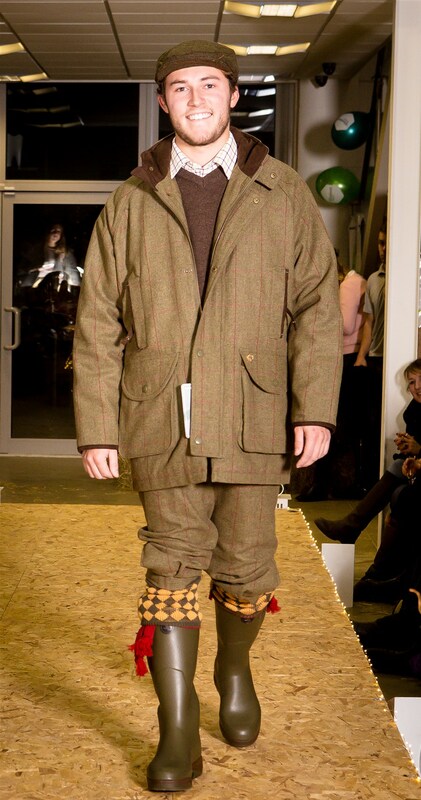 James all ready to go shooting! 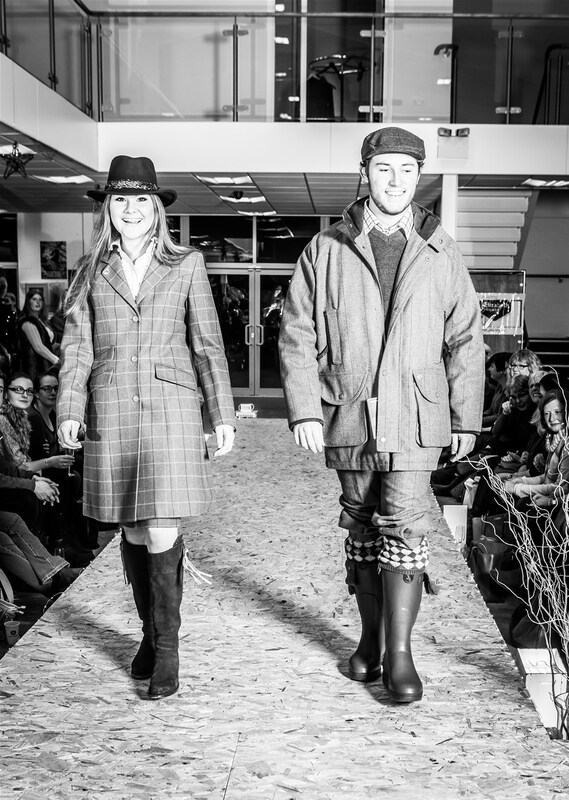 Black and white version of our tweed! 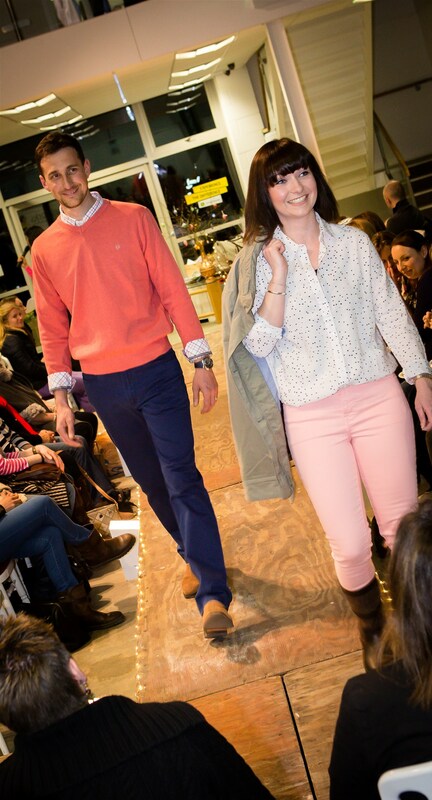 Ben & Amanda ready for an evening out! 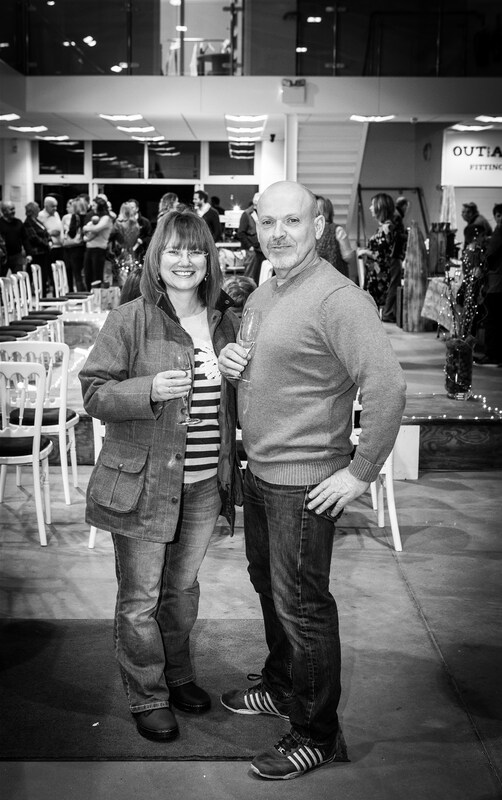 Steve & Erica ready for a night out! 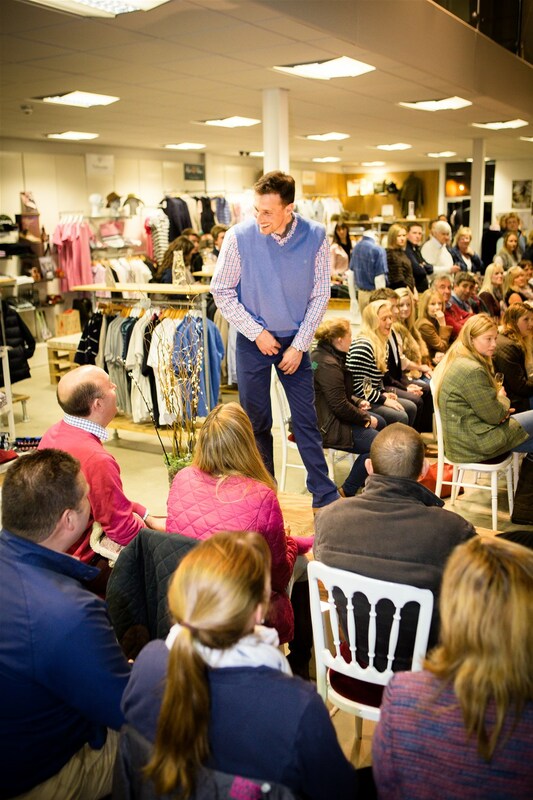 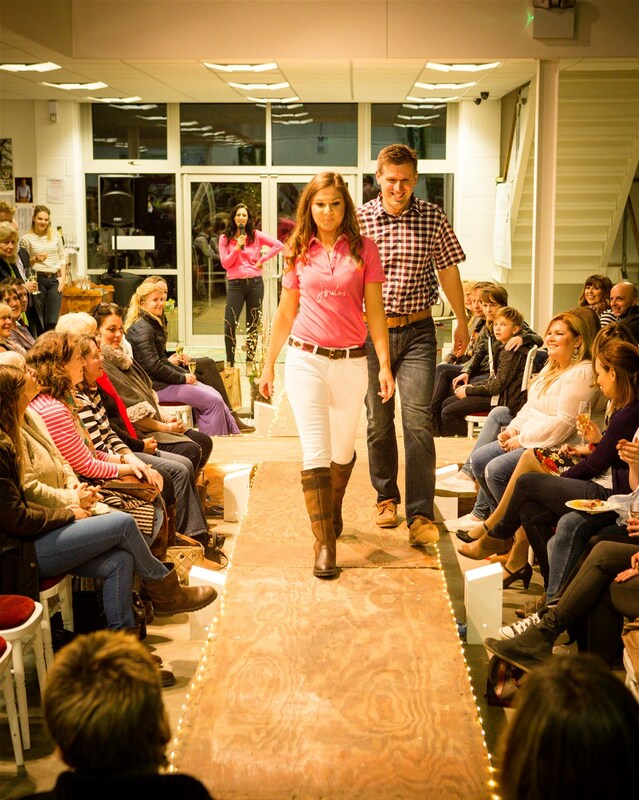 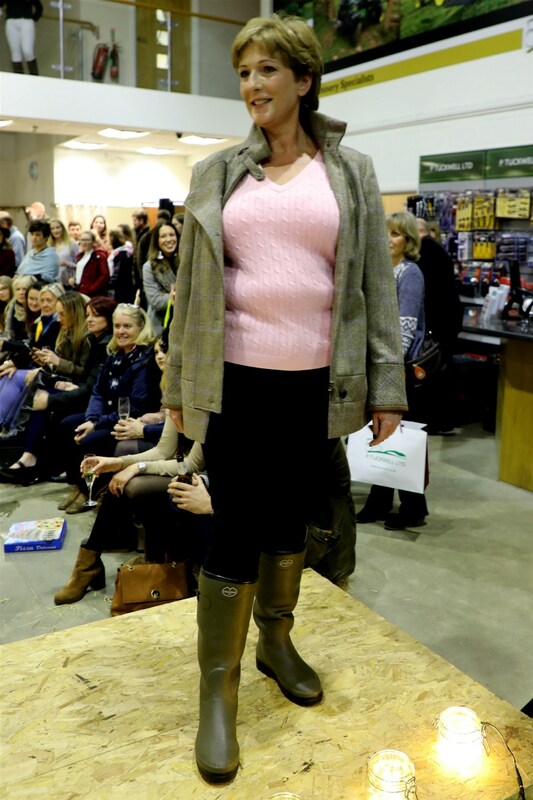 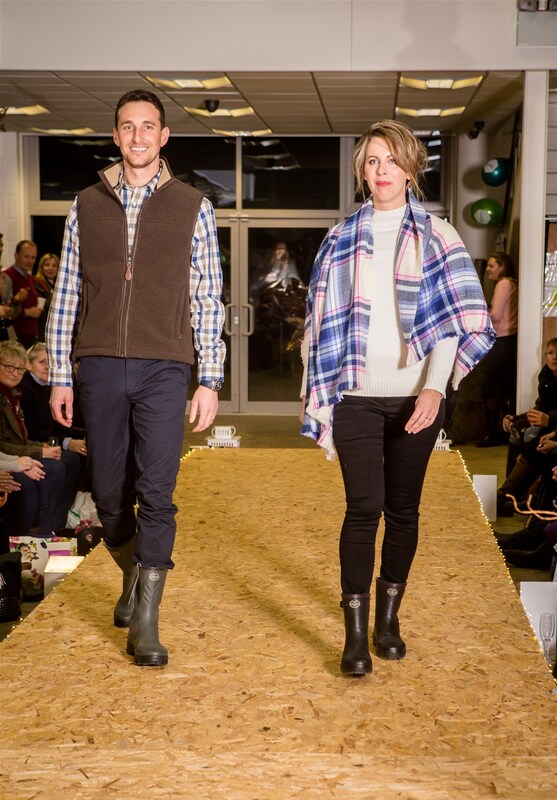 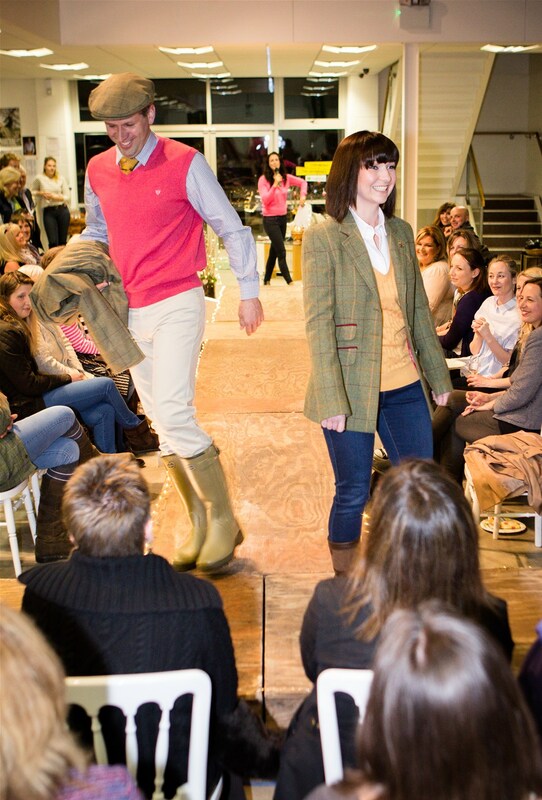 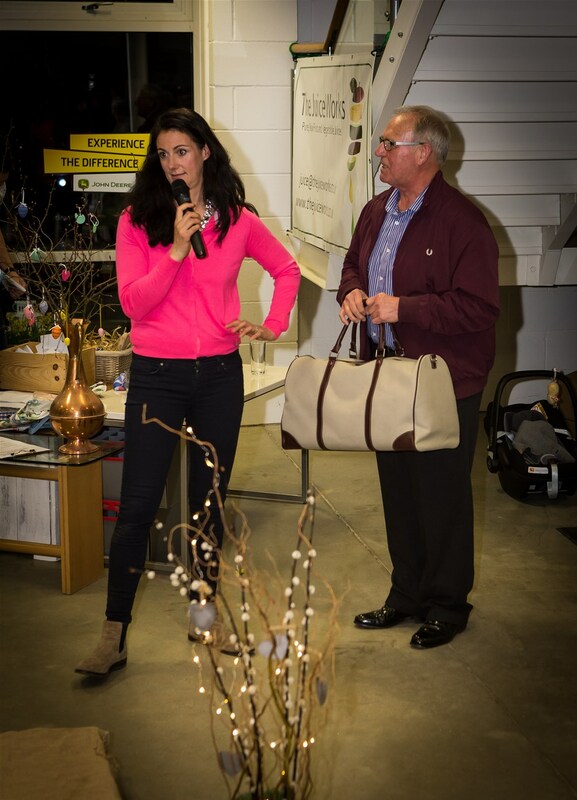 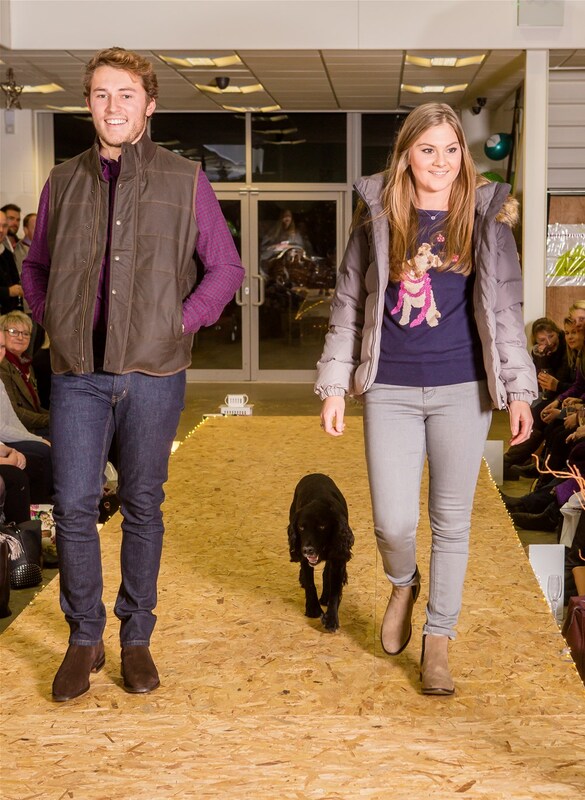 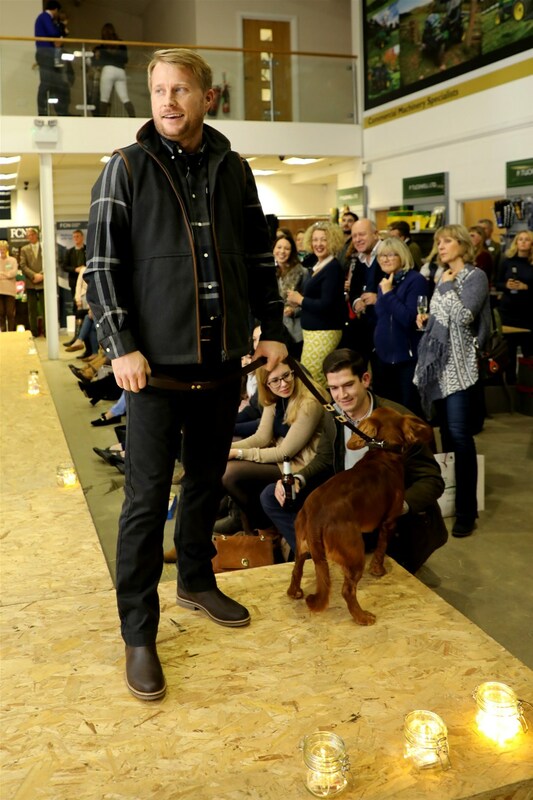 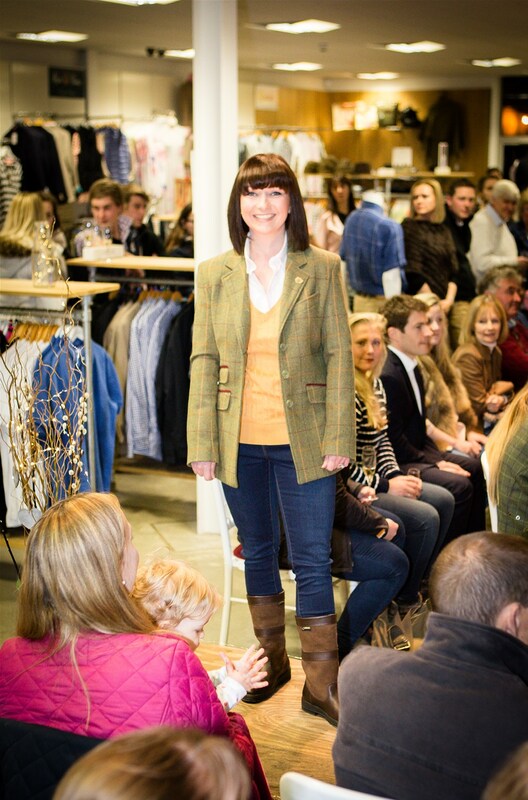 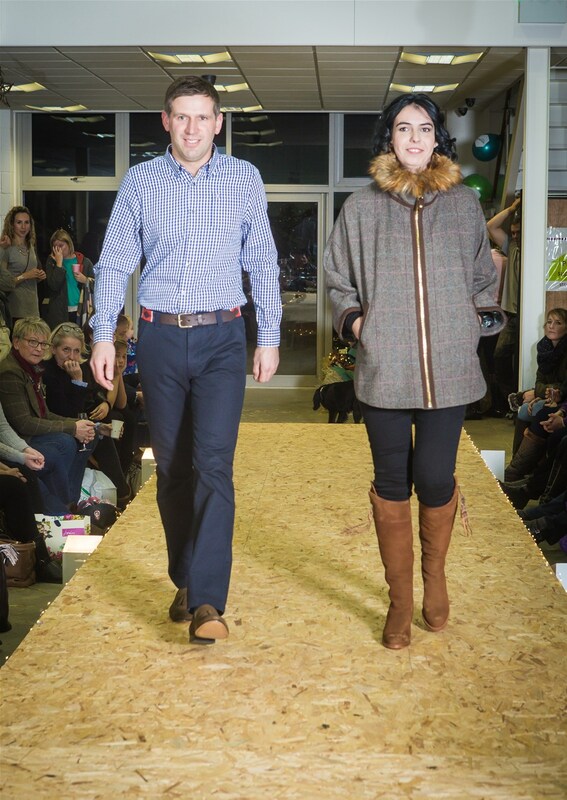 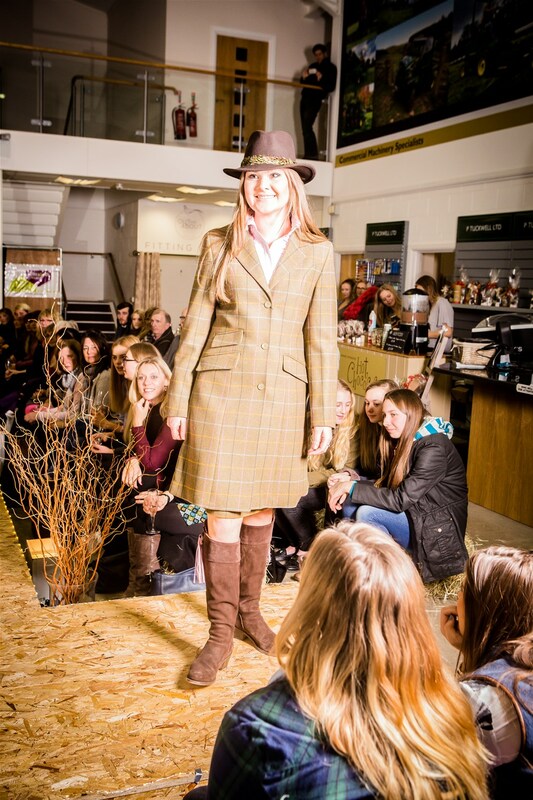 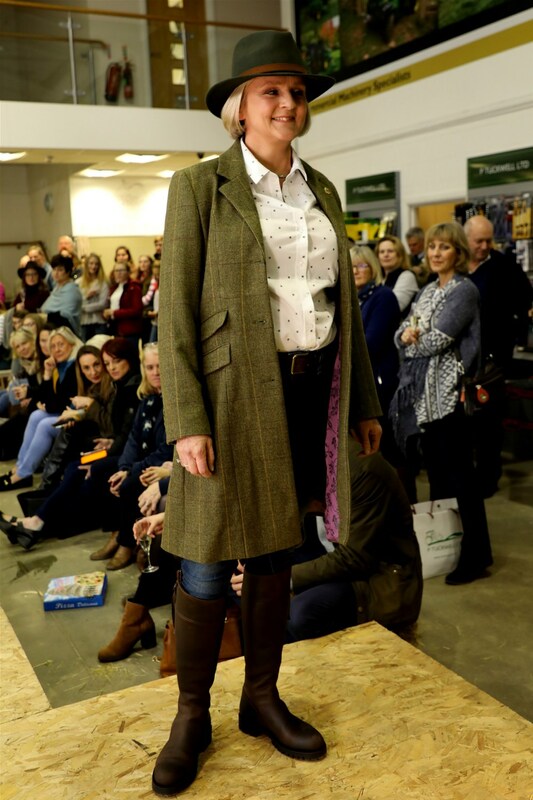 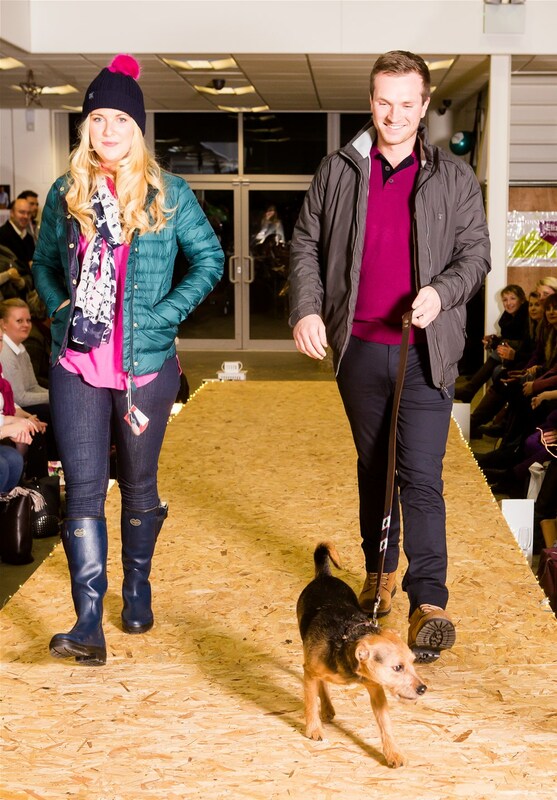 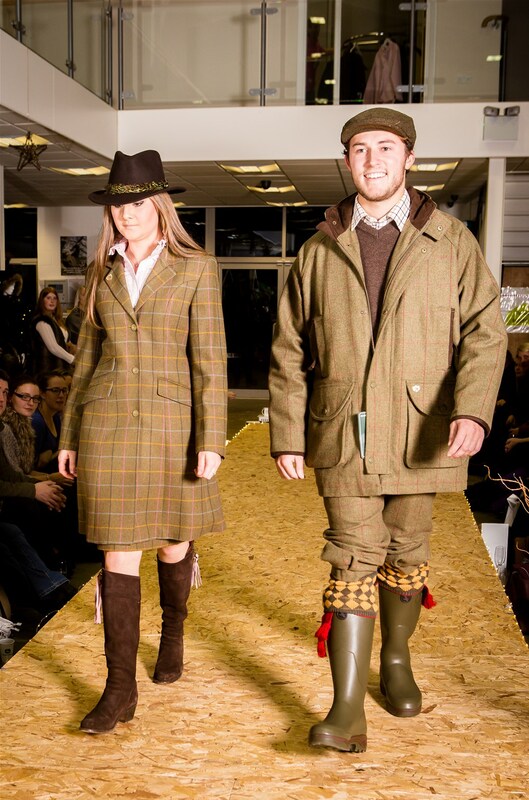 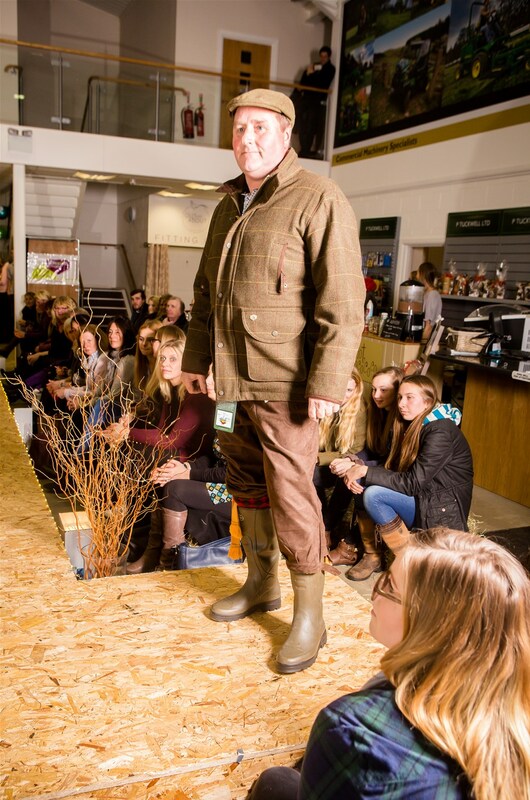 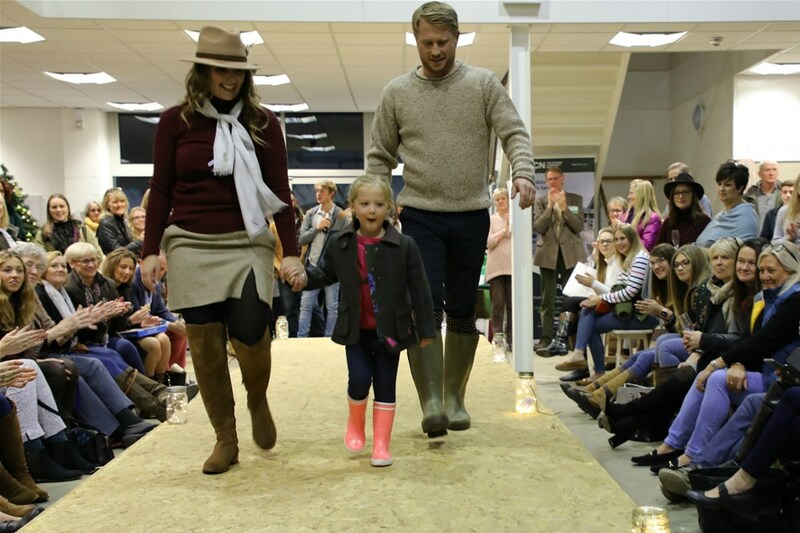 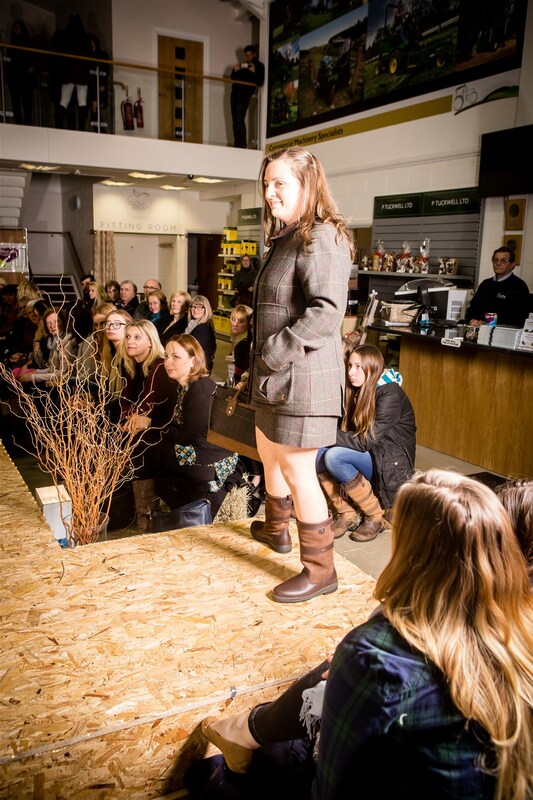 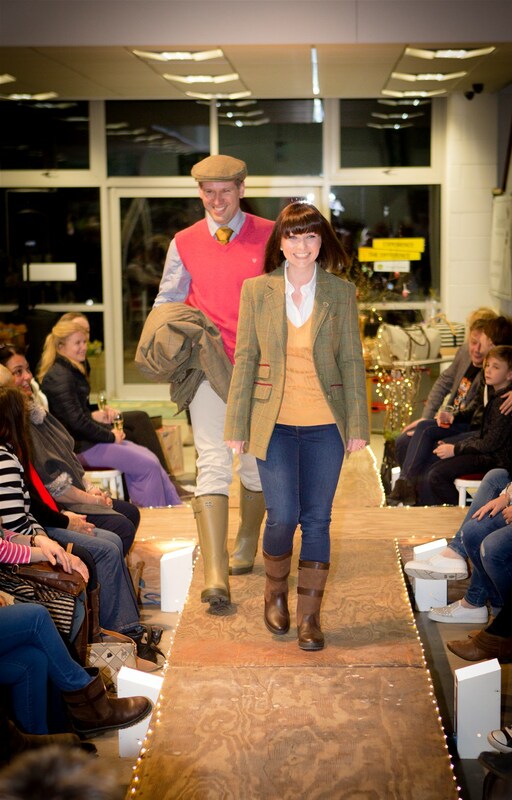 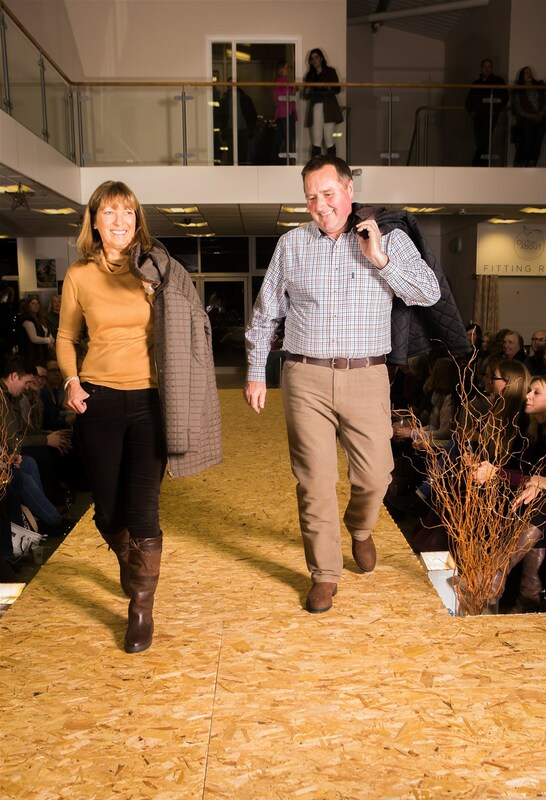 Steve is wearing the Dubarry shirt, Erica is wearing the Joules contessa cape - a sellout on the night! 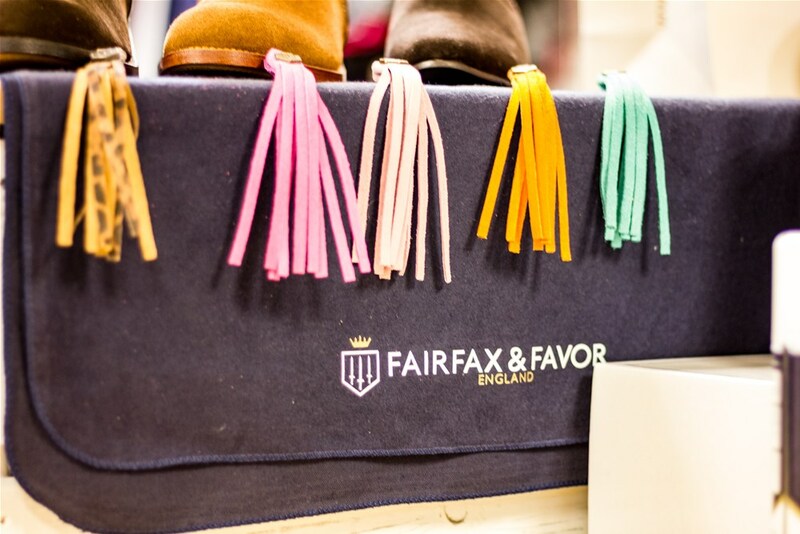 Both wearing Fairfax & Favor footwear. 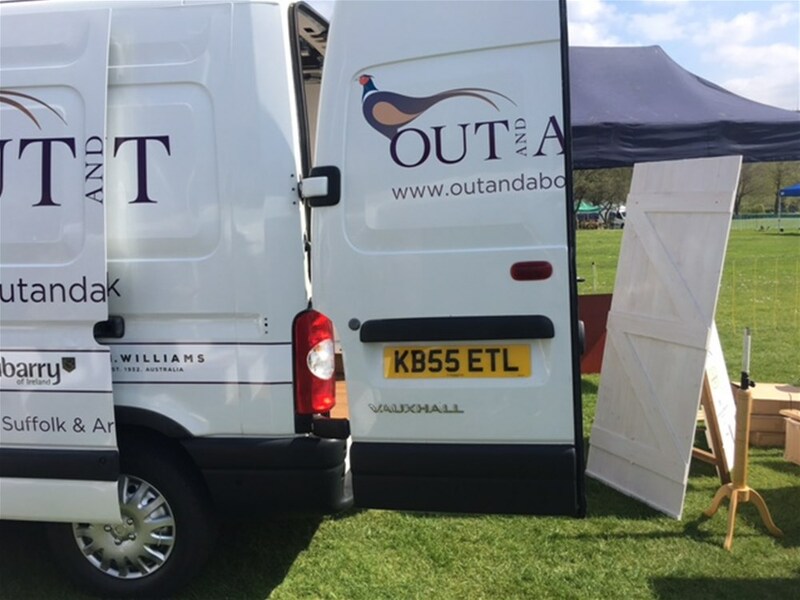 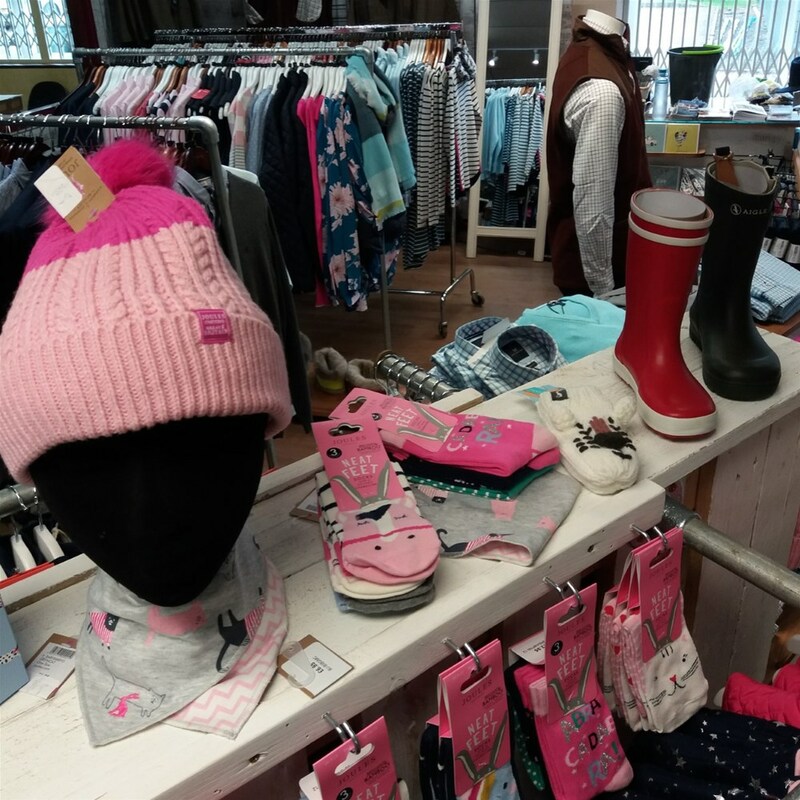 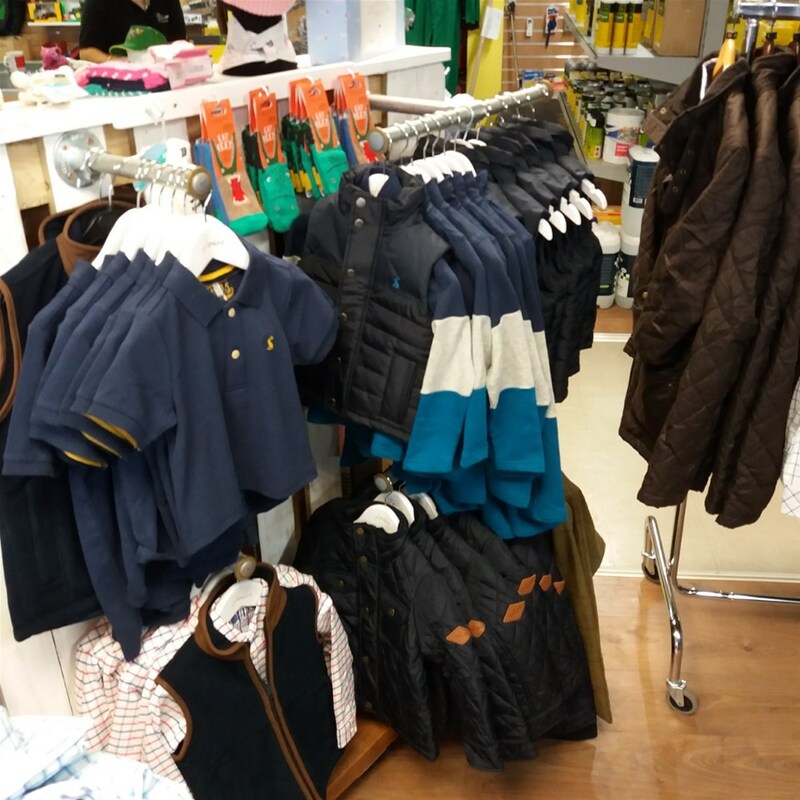 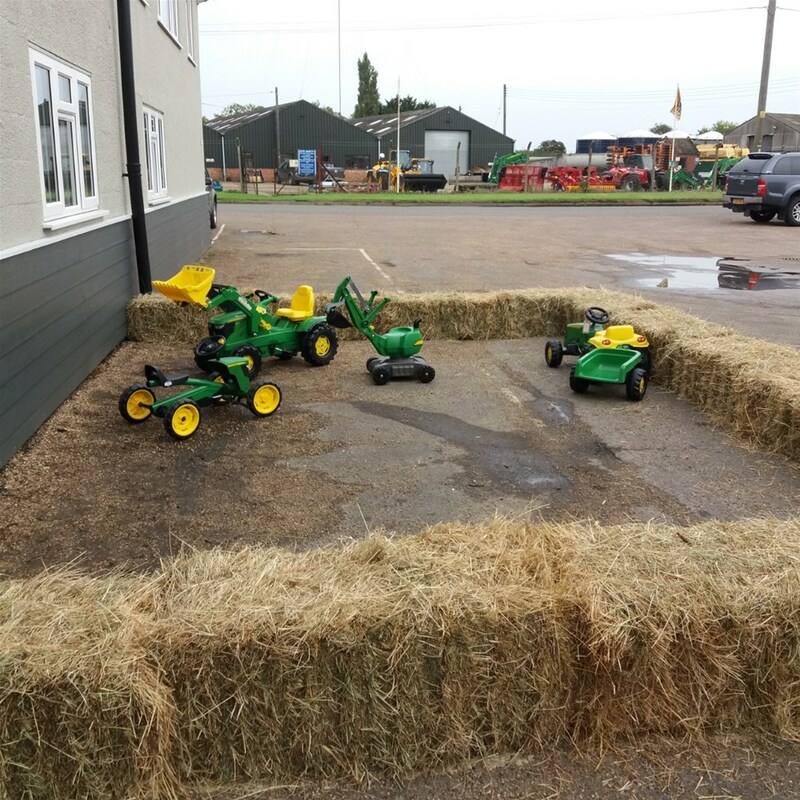 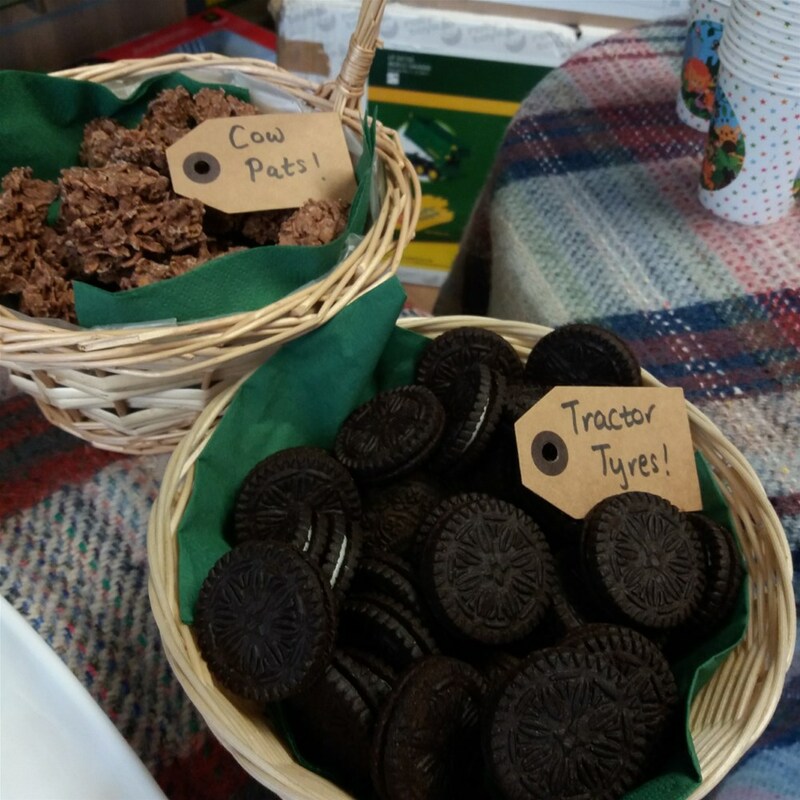 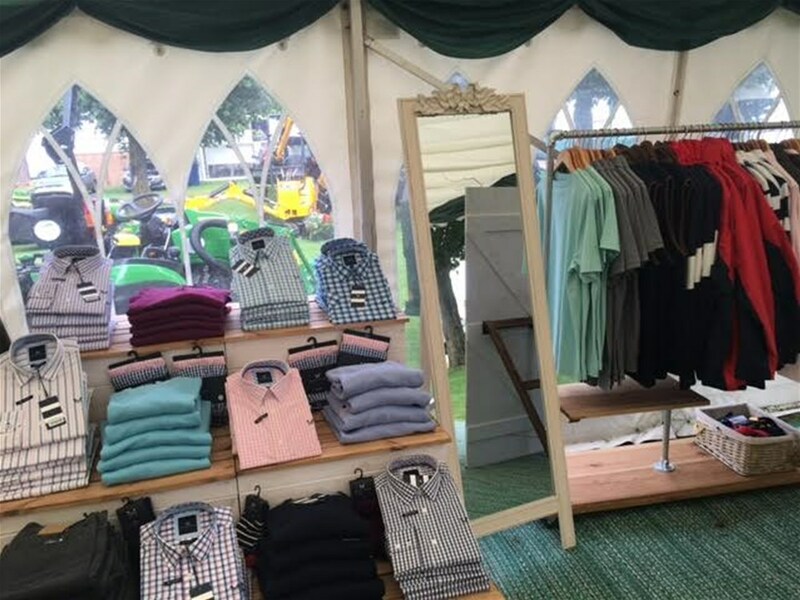 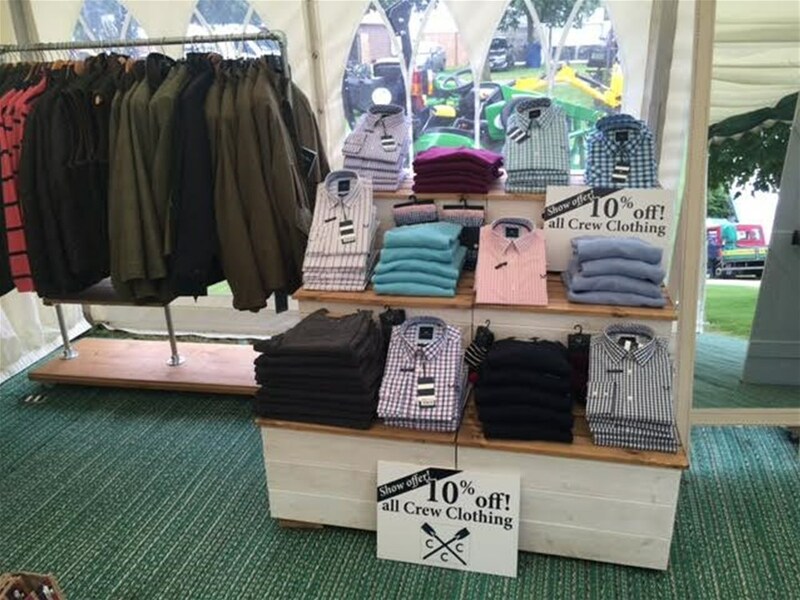 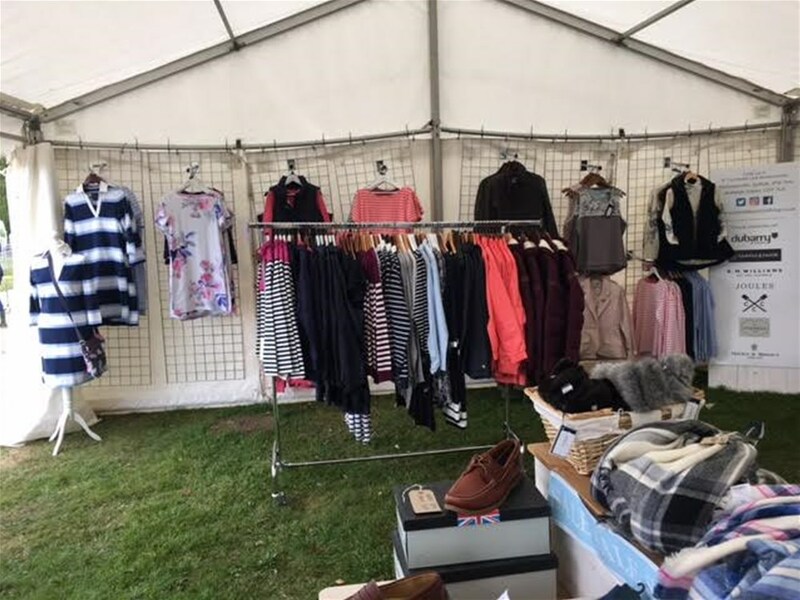 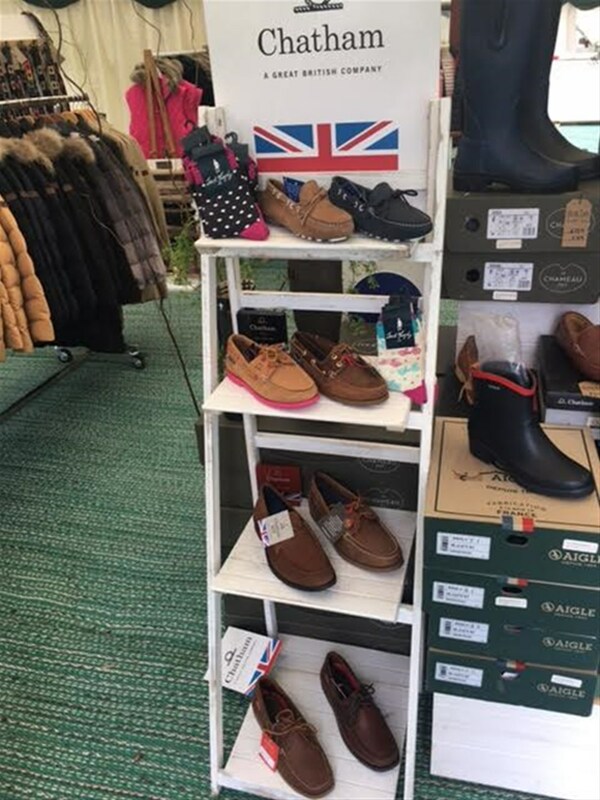 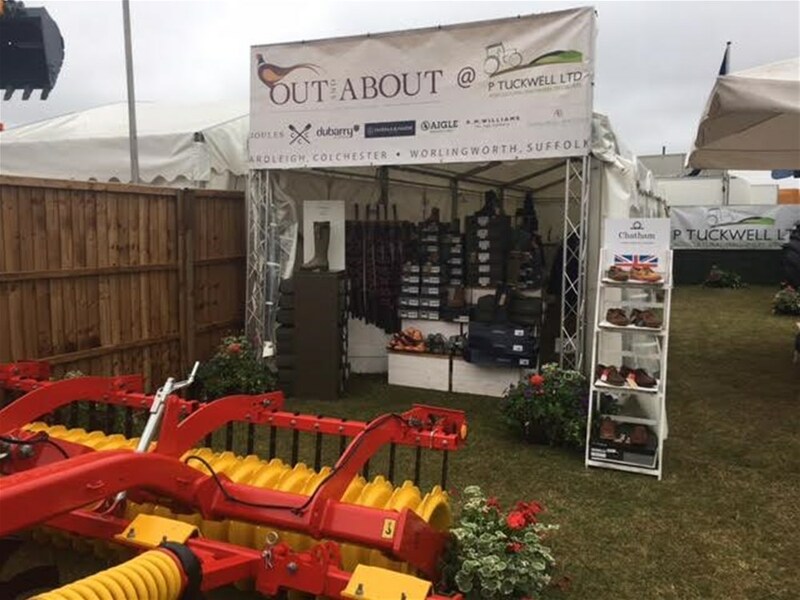 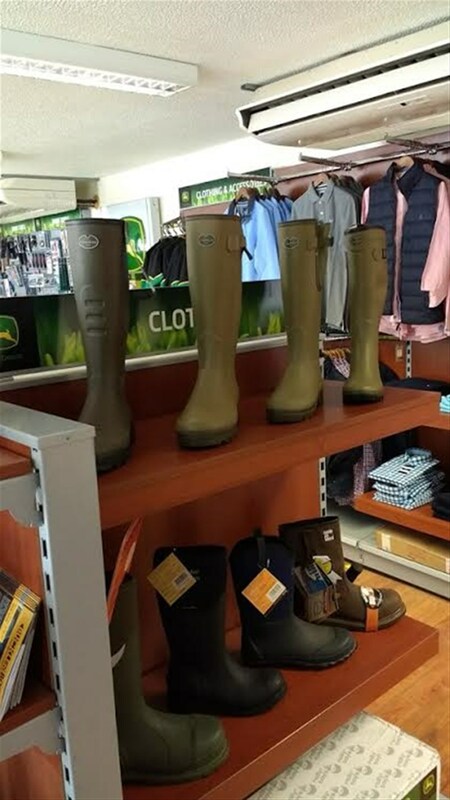 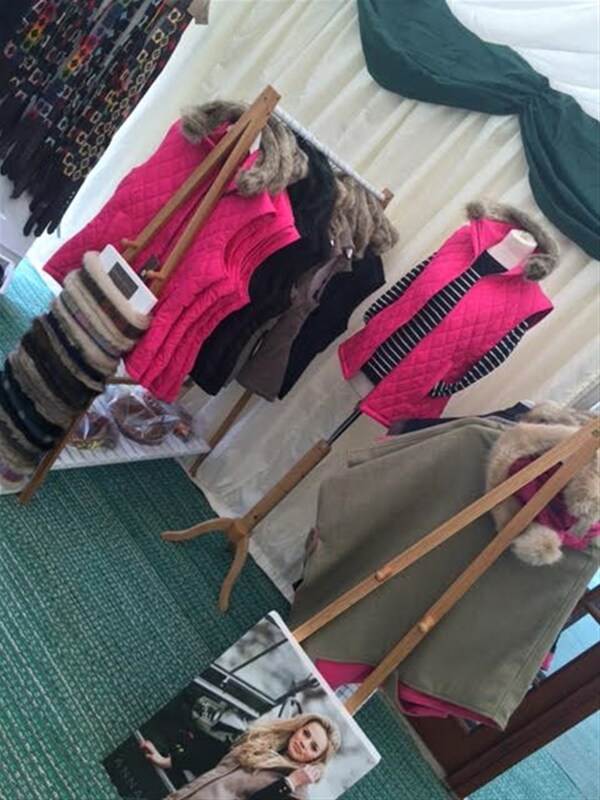 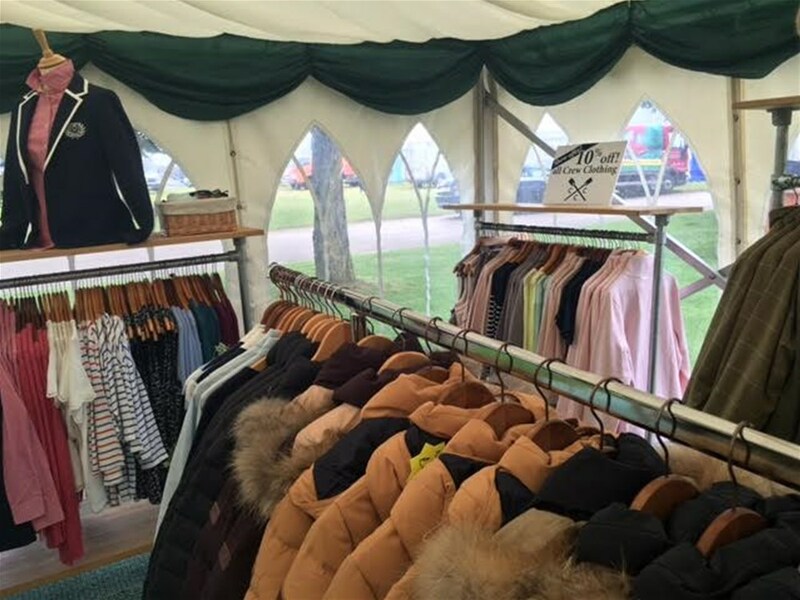 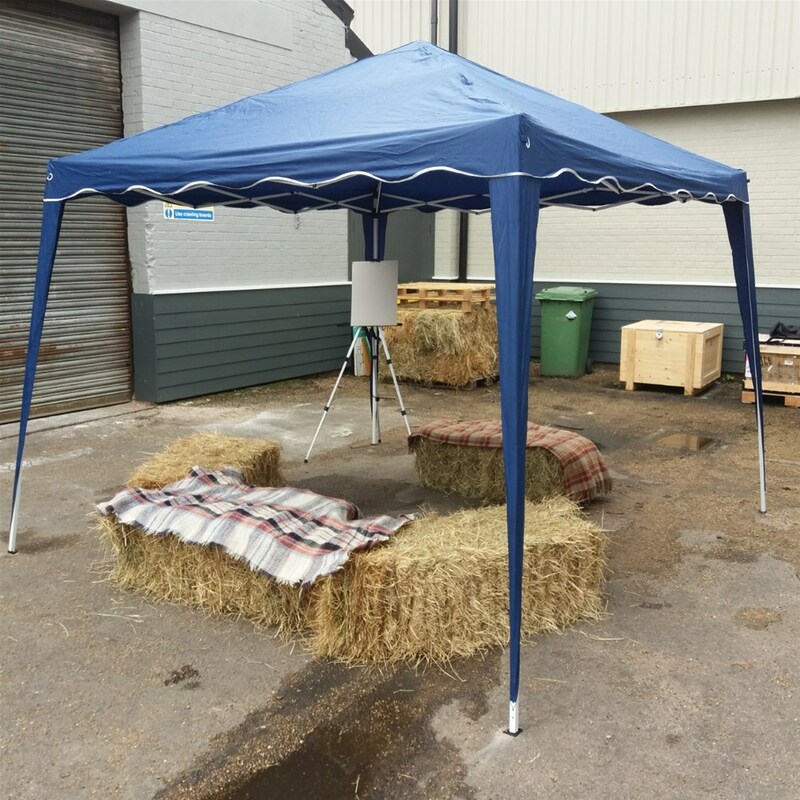 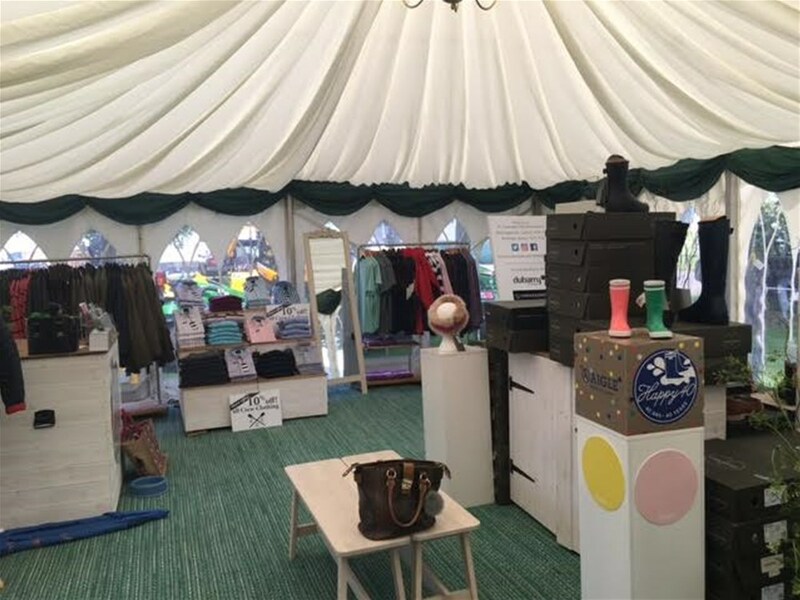 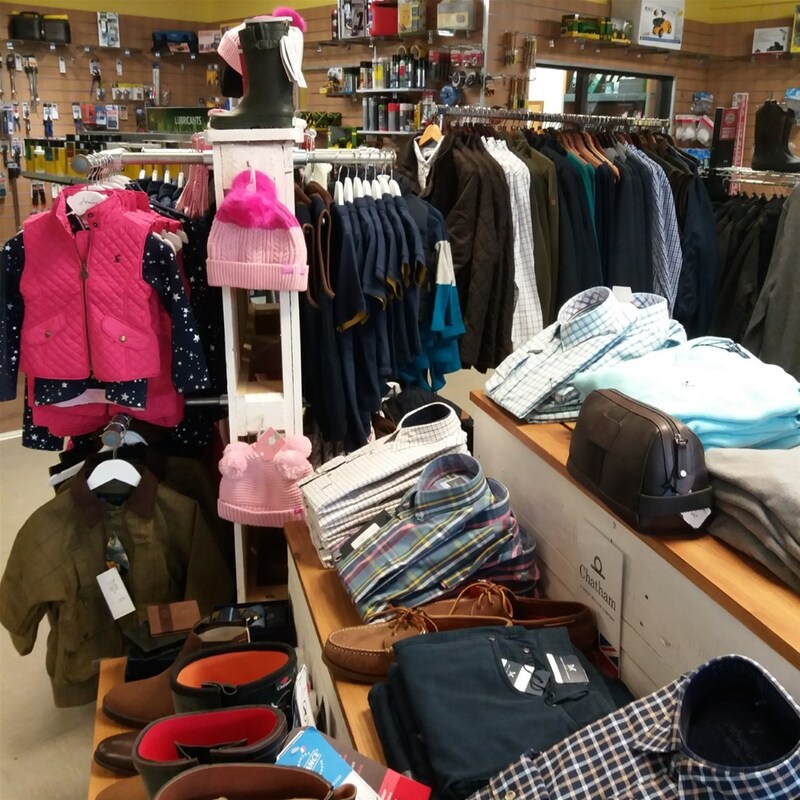 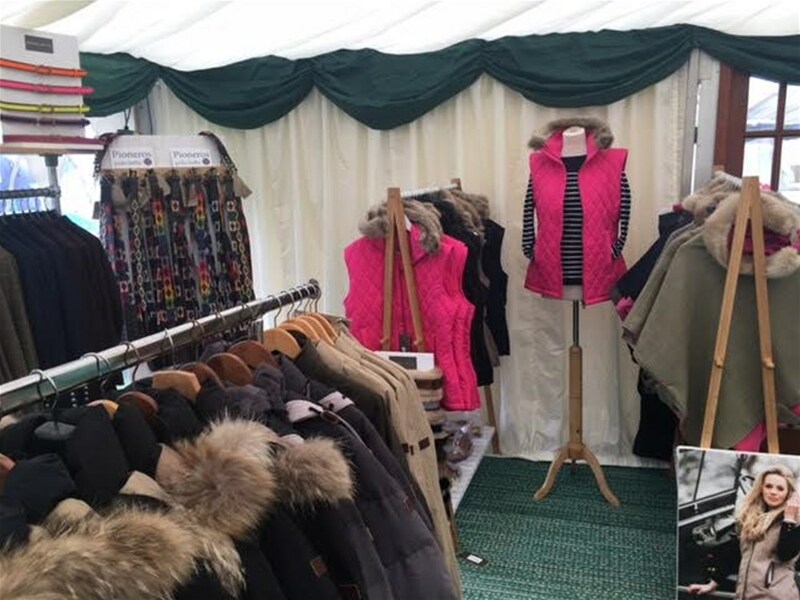 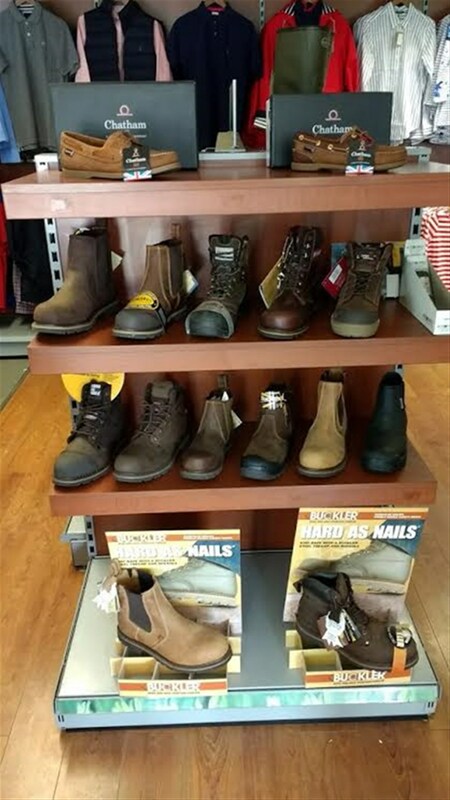 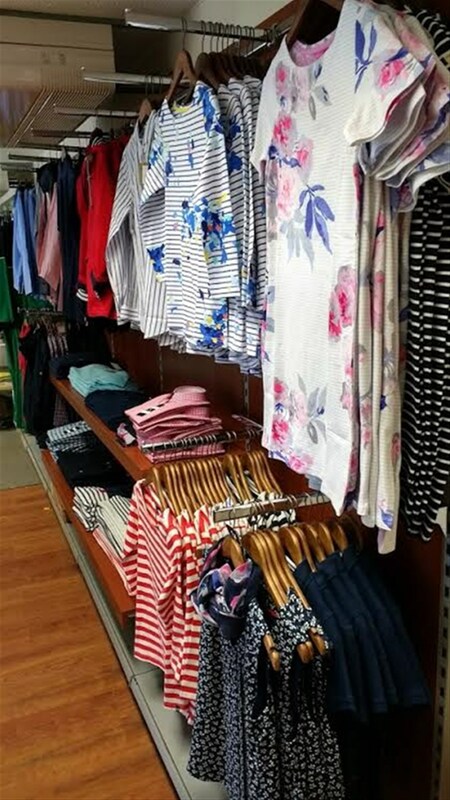 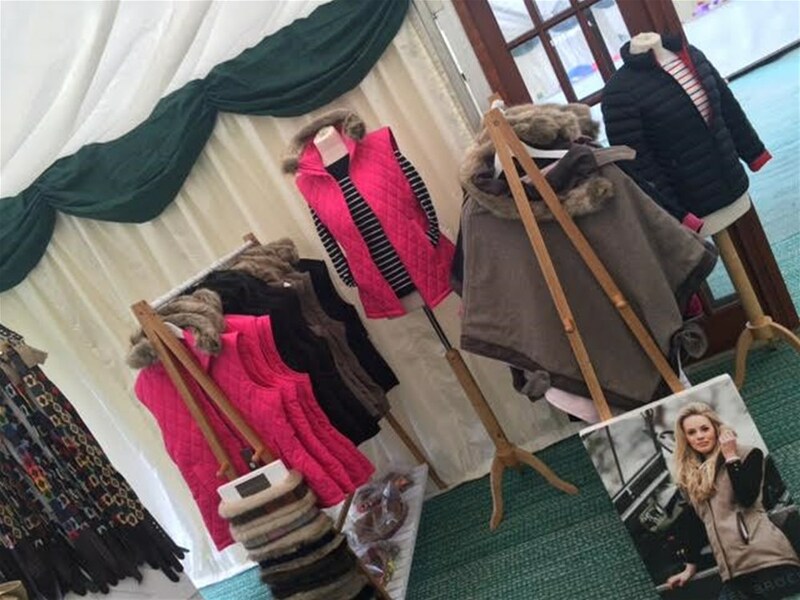 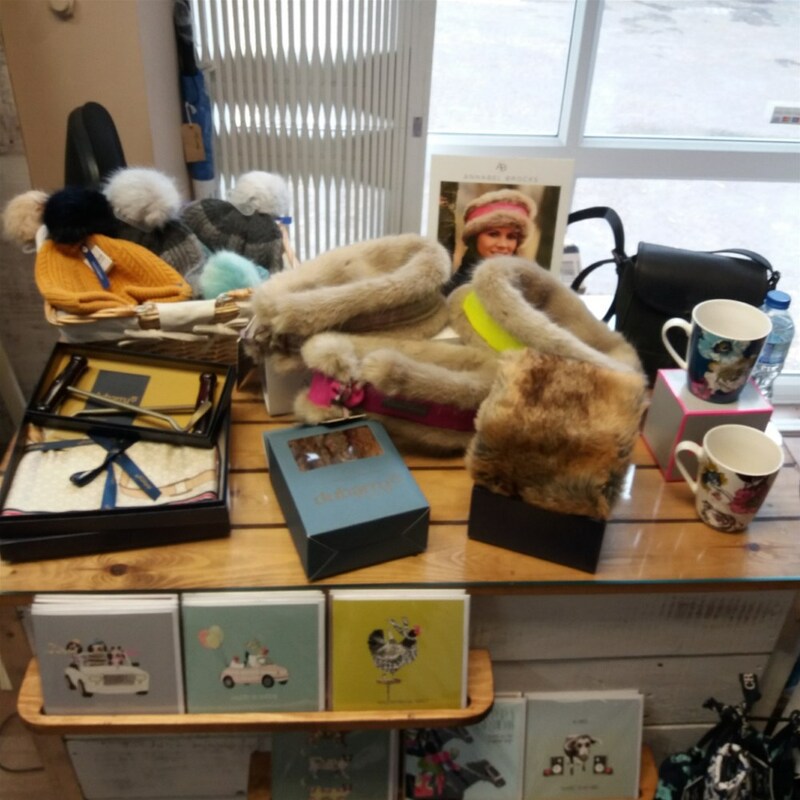 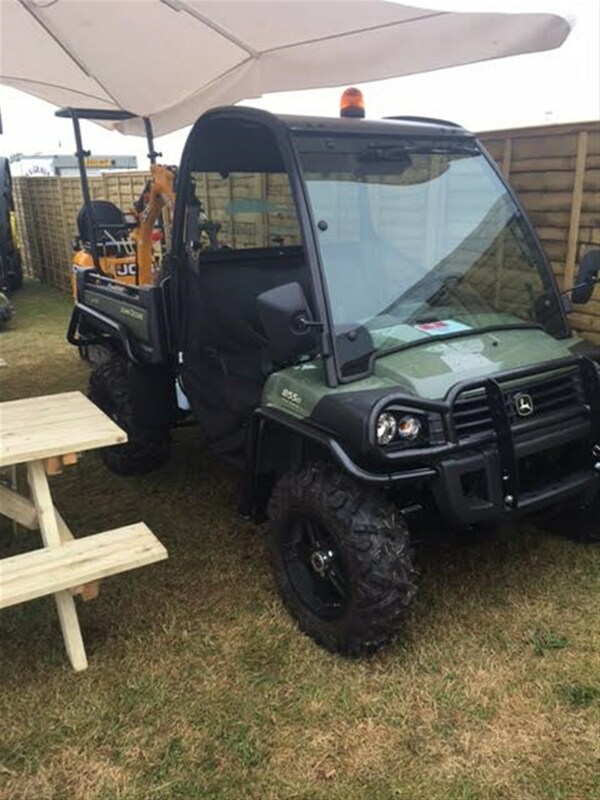 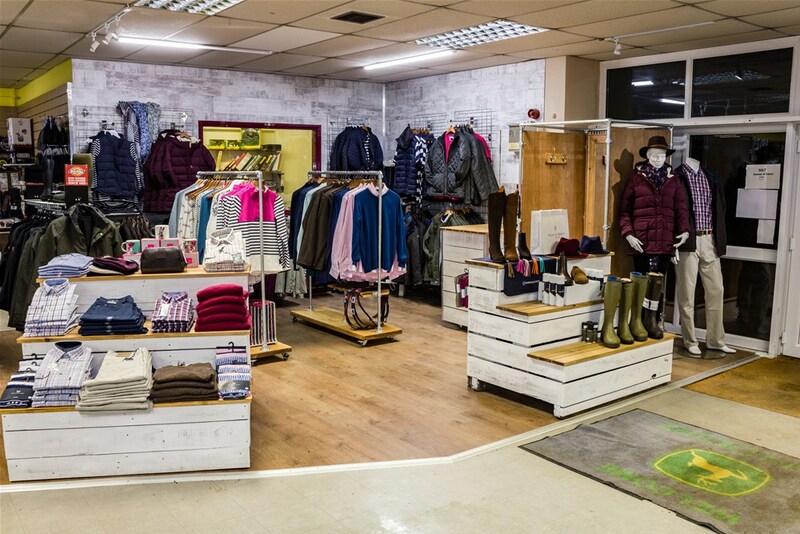 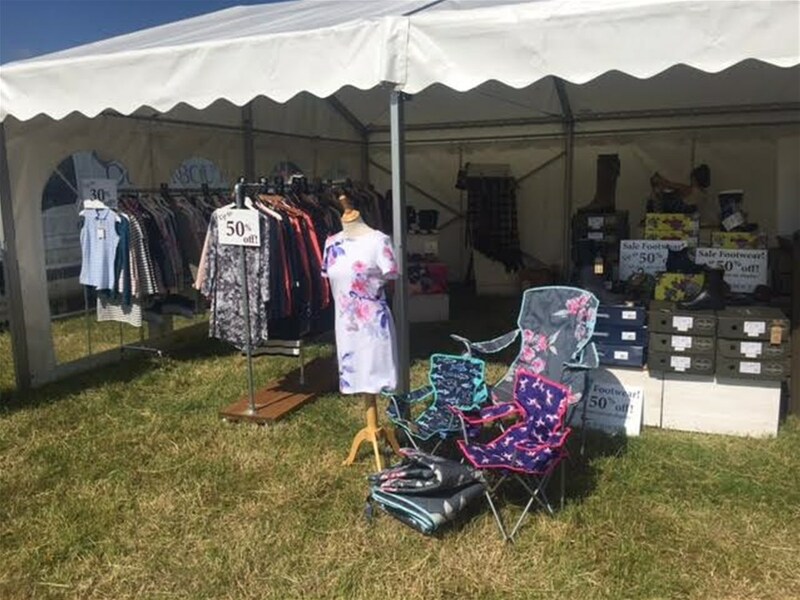 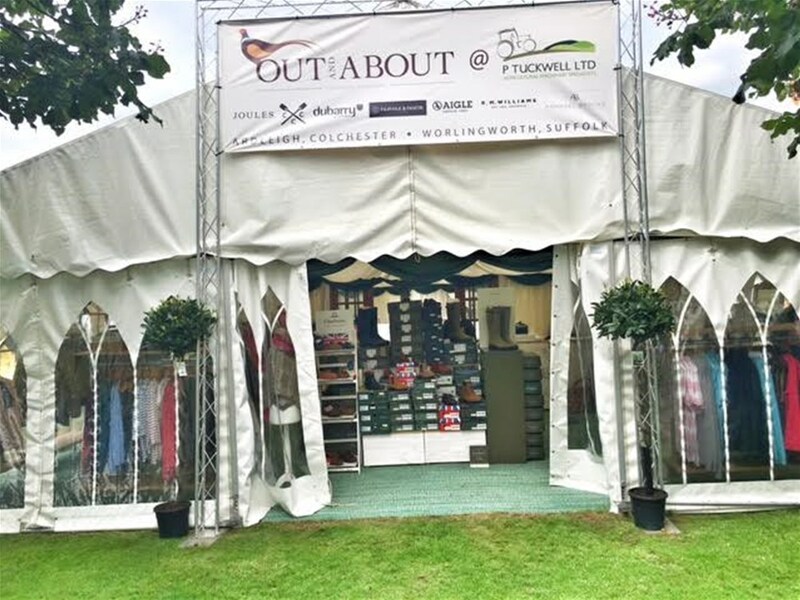 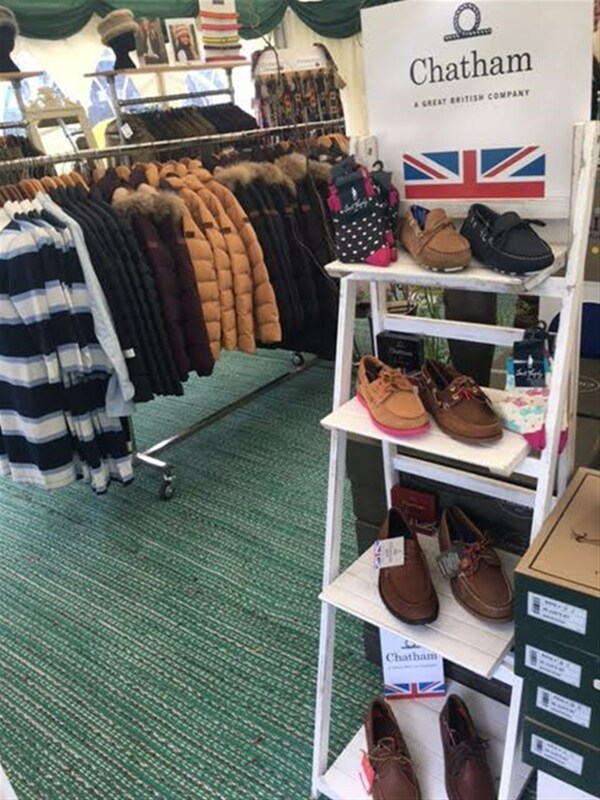 Our Maulden depot in Beds now has a small selection of Out and About country clothing! 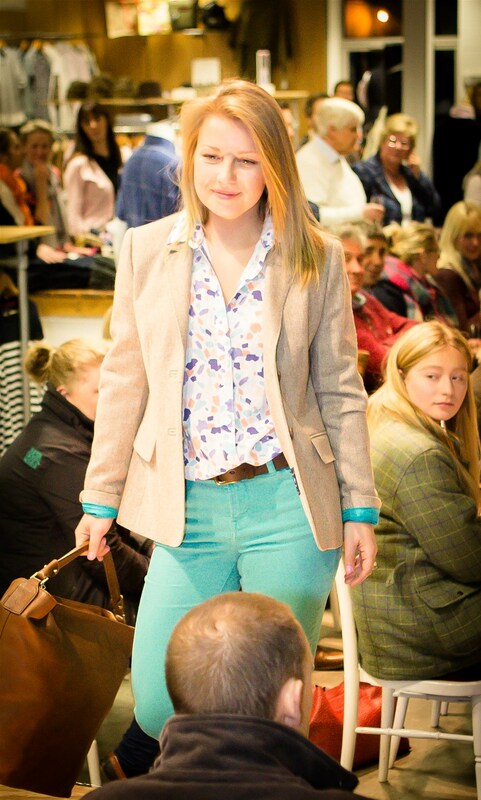 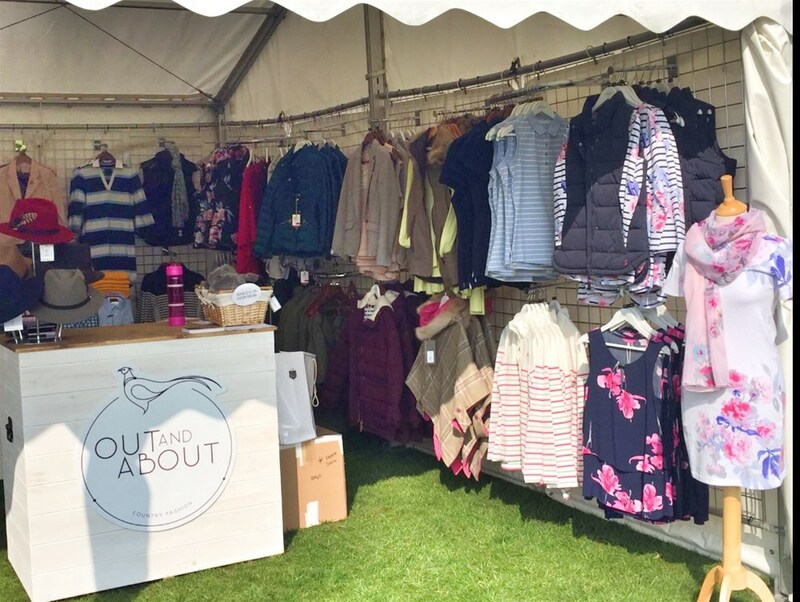 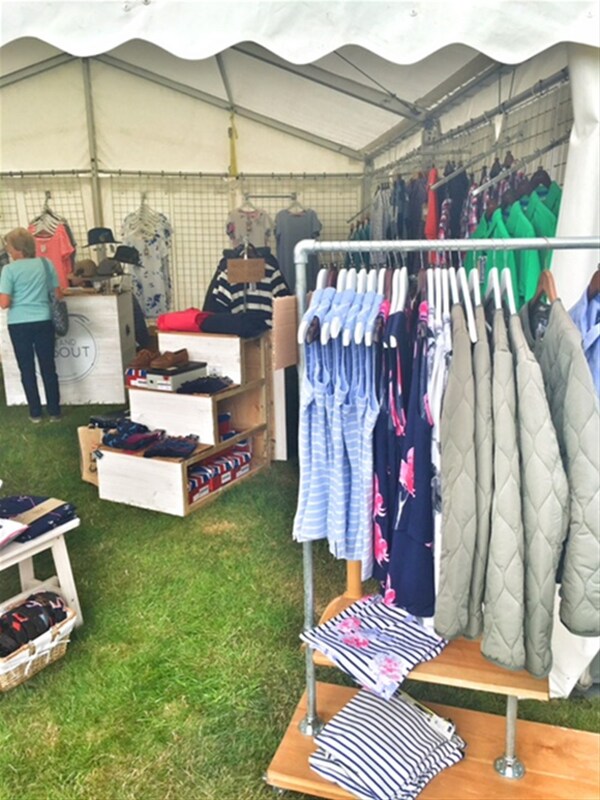 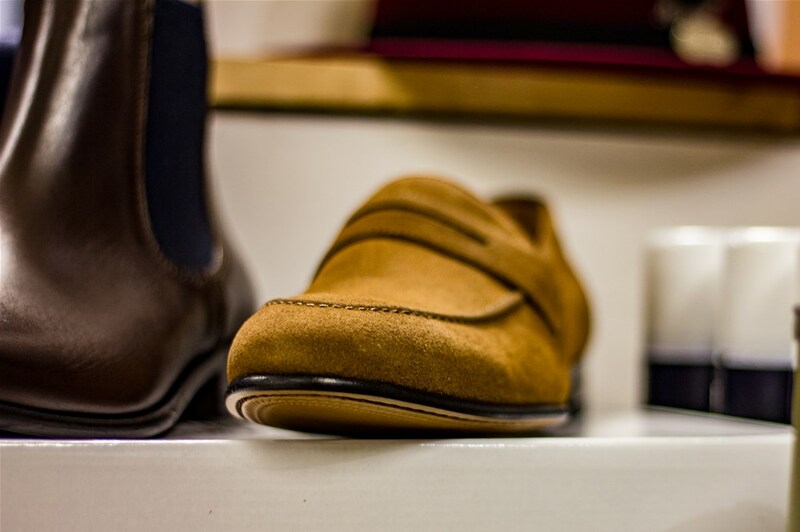 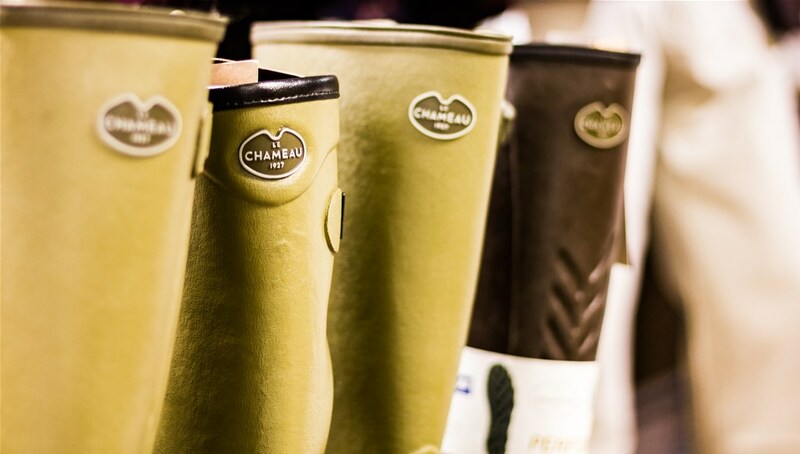 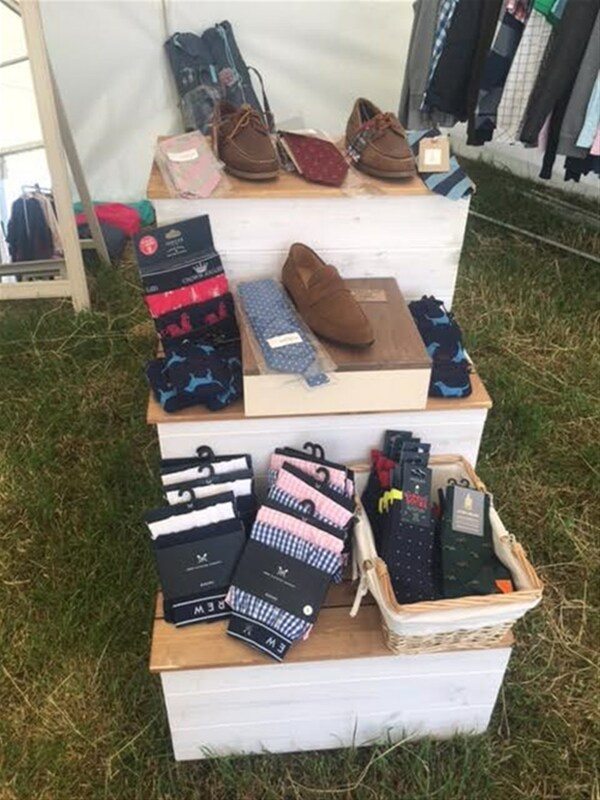 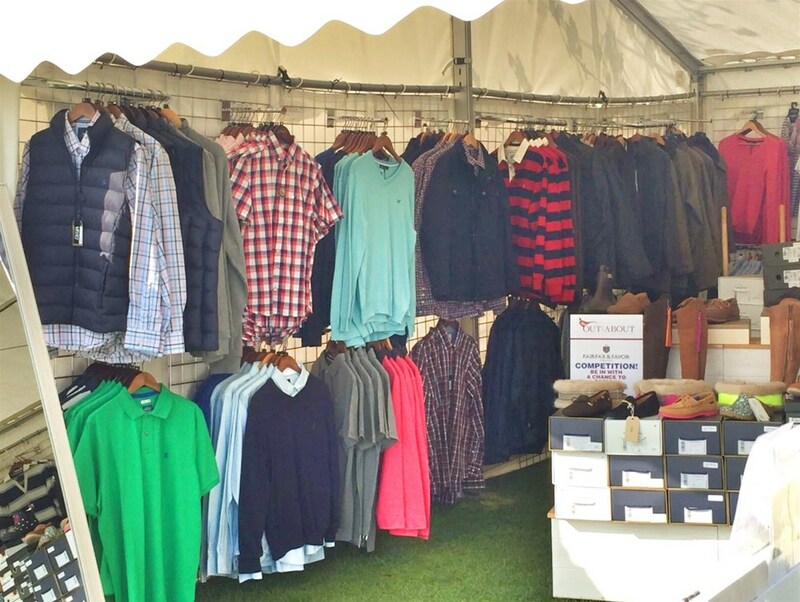 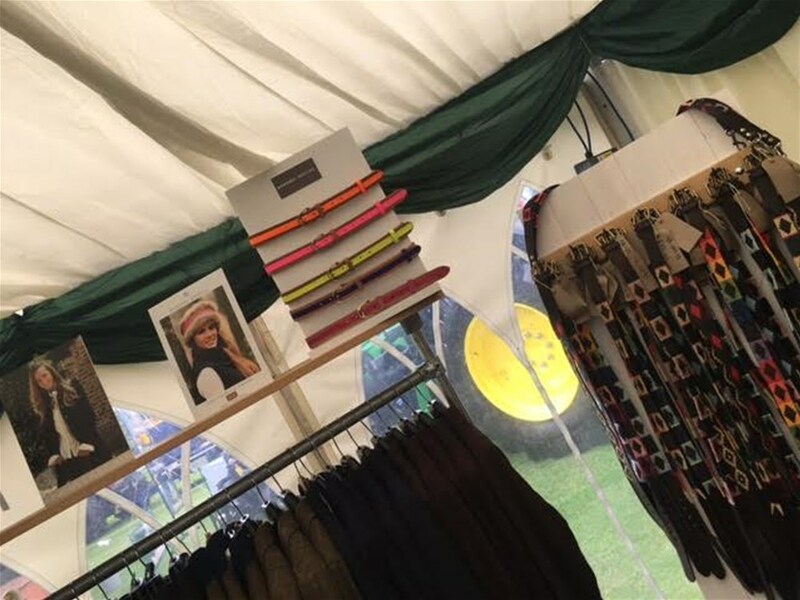 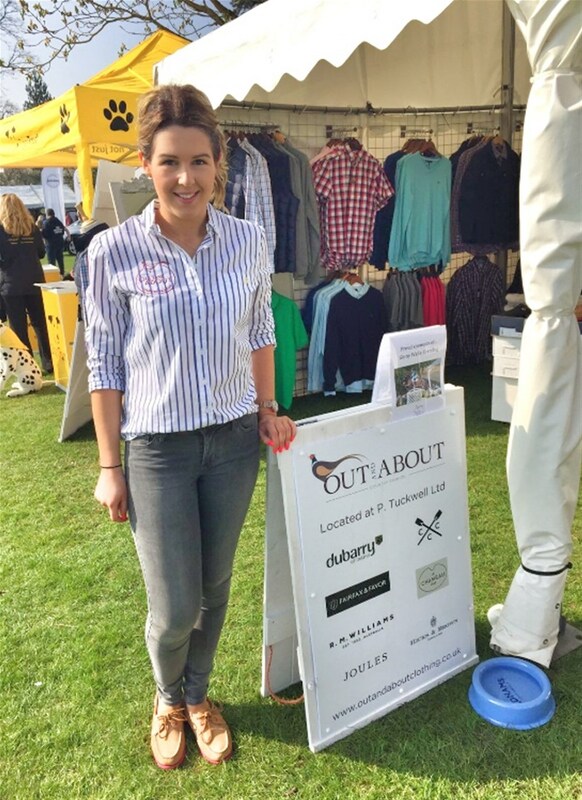 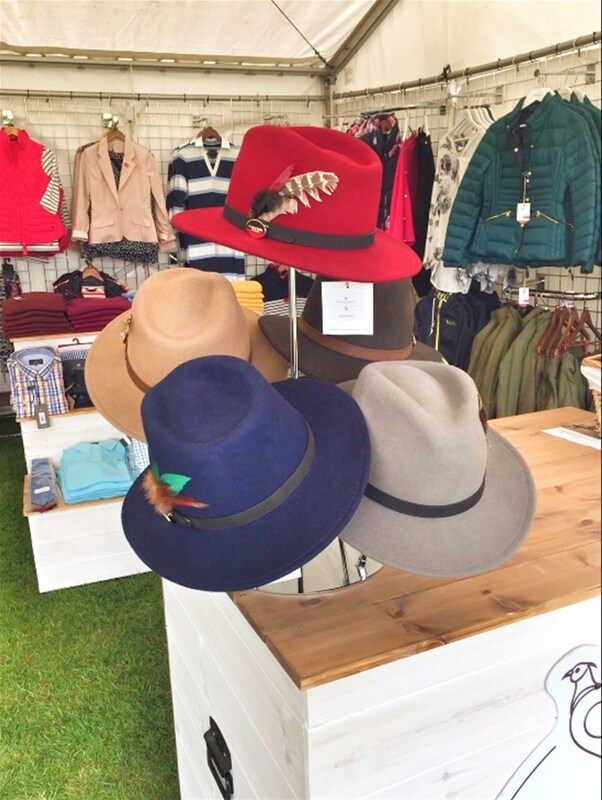 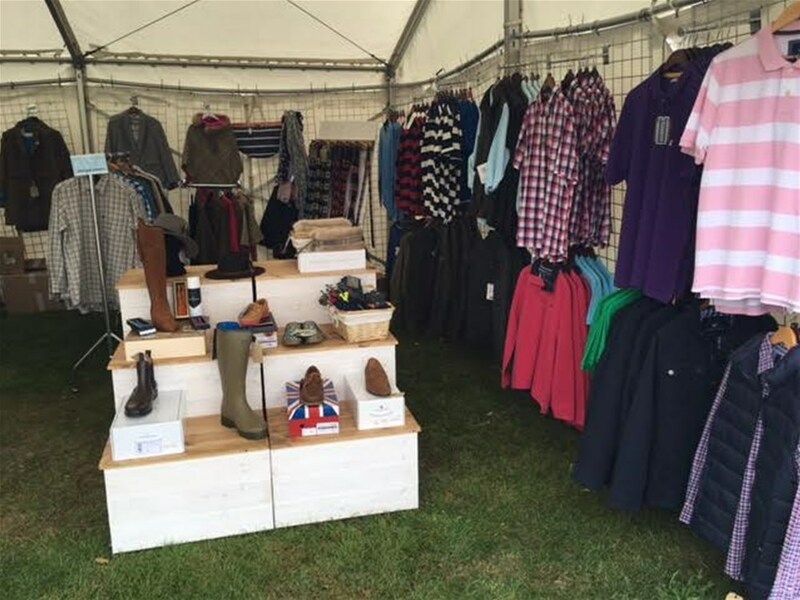 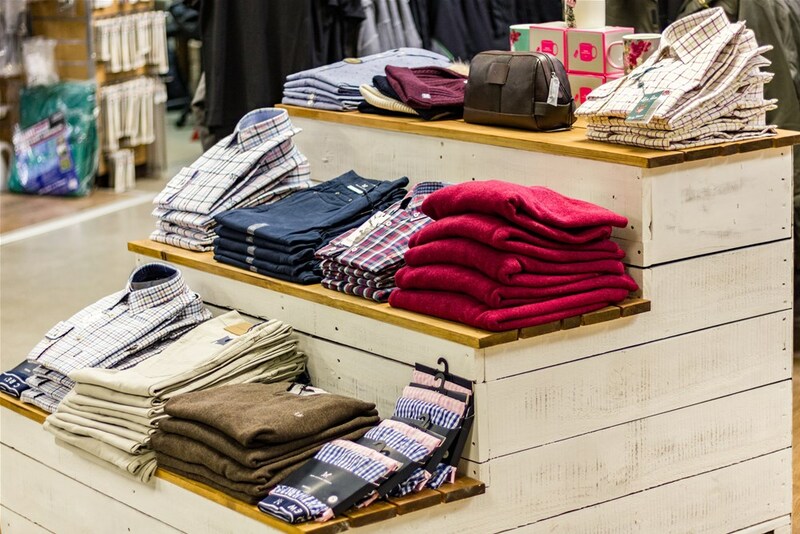 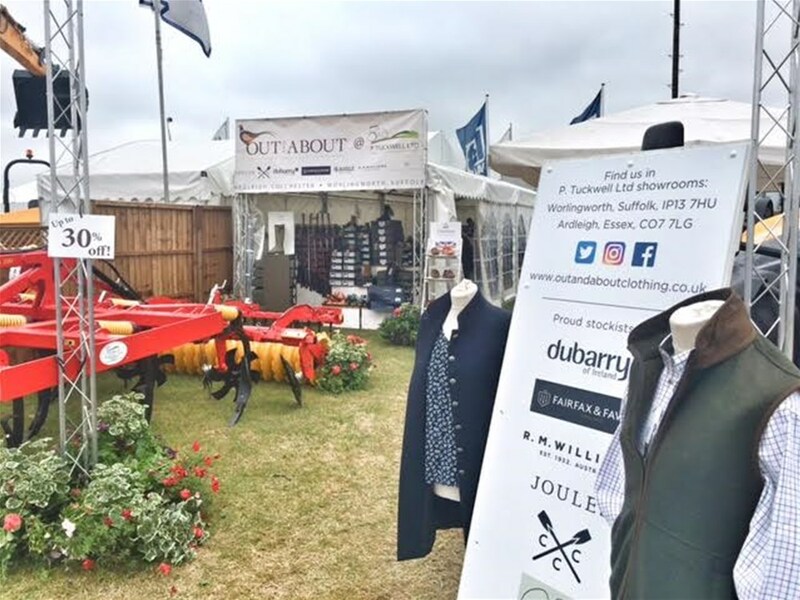 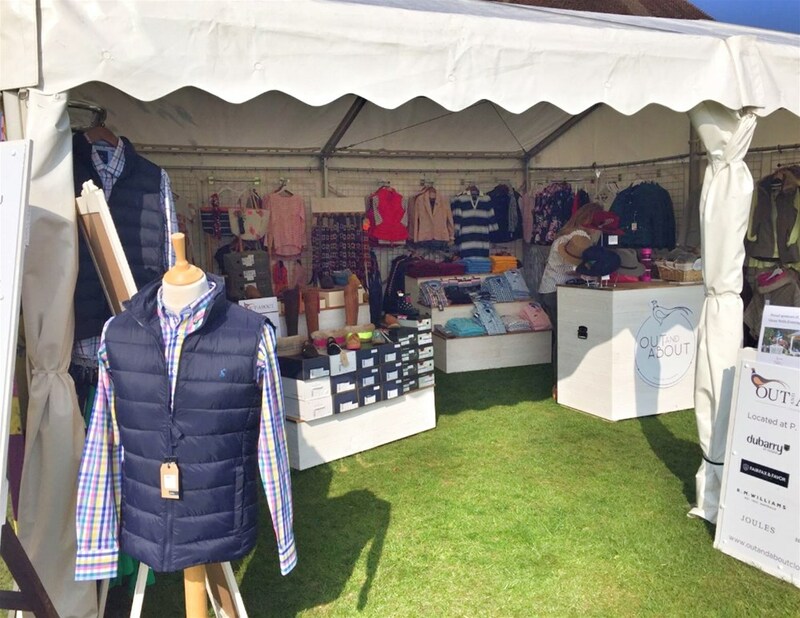 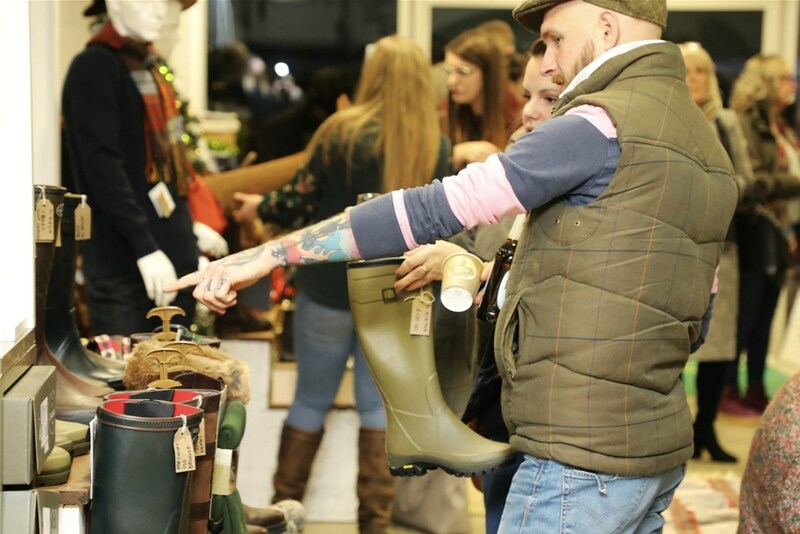 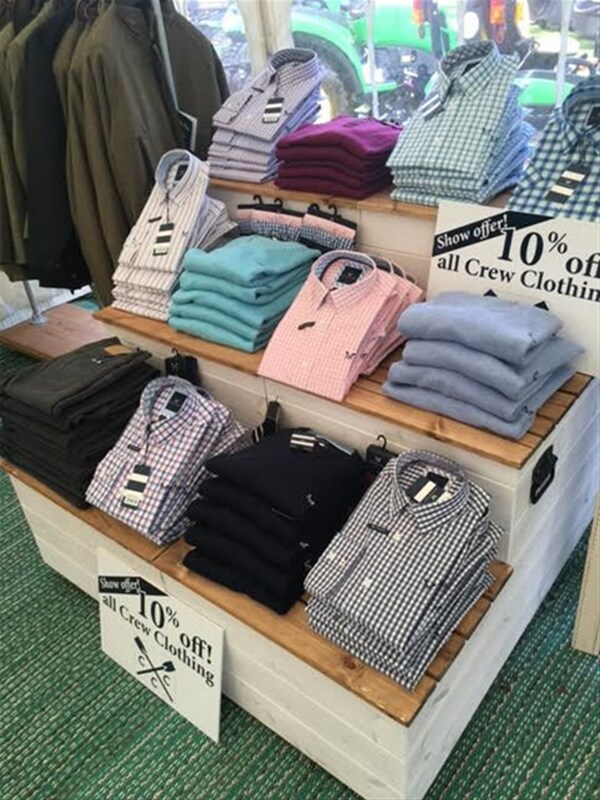 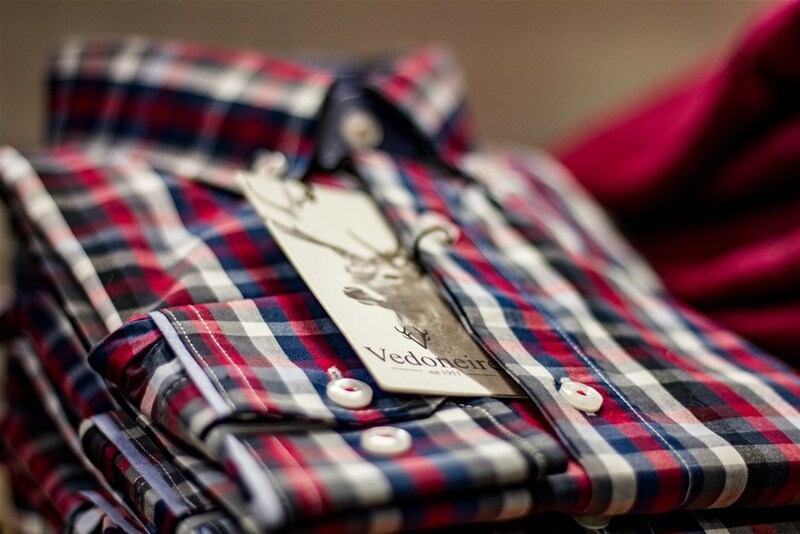 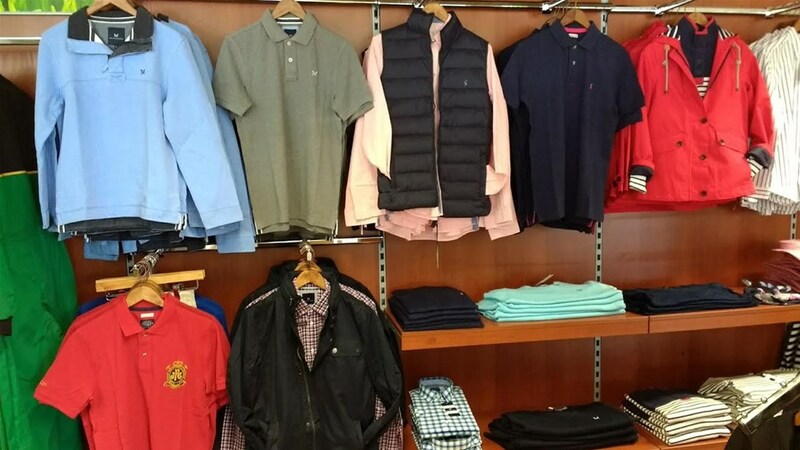 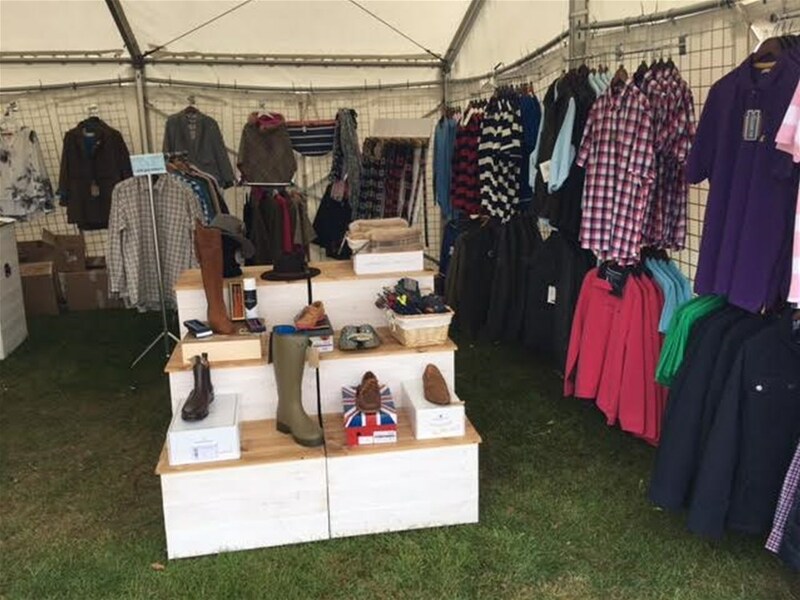 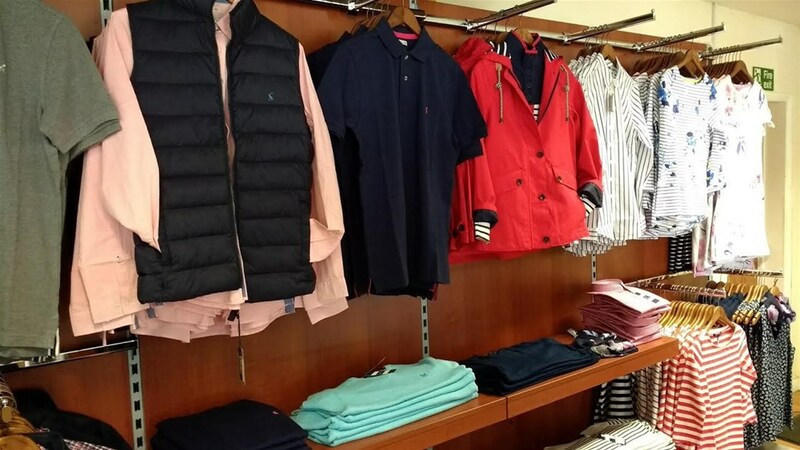 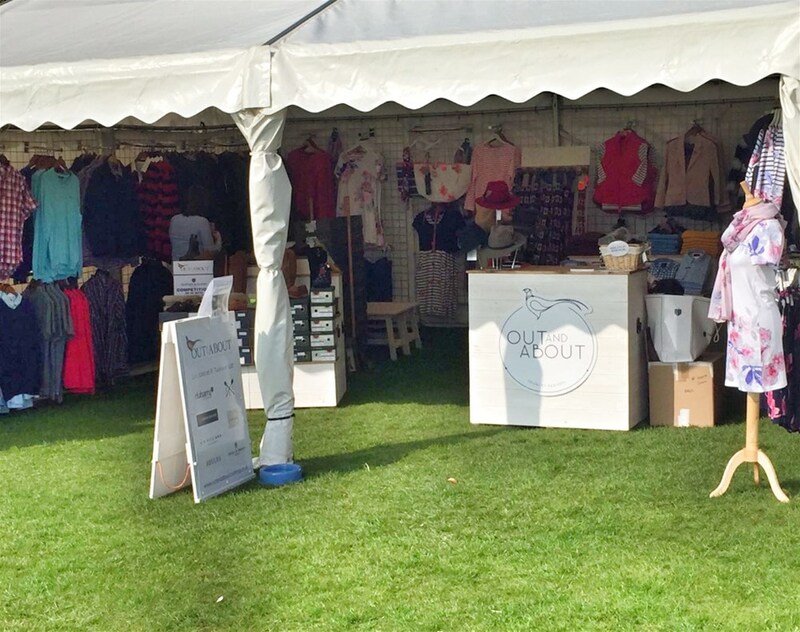 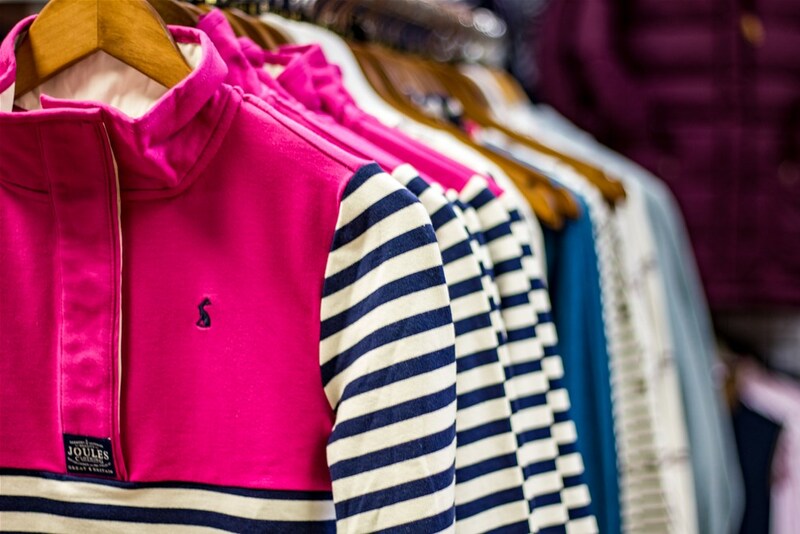 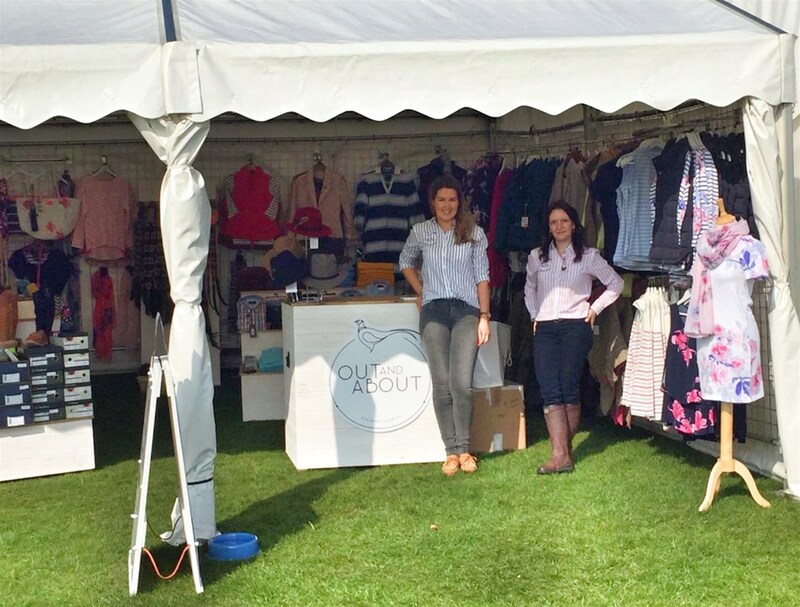 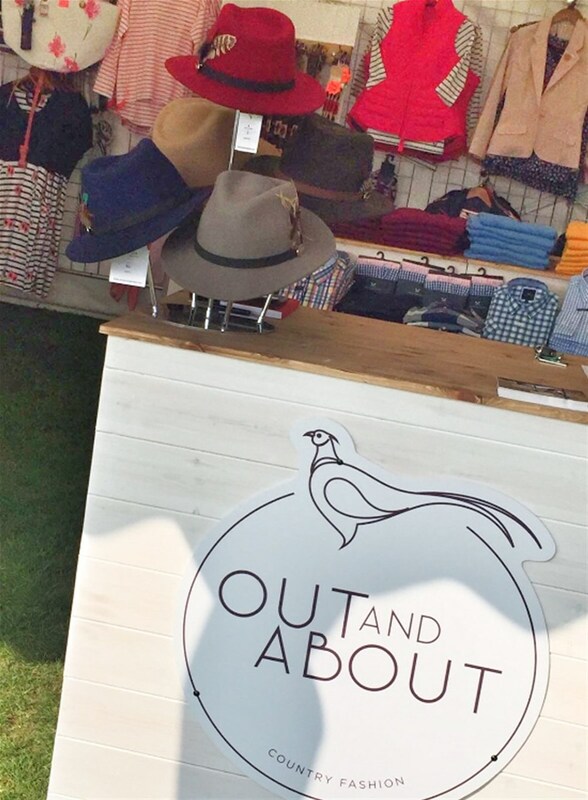 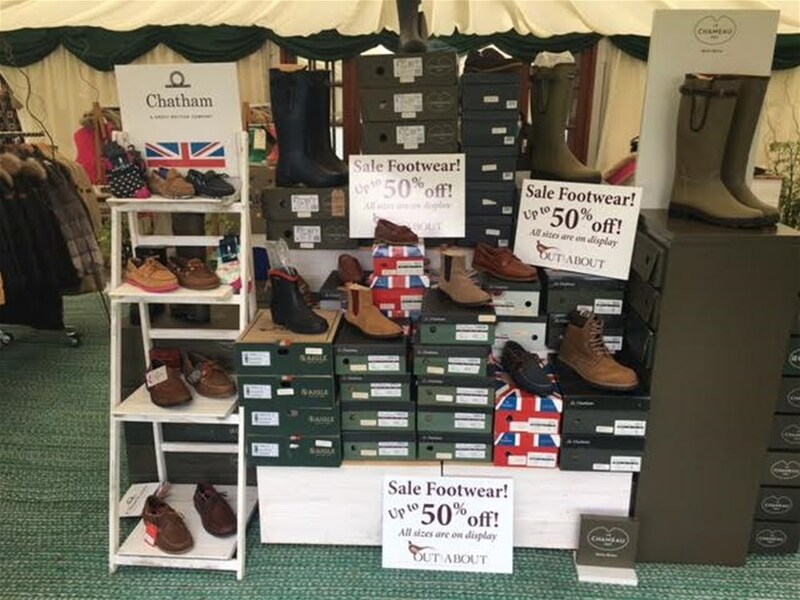 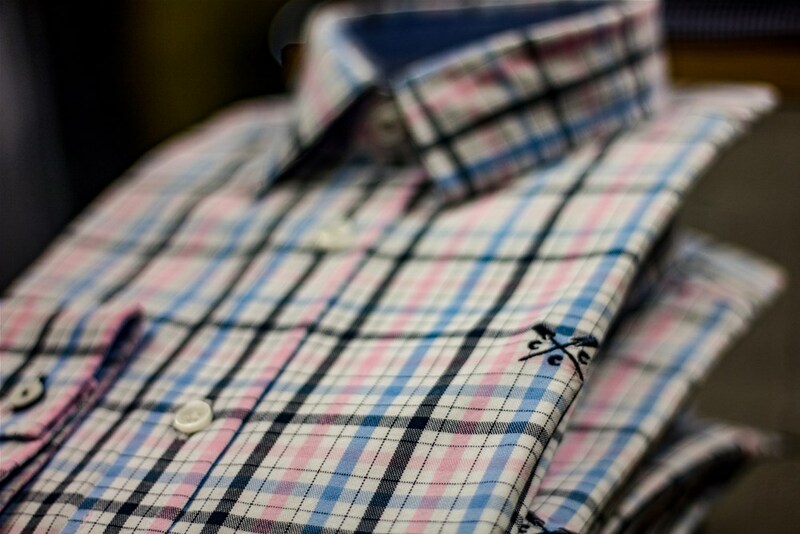 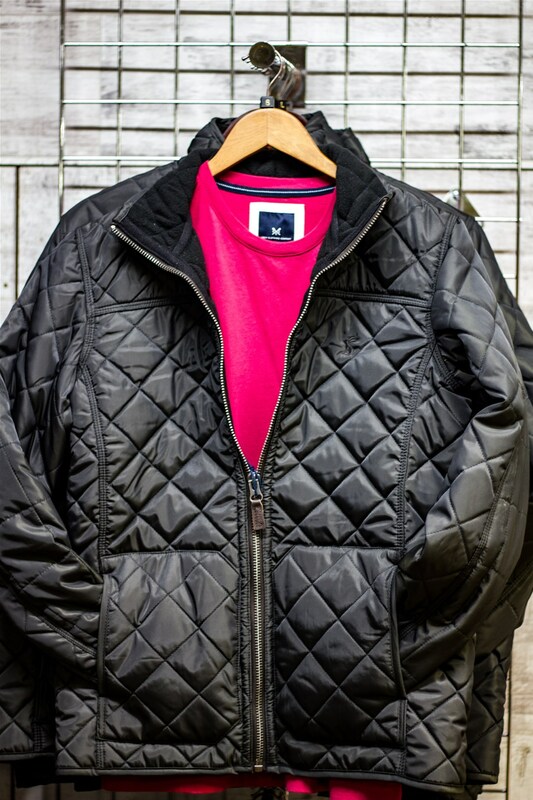 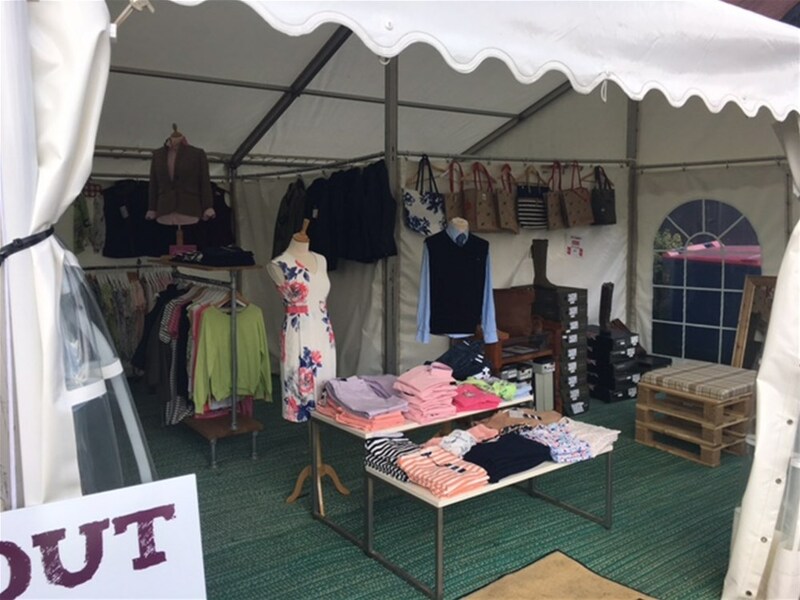 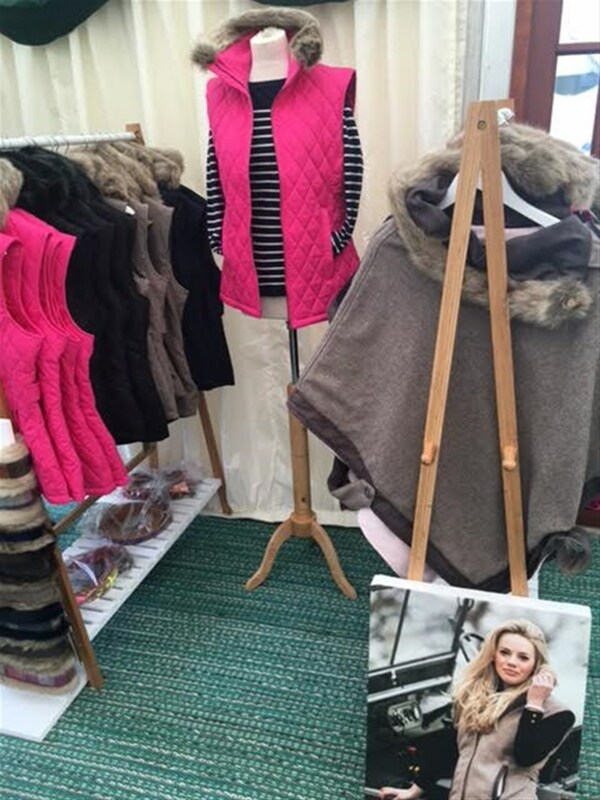 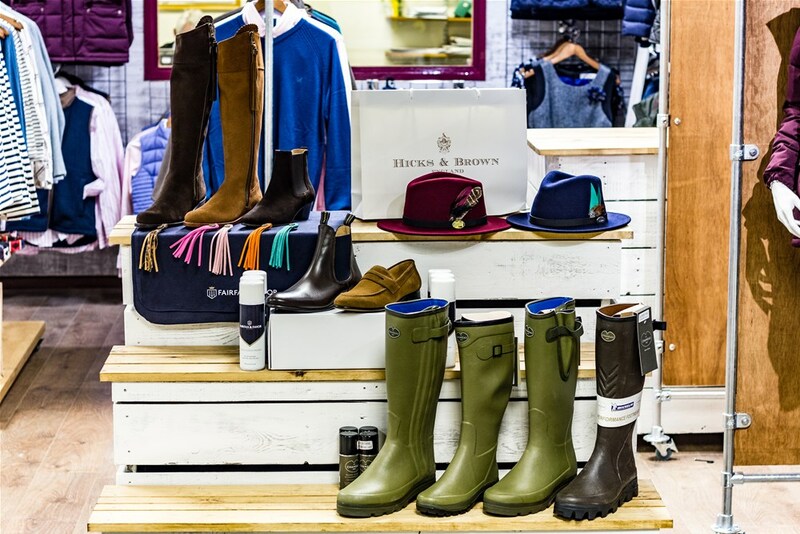 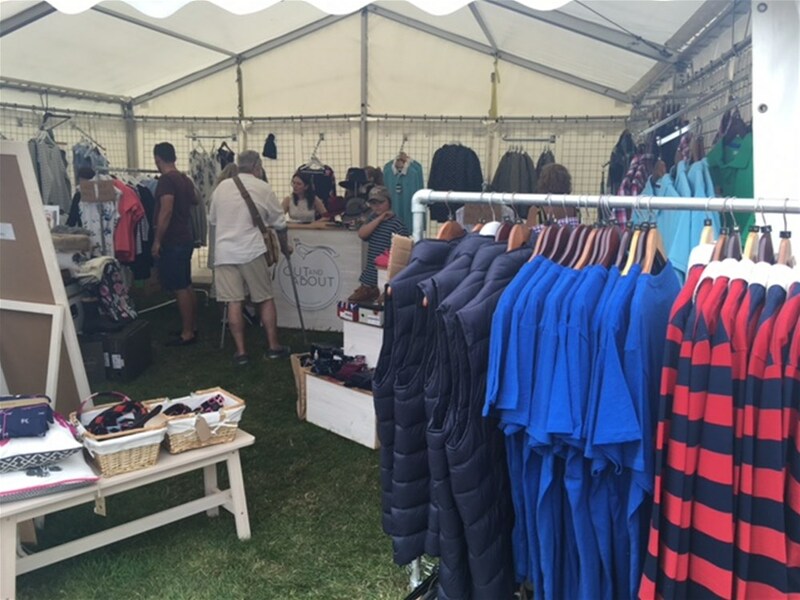 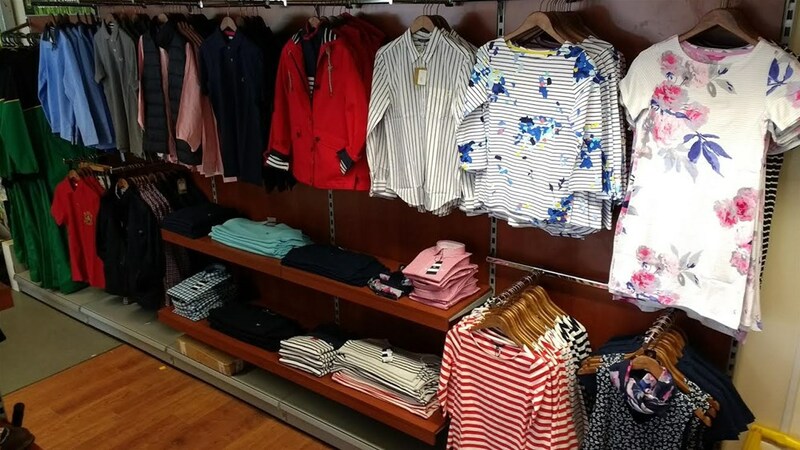 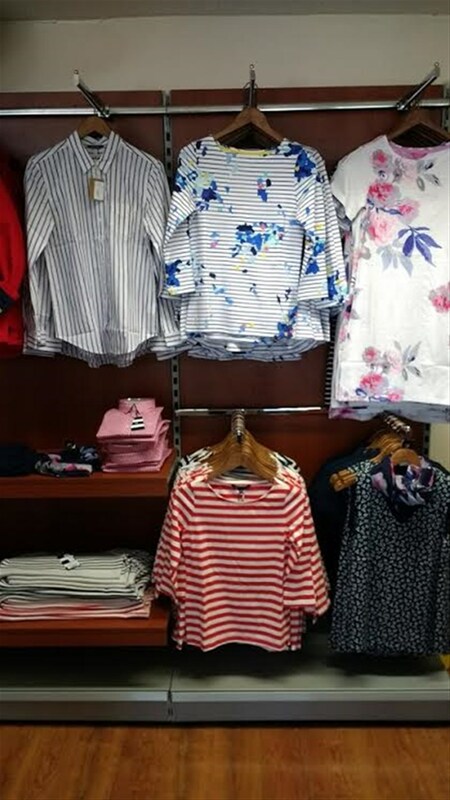 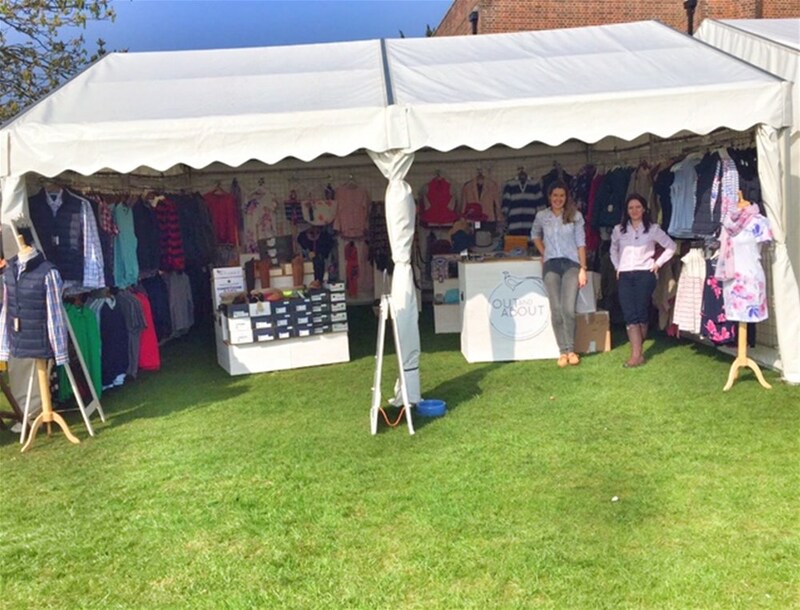 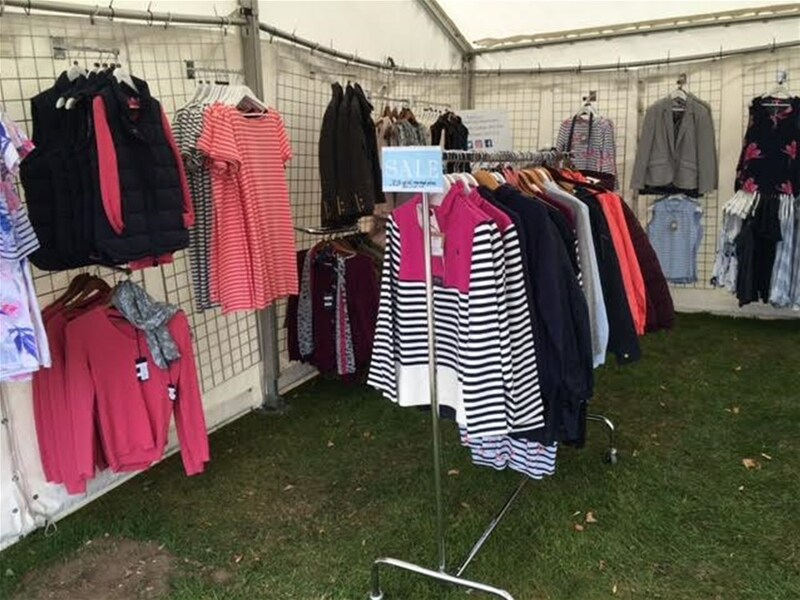 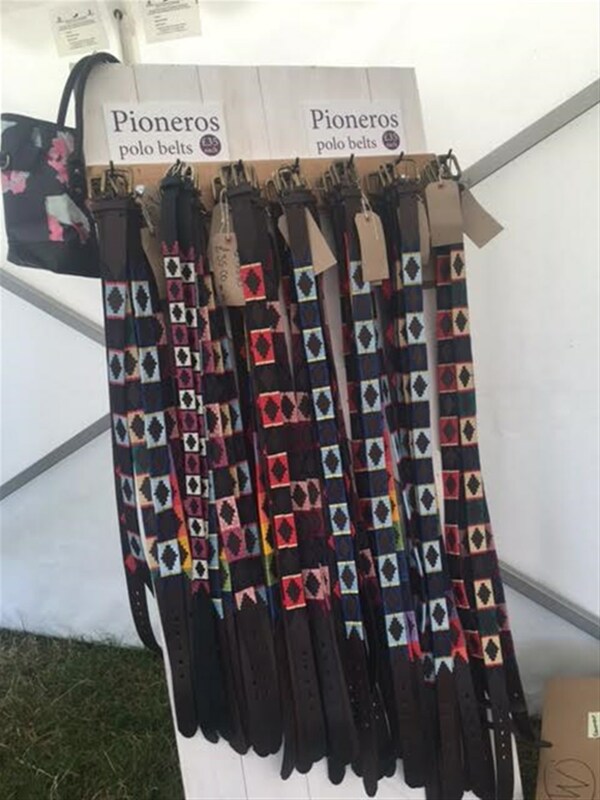 Brands stocked include Crew, Joules, Chatham and Le Chameau. 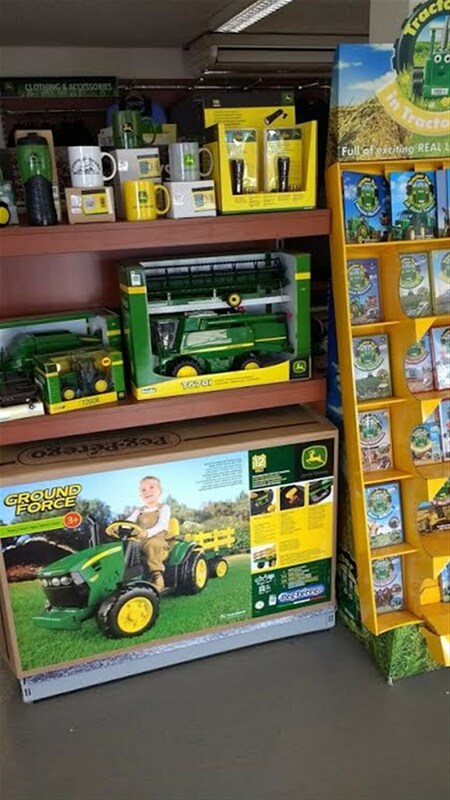 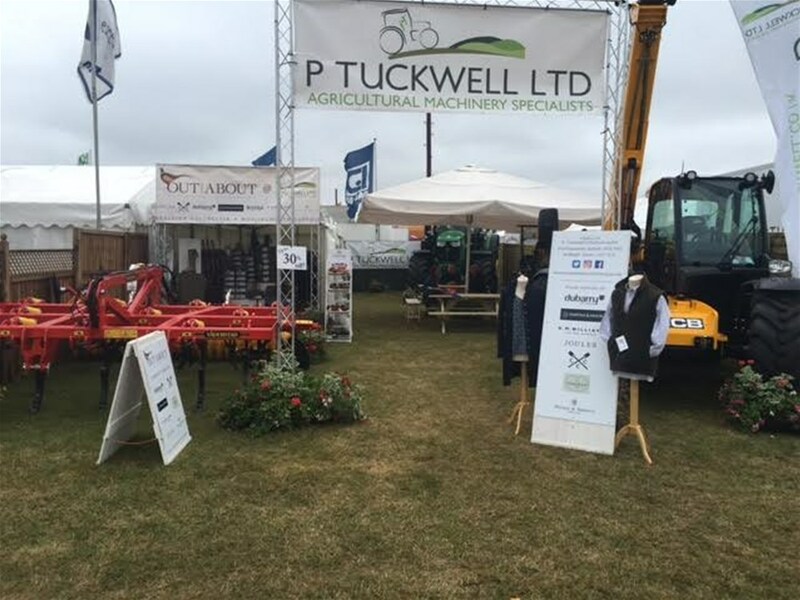 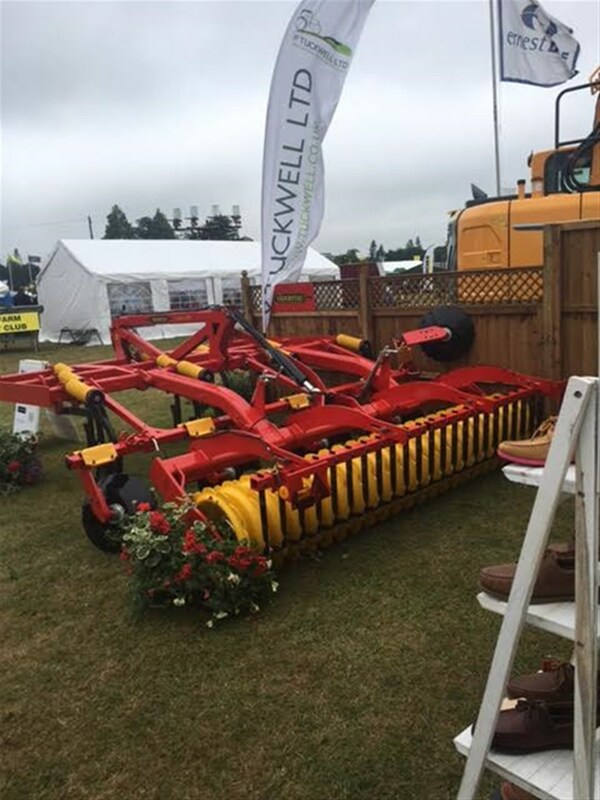 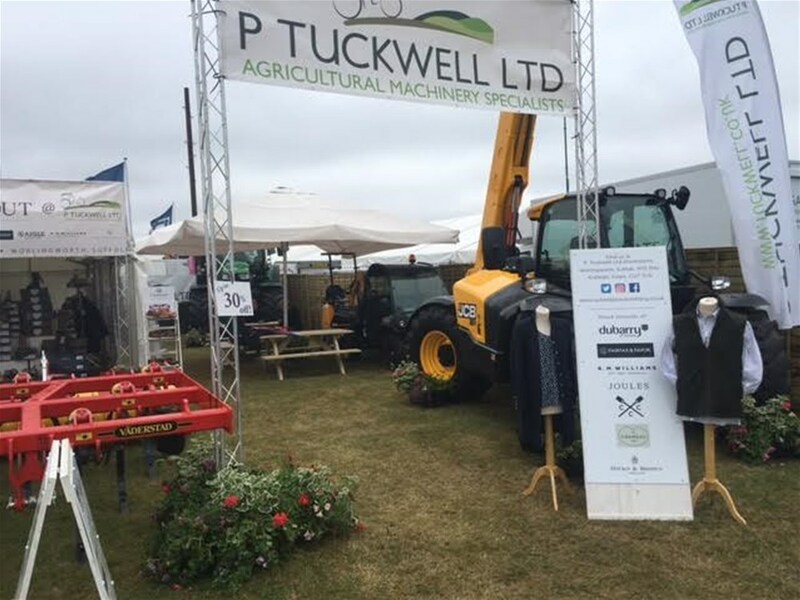 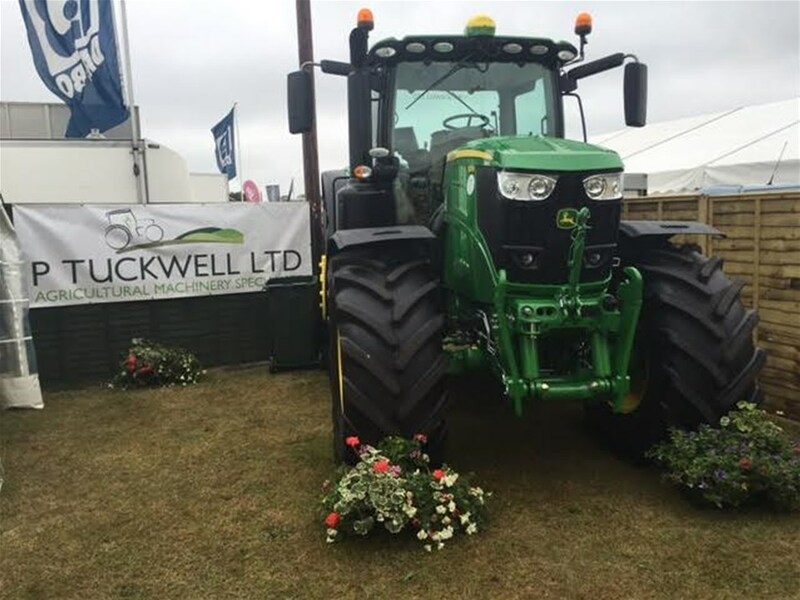 Soon you'll be able to order any items off our online shop and collect them at any of our Tuckwells depots, if that particular store does not have what you are looking for.